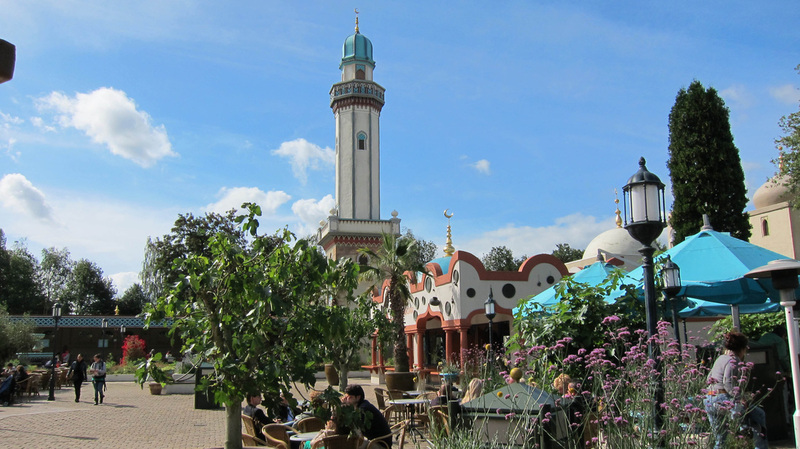 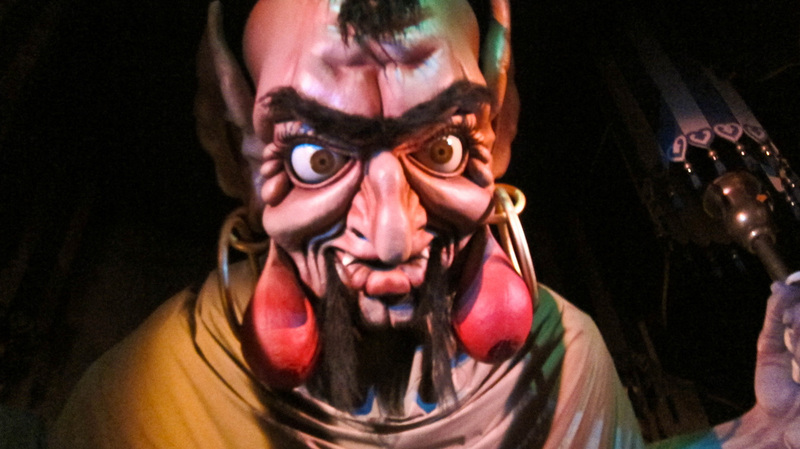 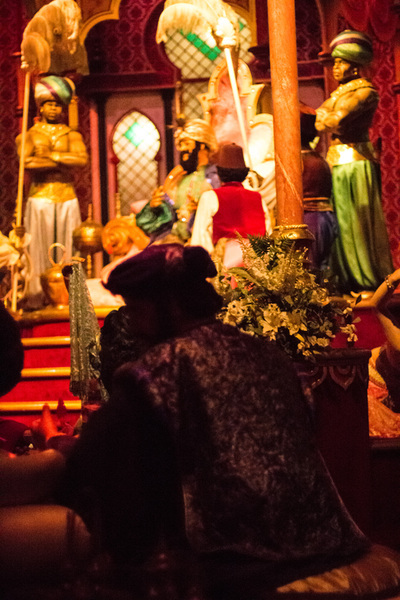 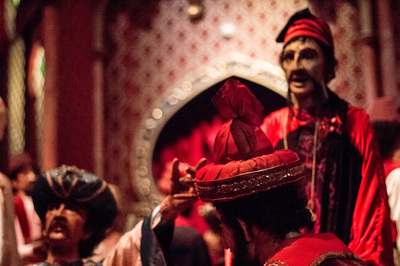 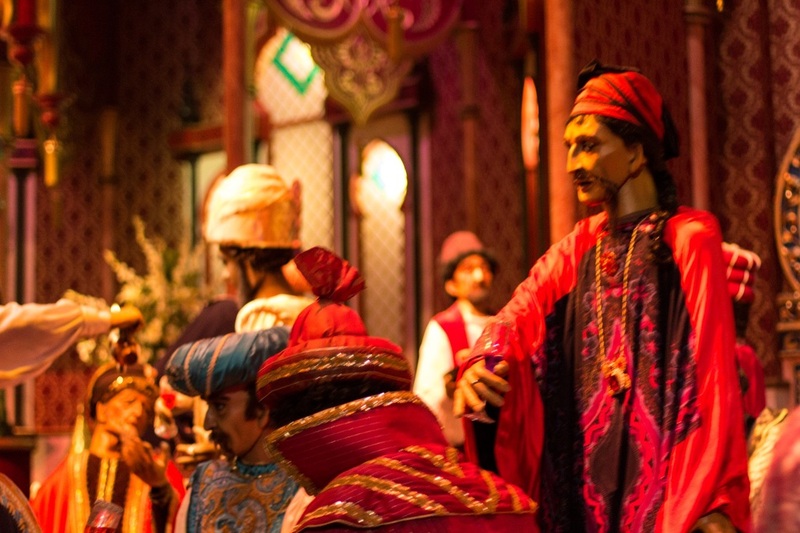 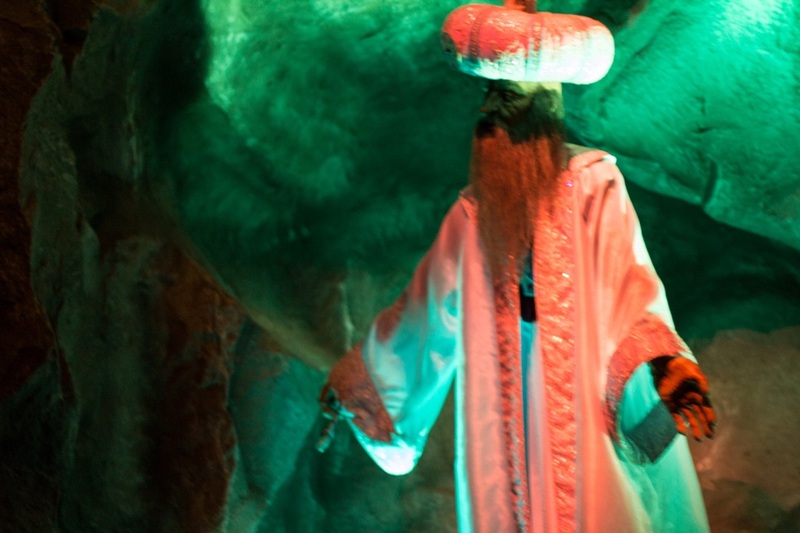 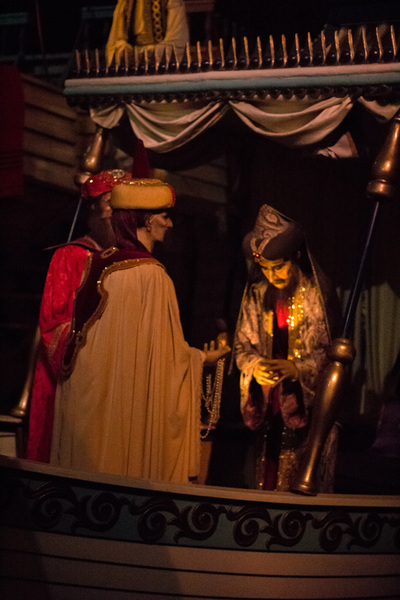 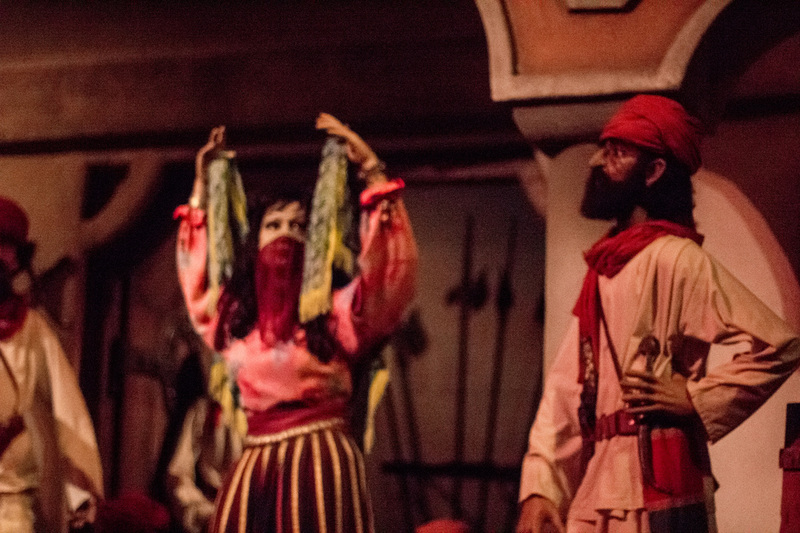 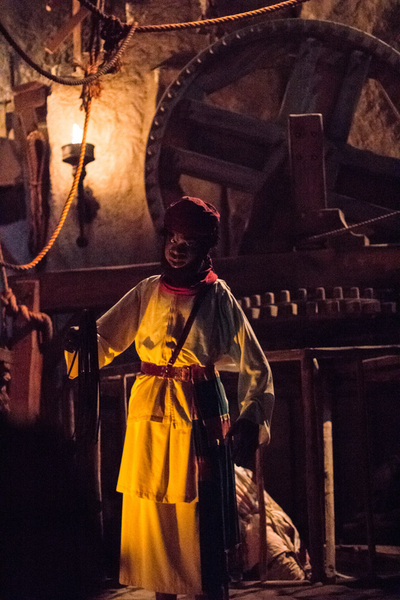 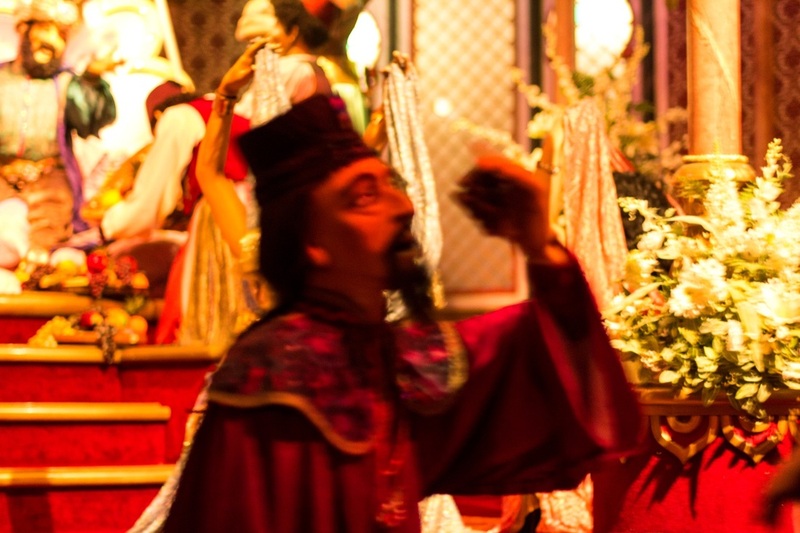 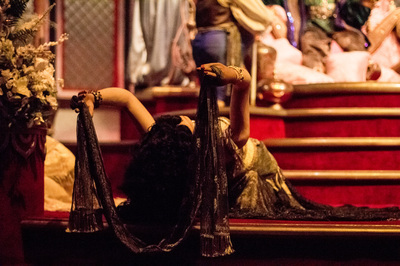 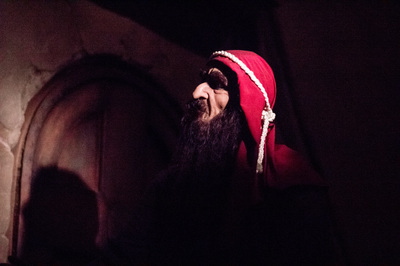 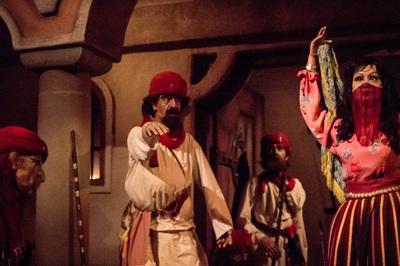 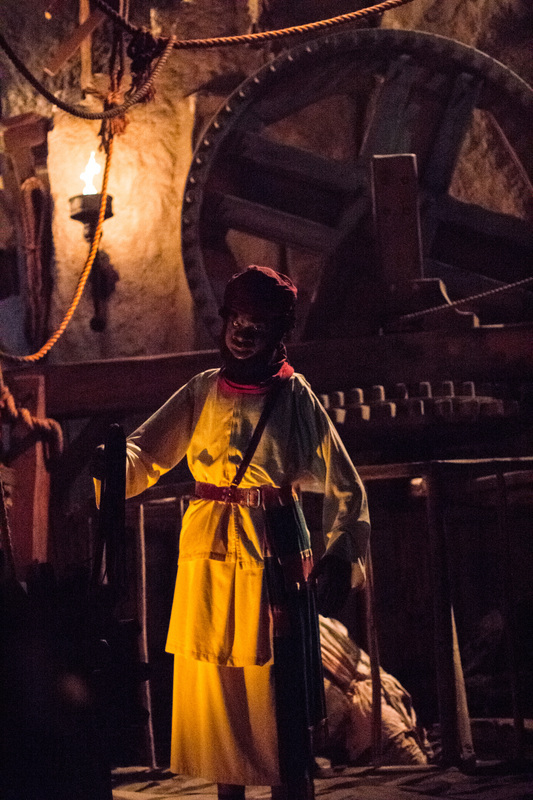 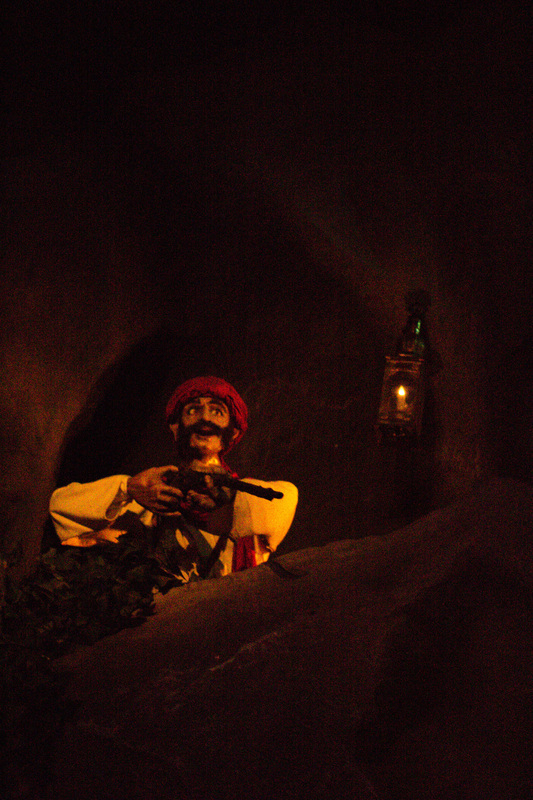 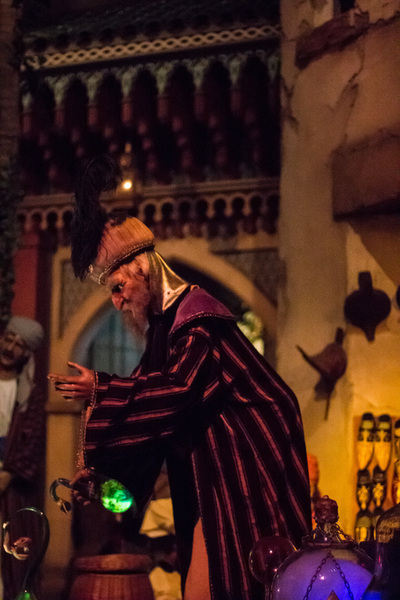 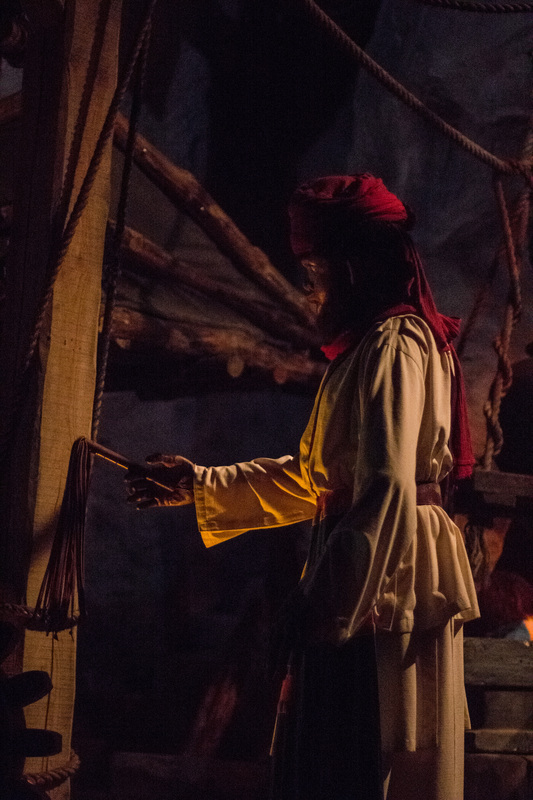 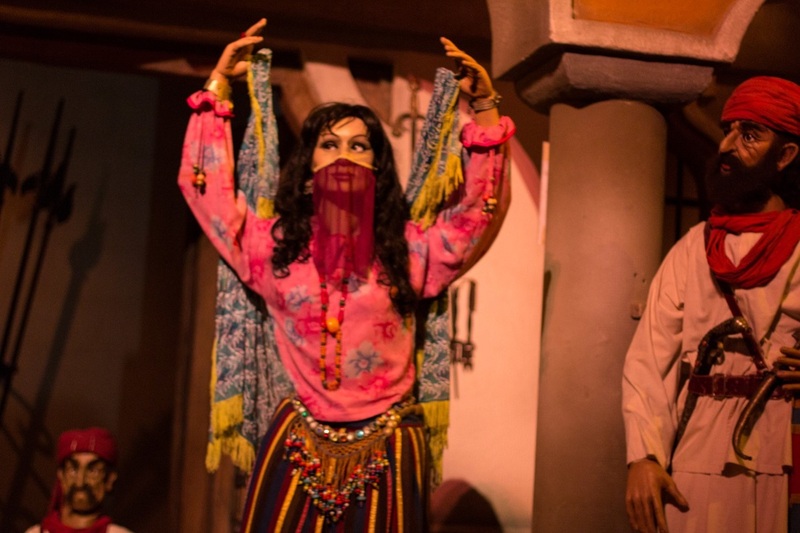 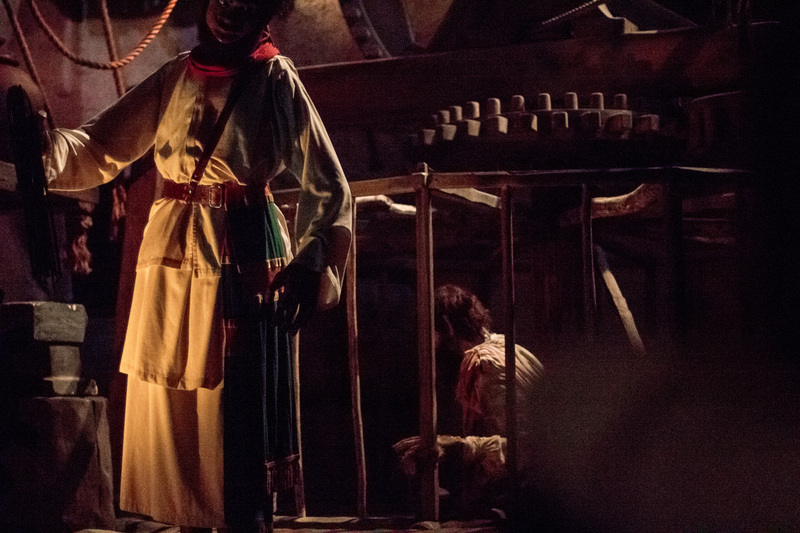 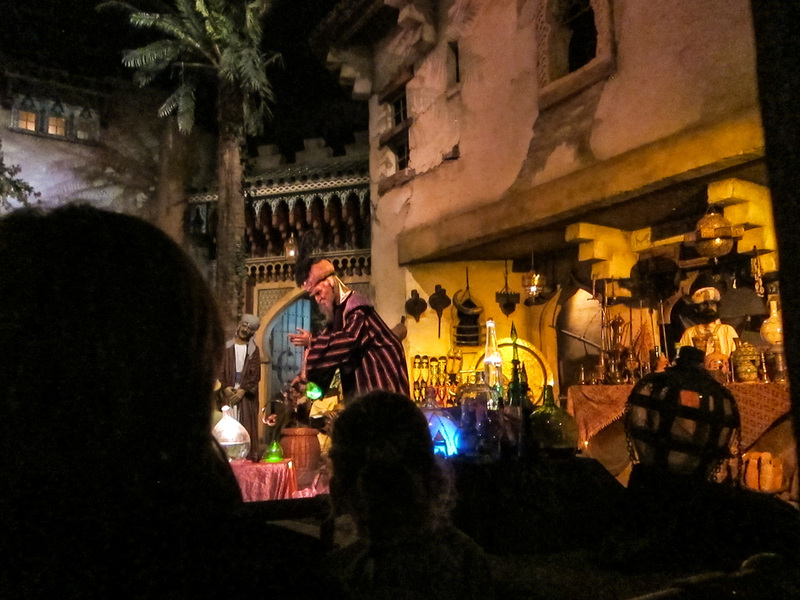 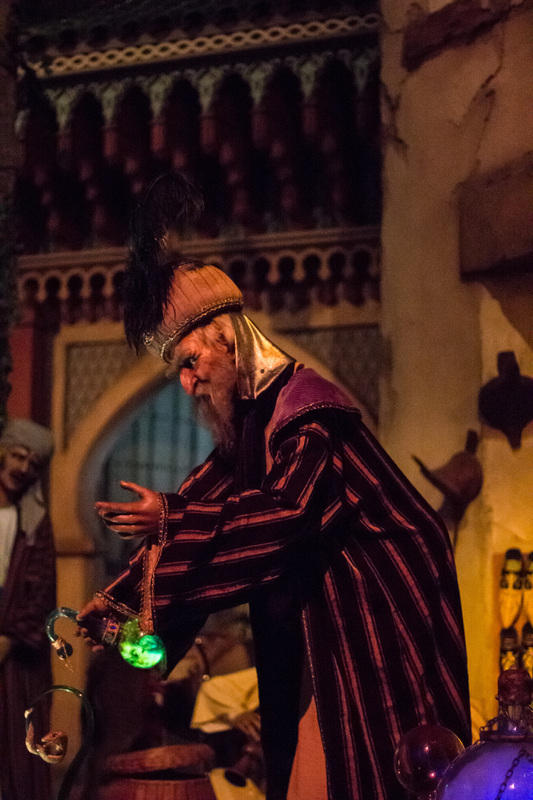 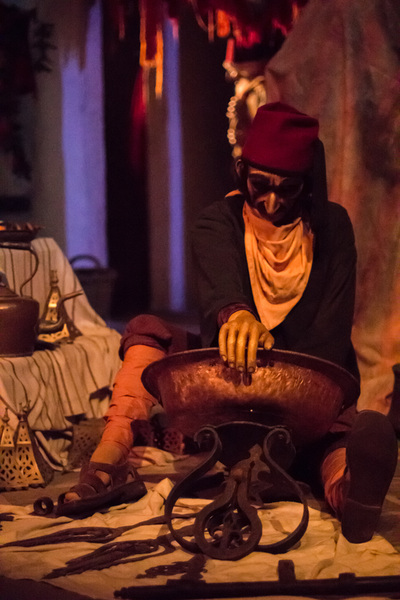 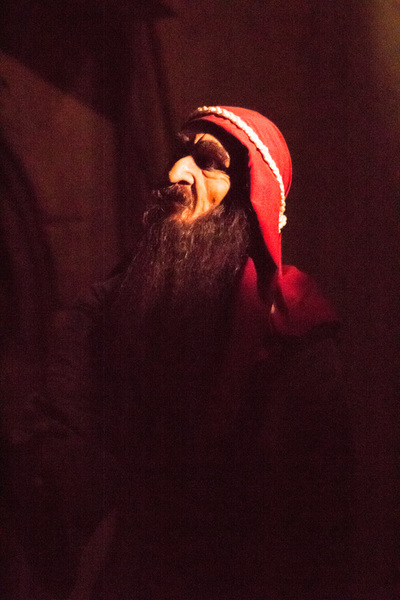 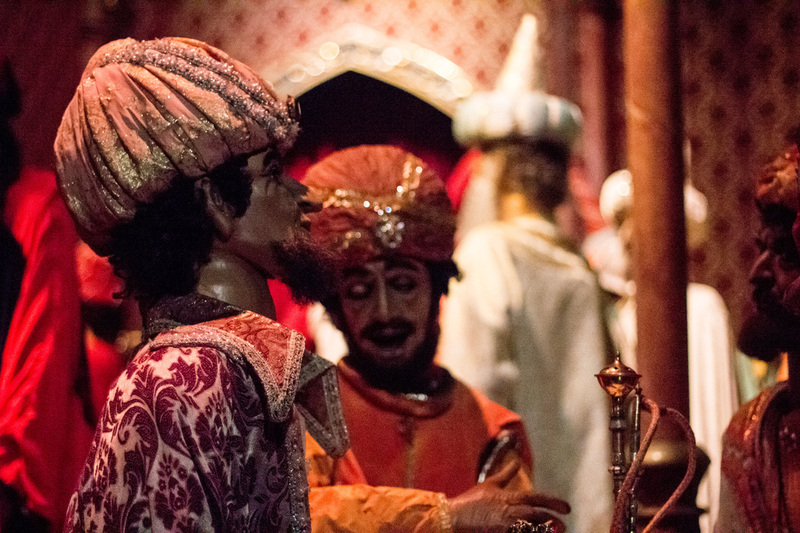 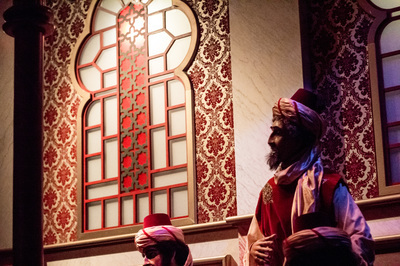 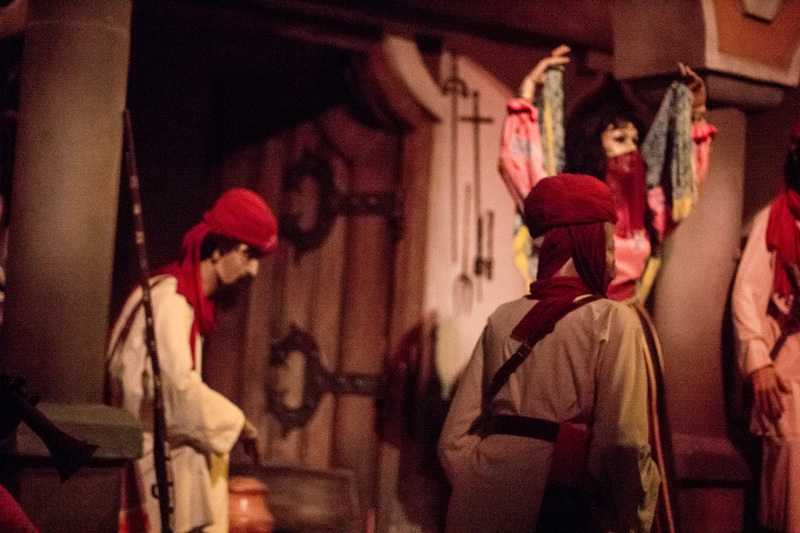 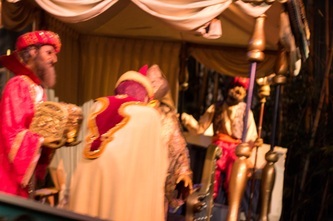 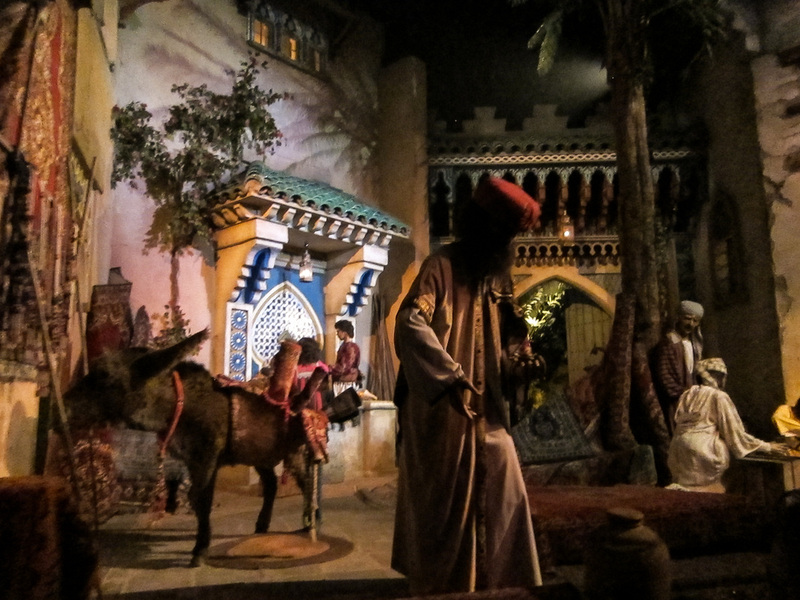 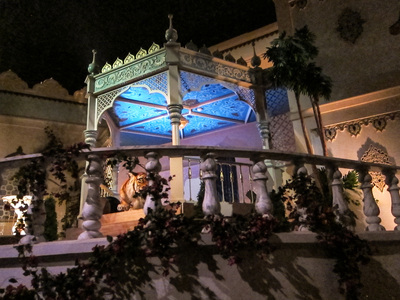 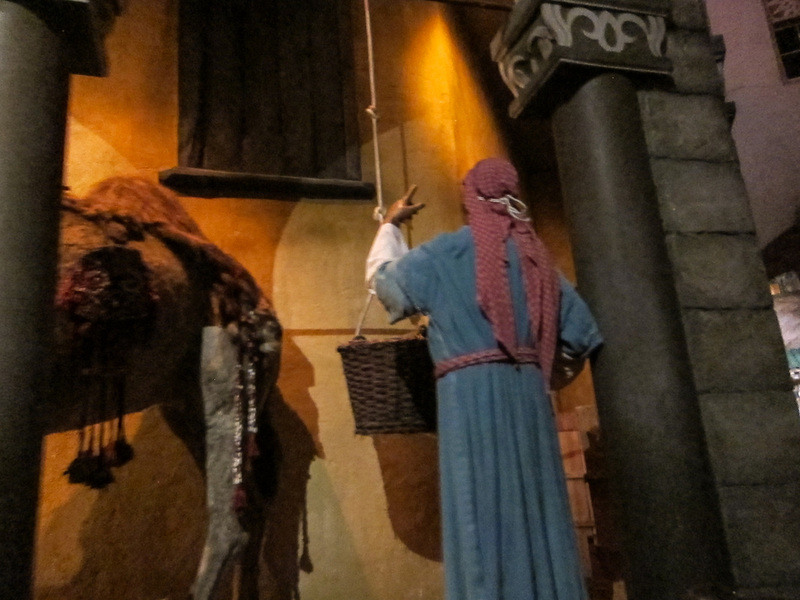 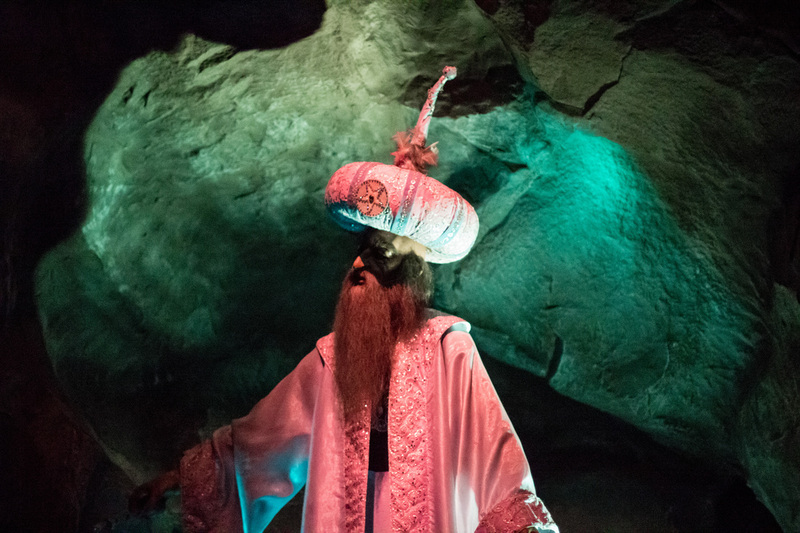 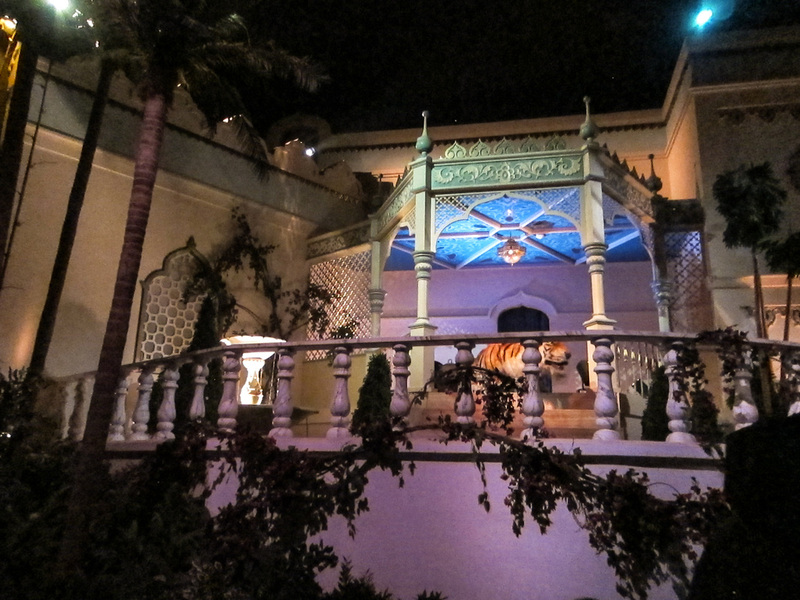 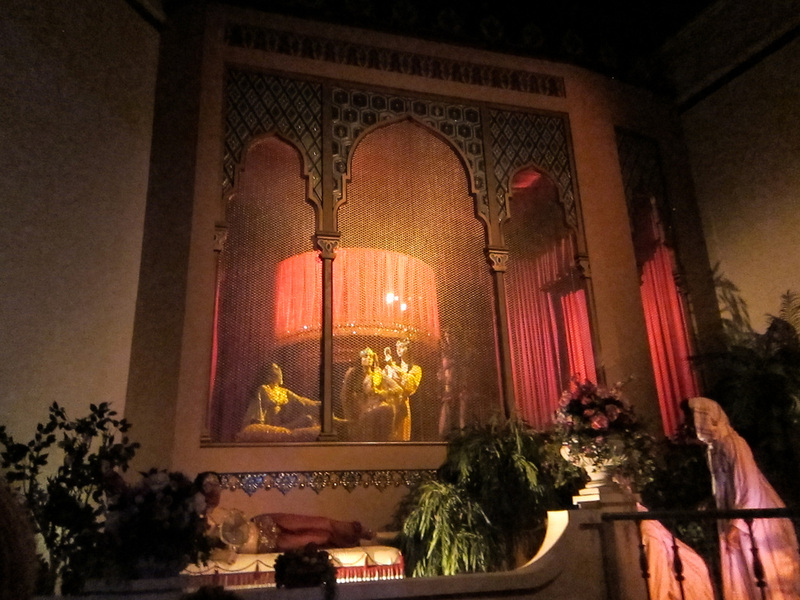 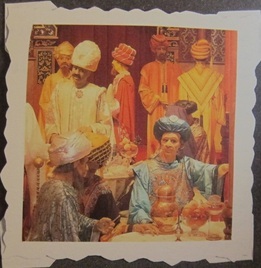 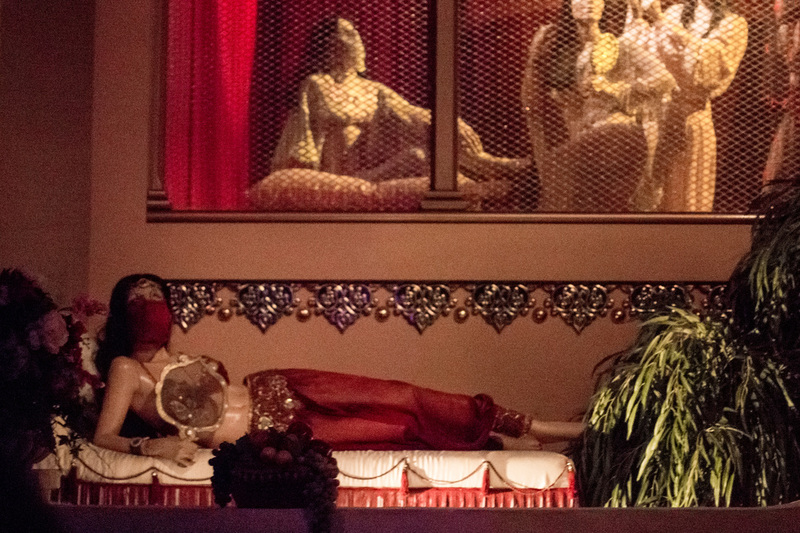 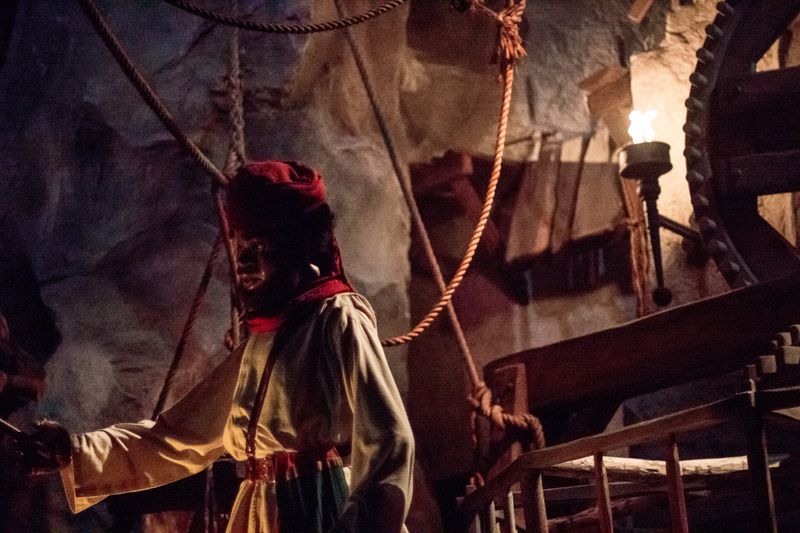 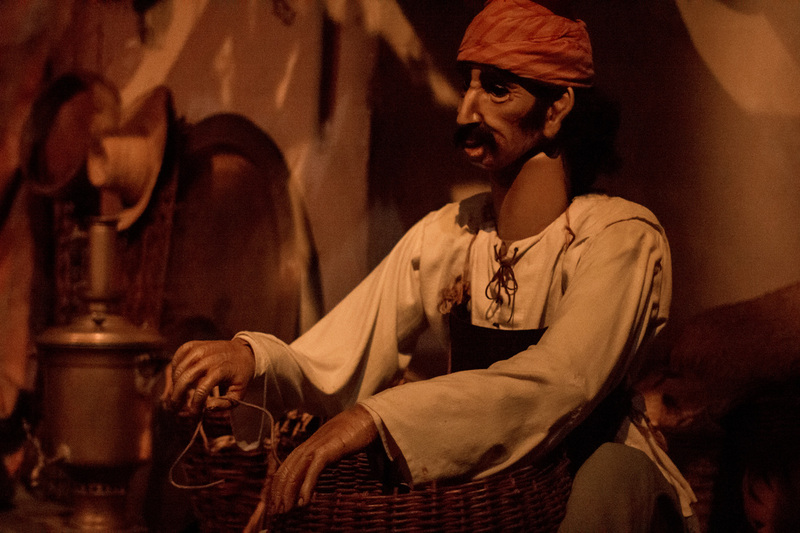 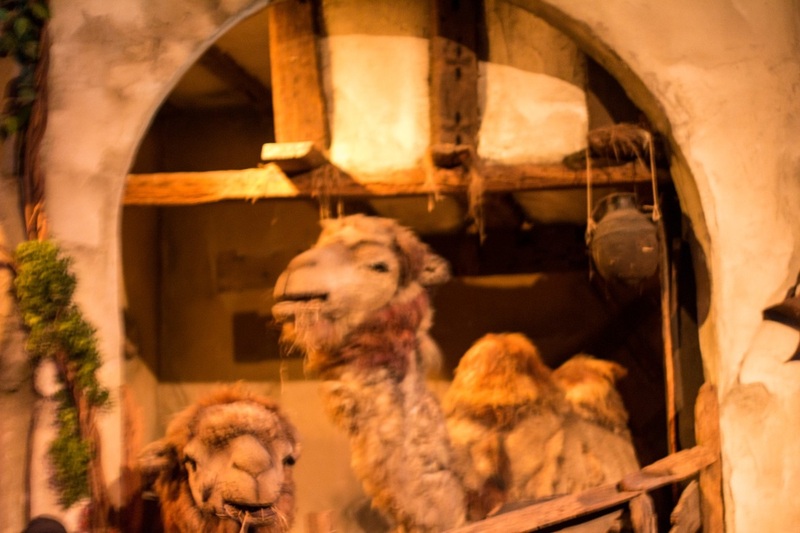 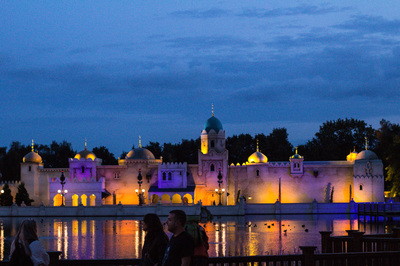 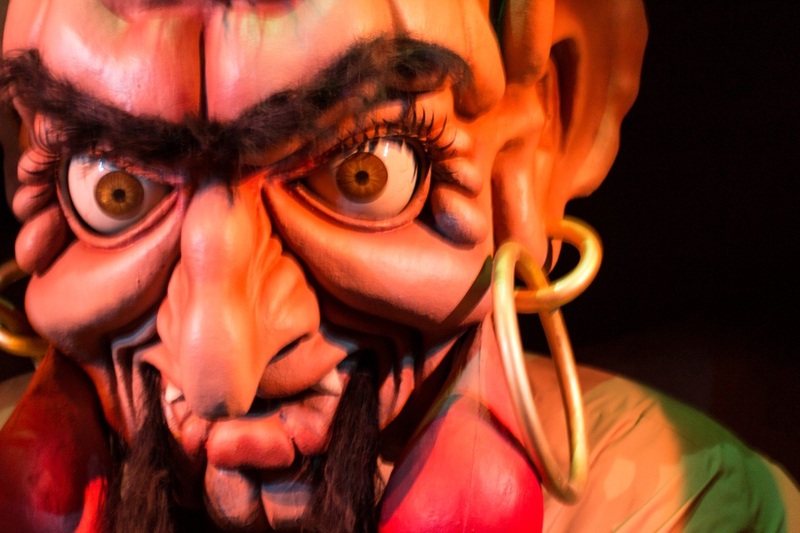 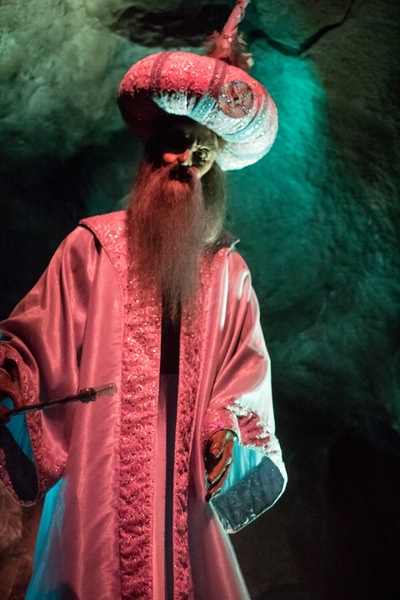 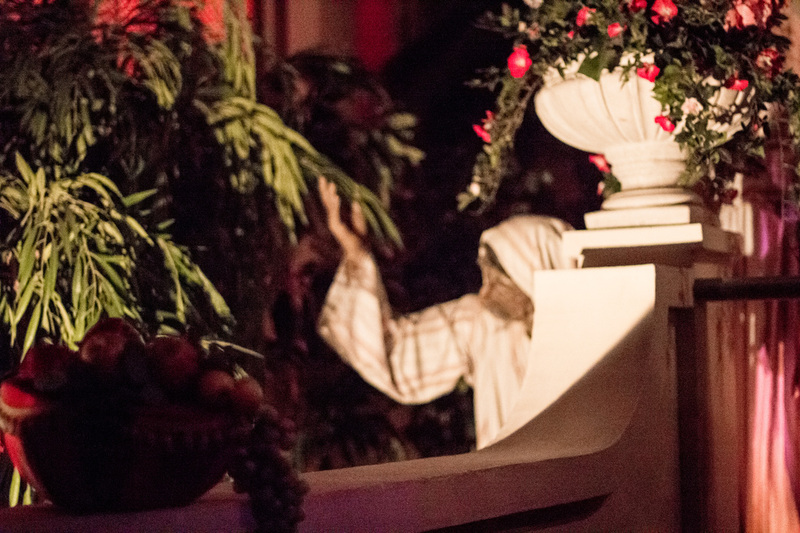 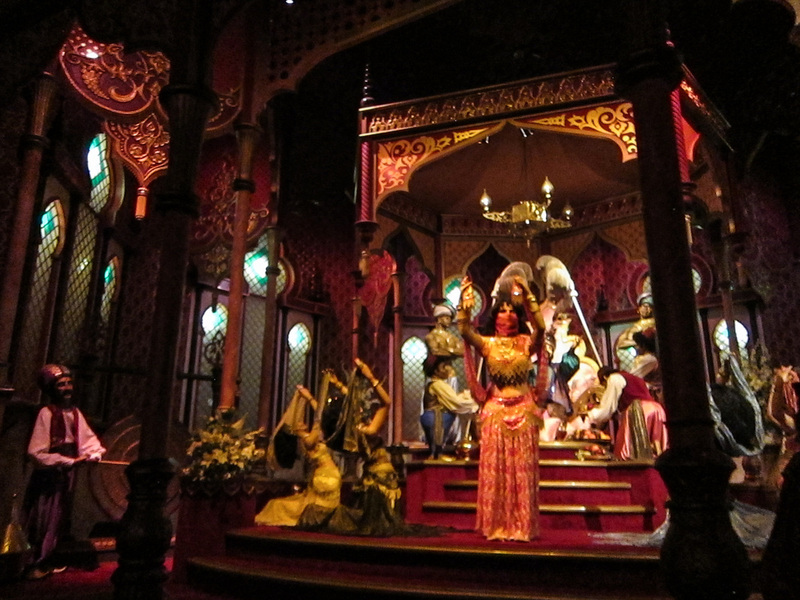 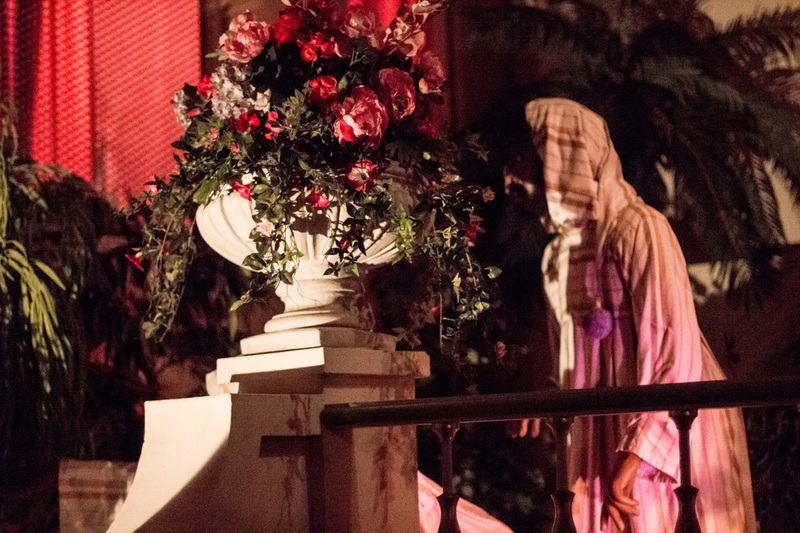 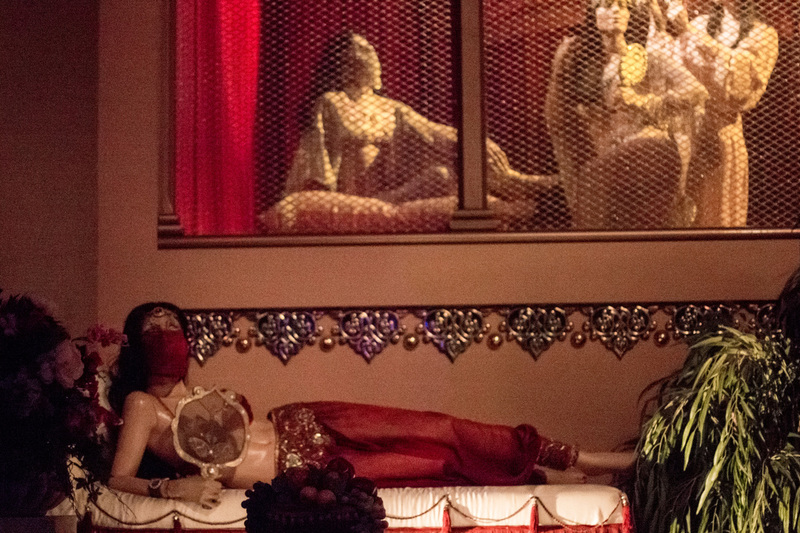 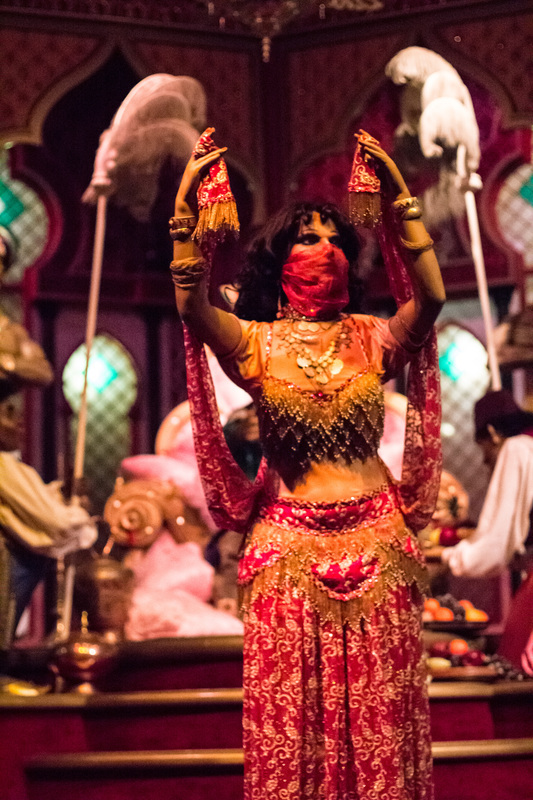 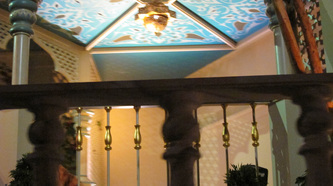 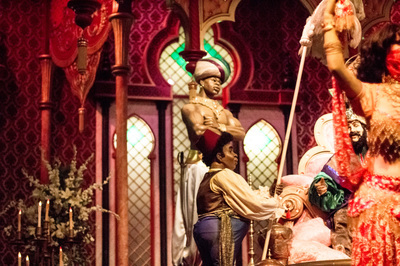 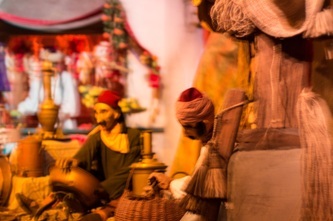 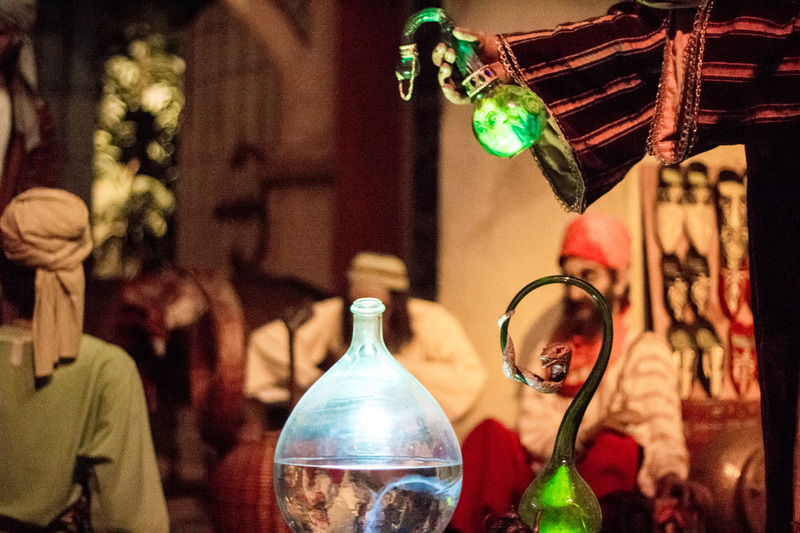 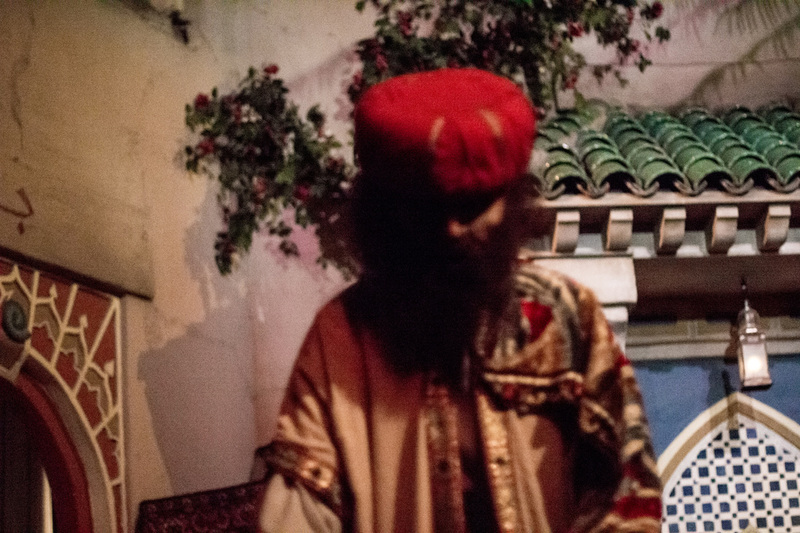 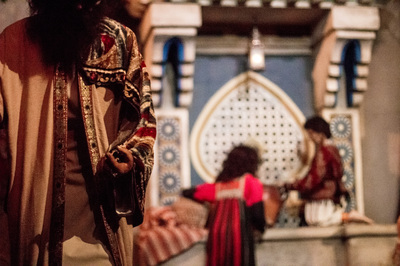 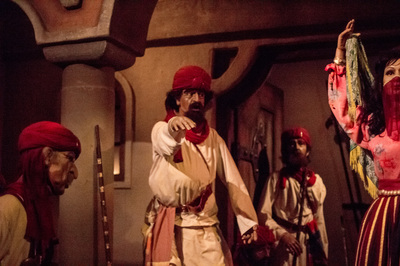 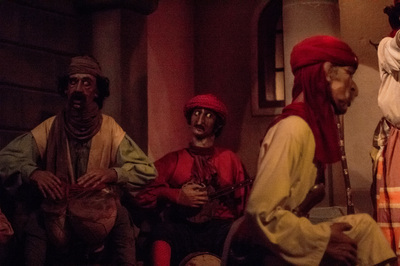 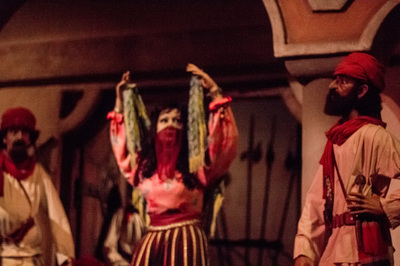 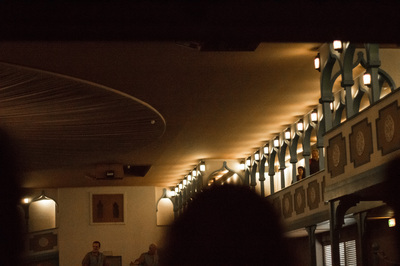 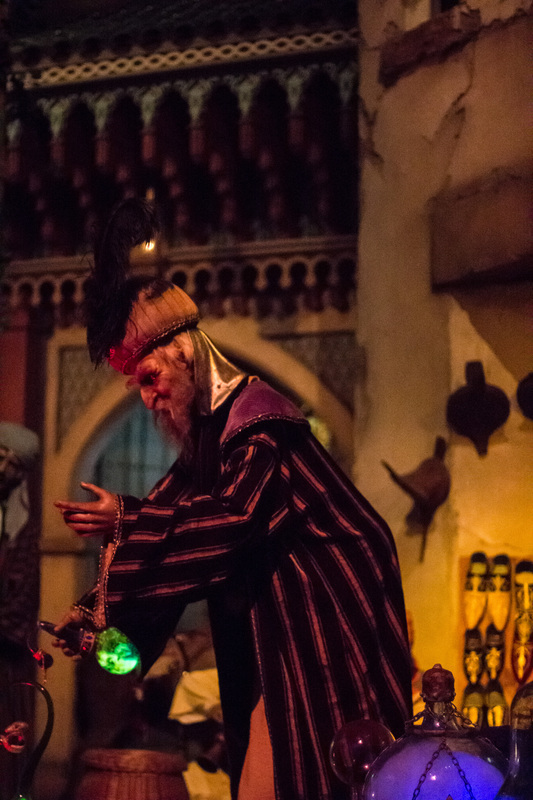 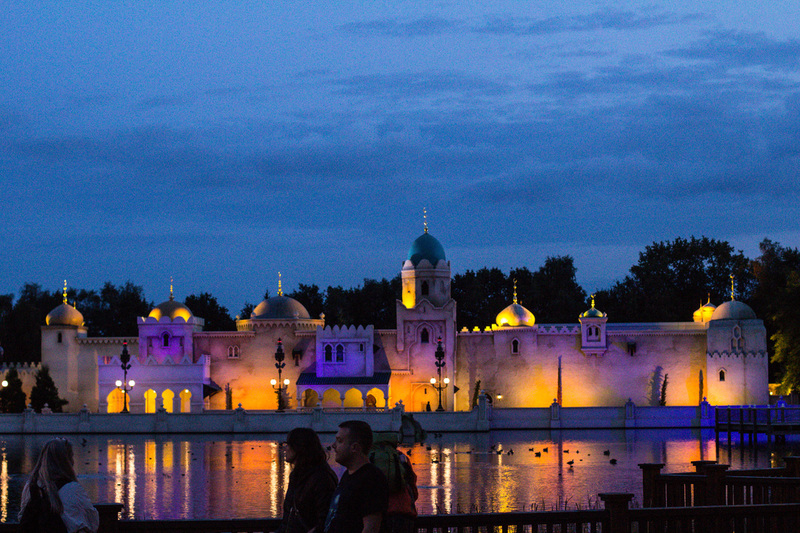 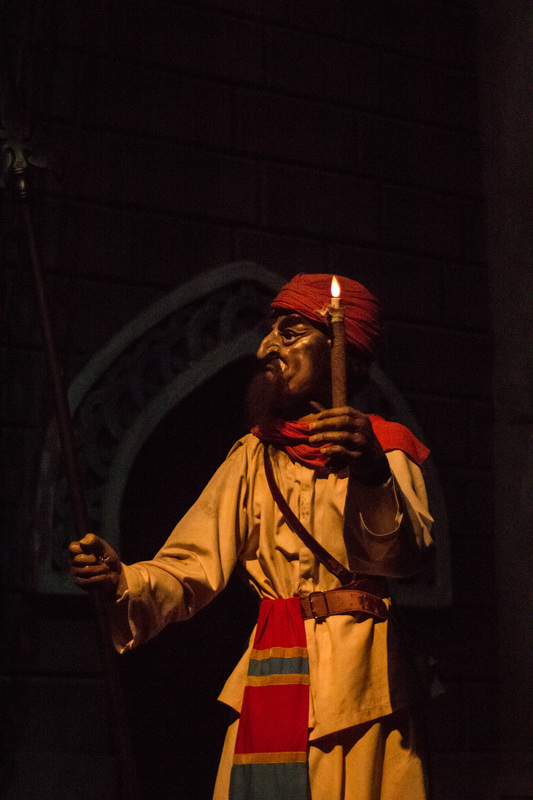 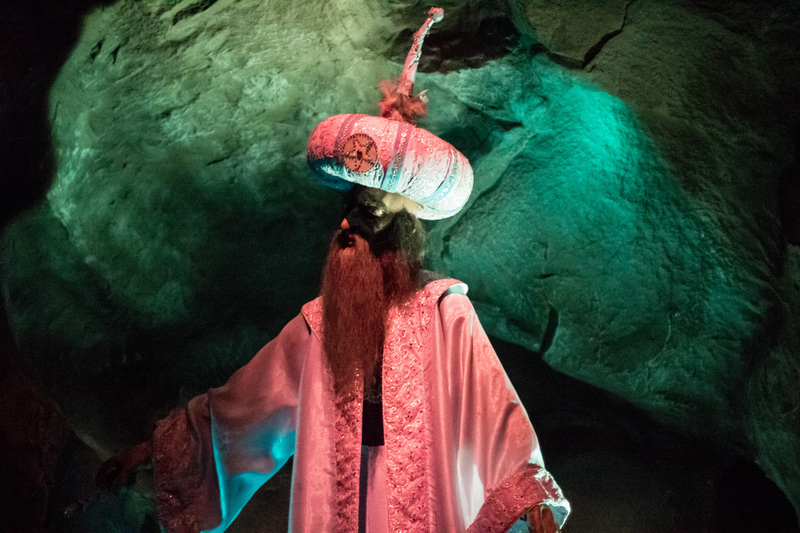 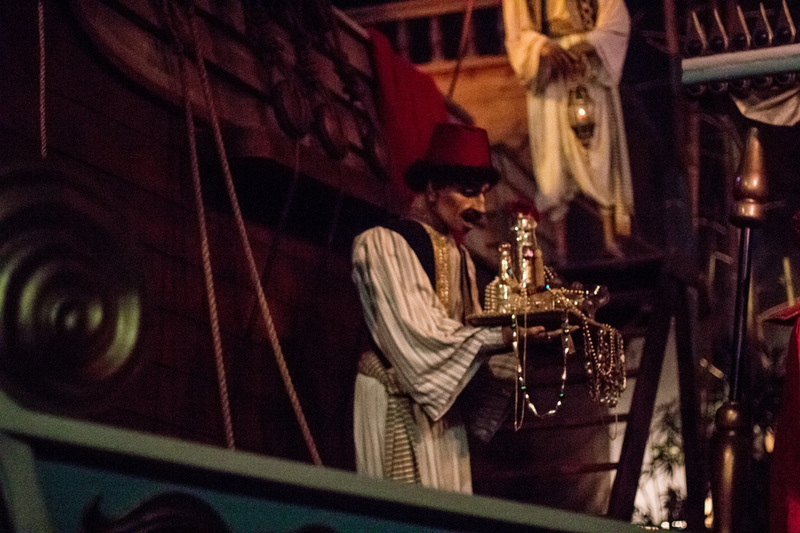 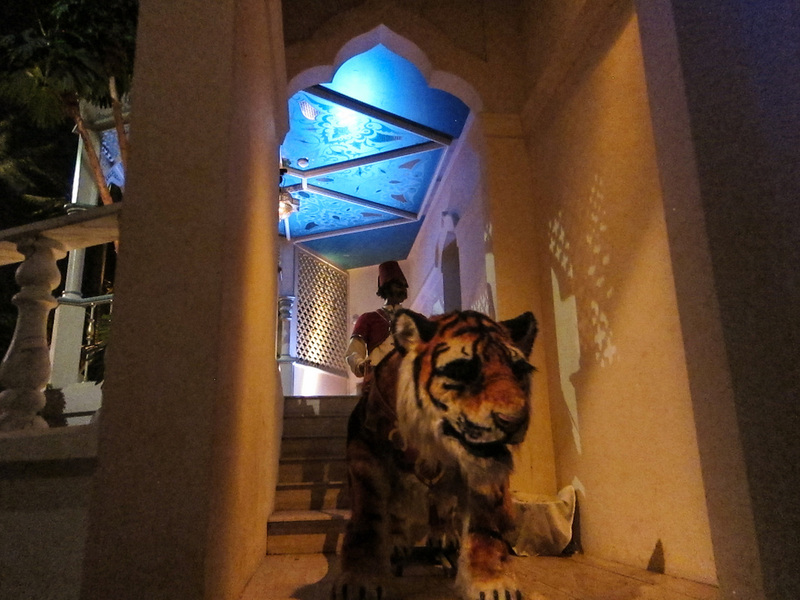 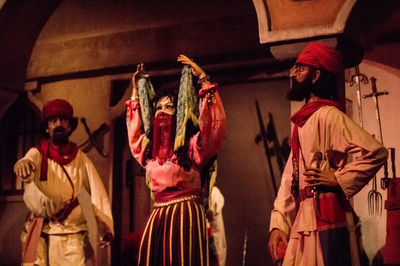 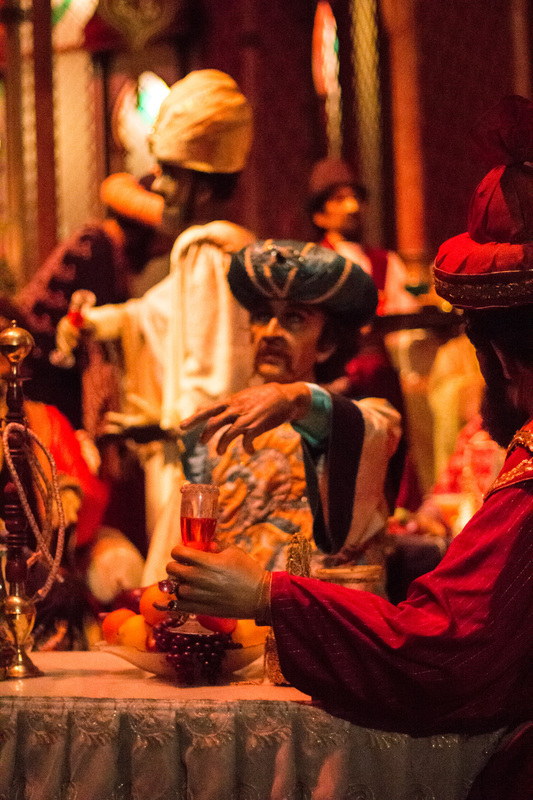 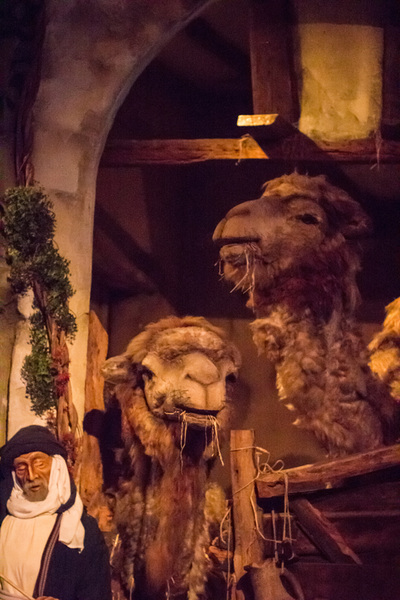 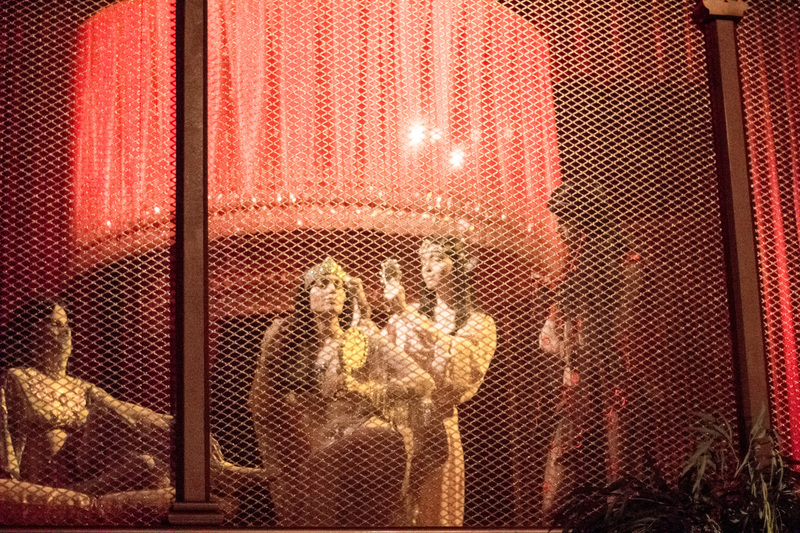 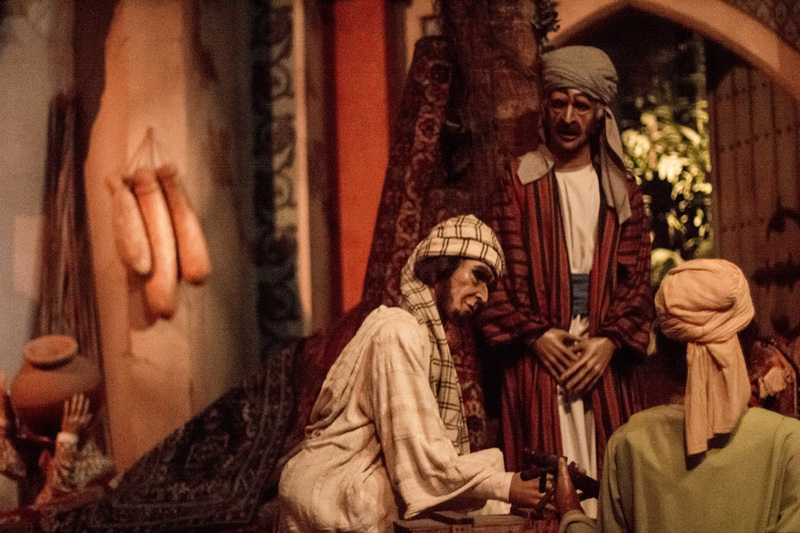 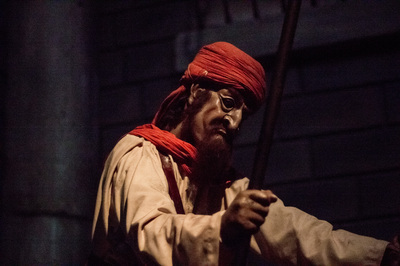 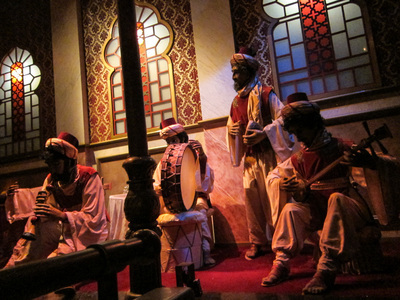 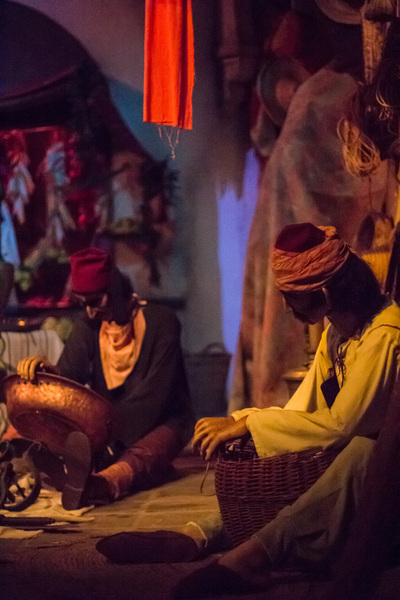 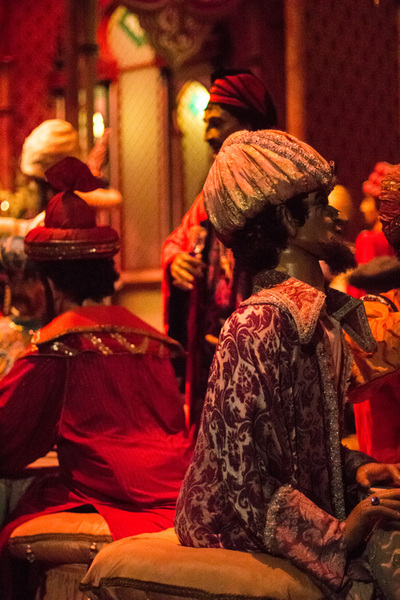 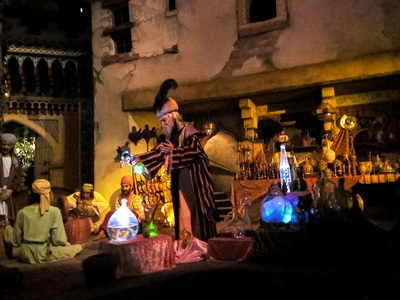 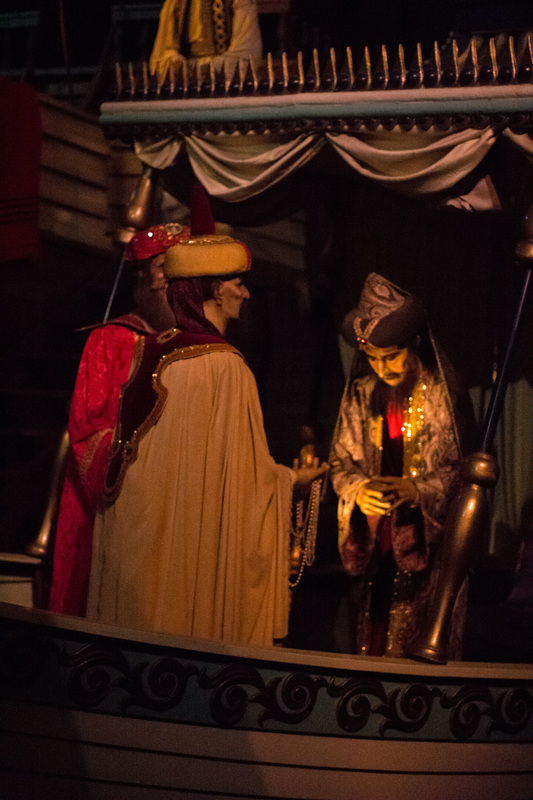 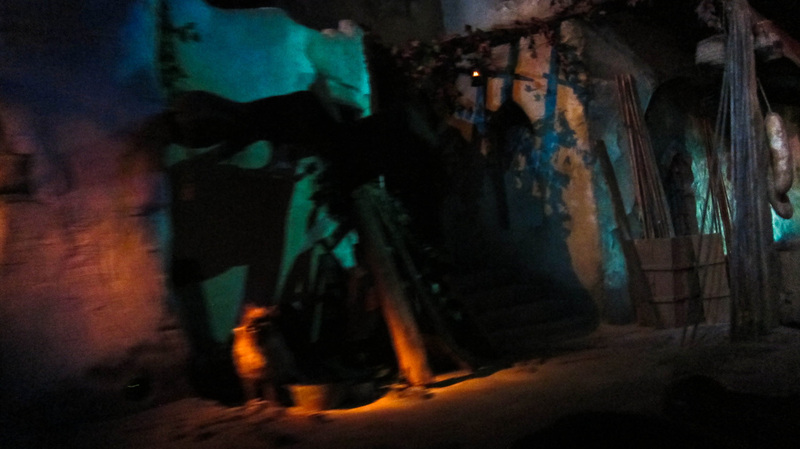 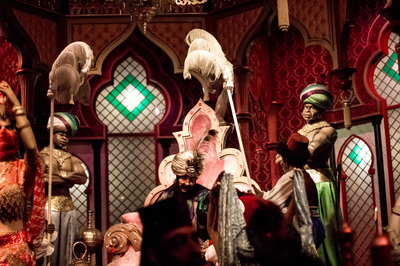 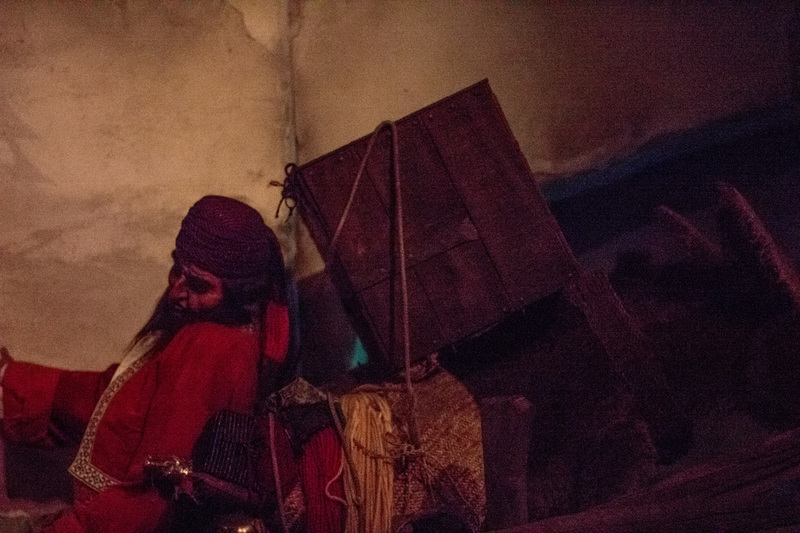 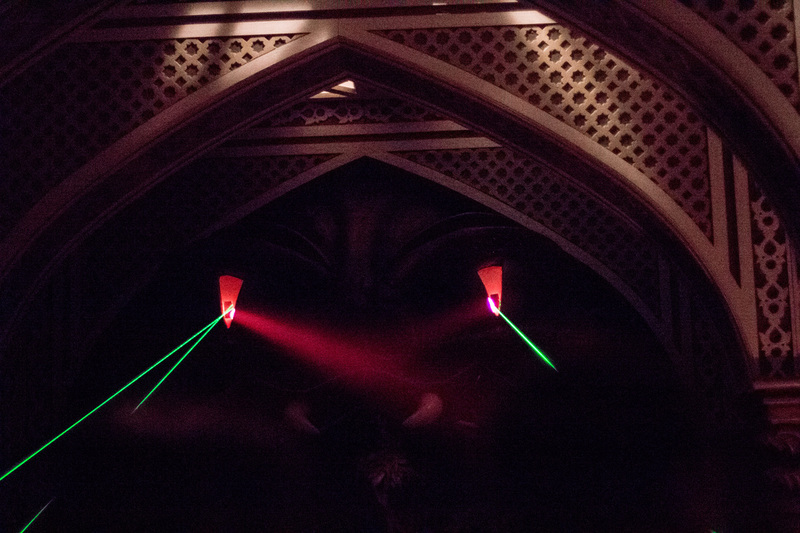 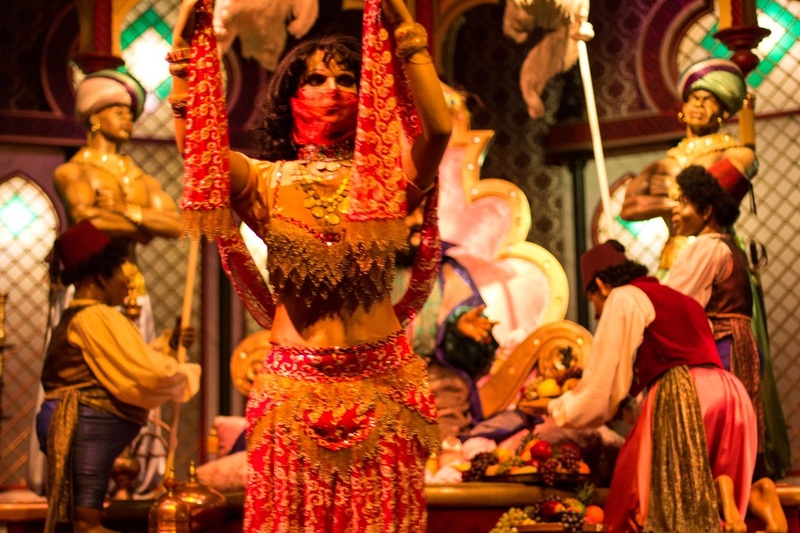 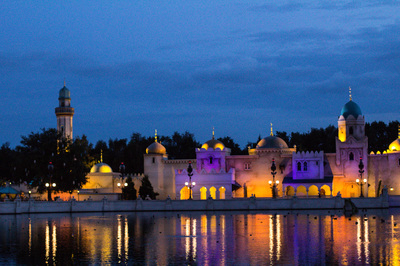 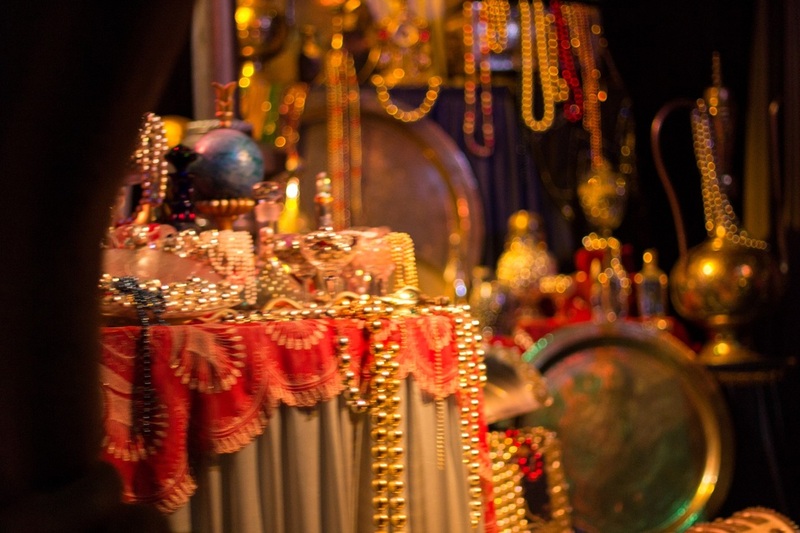 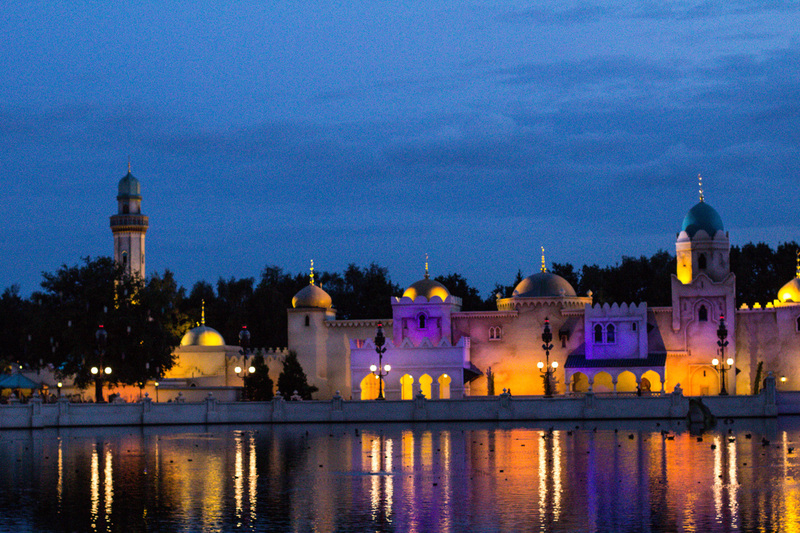 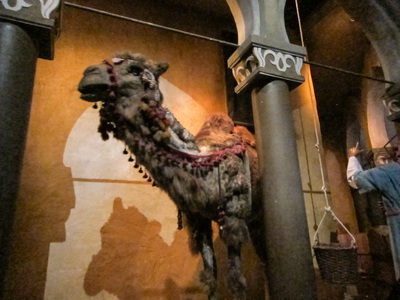 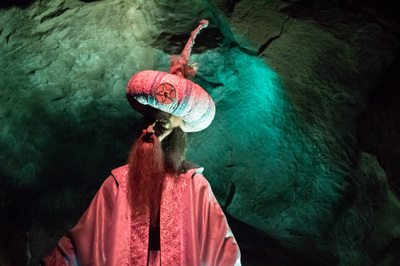 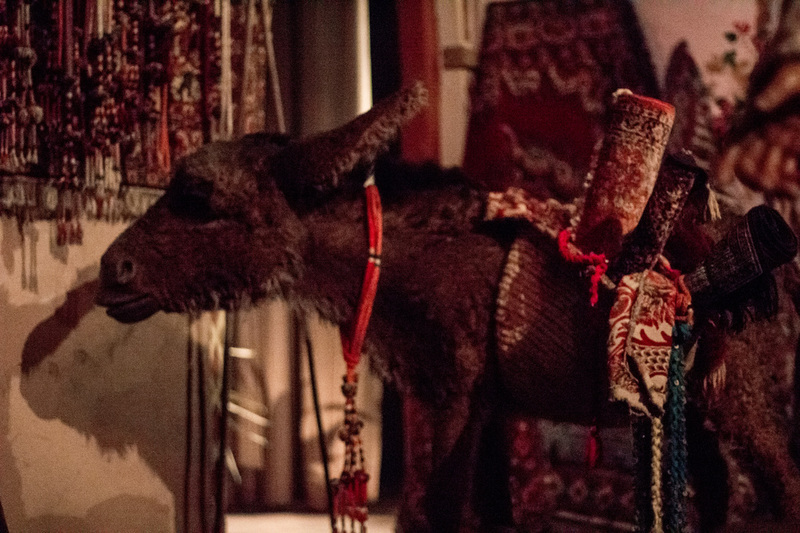 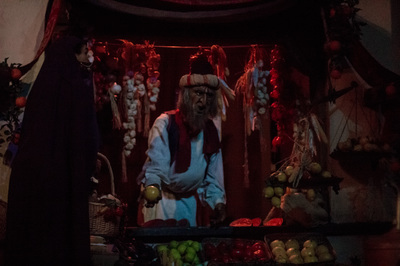 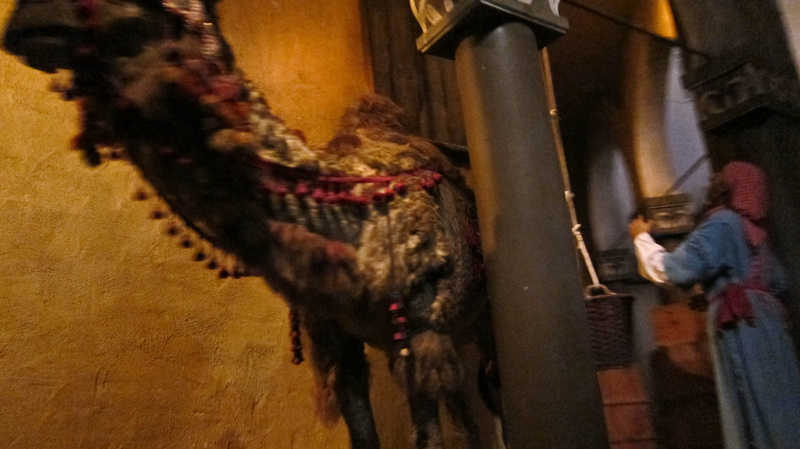 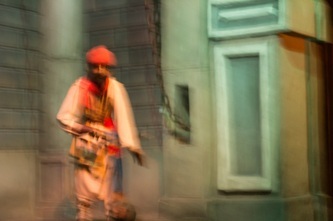 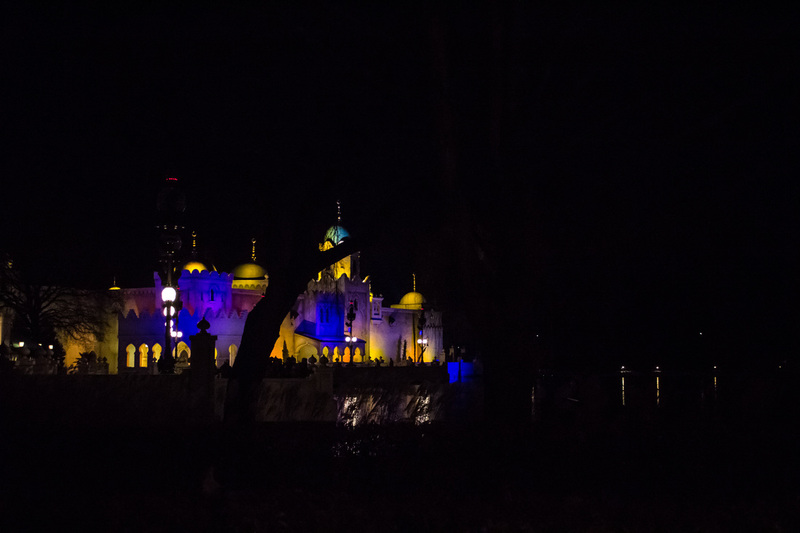 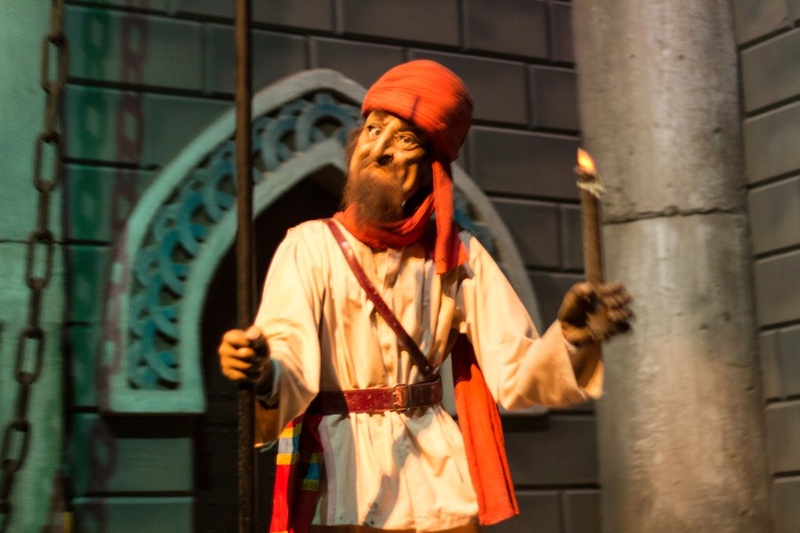 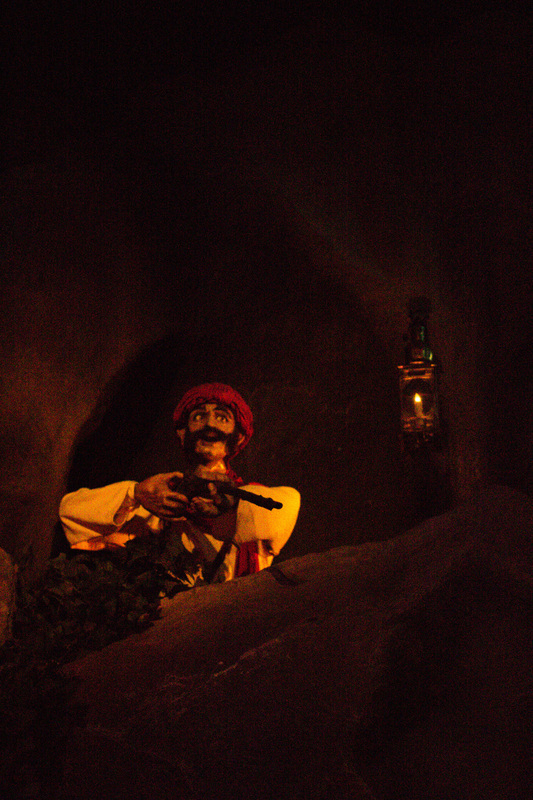 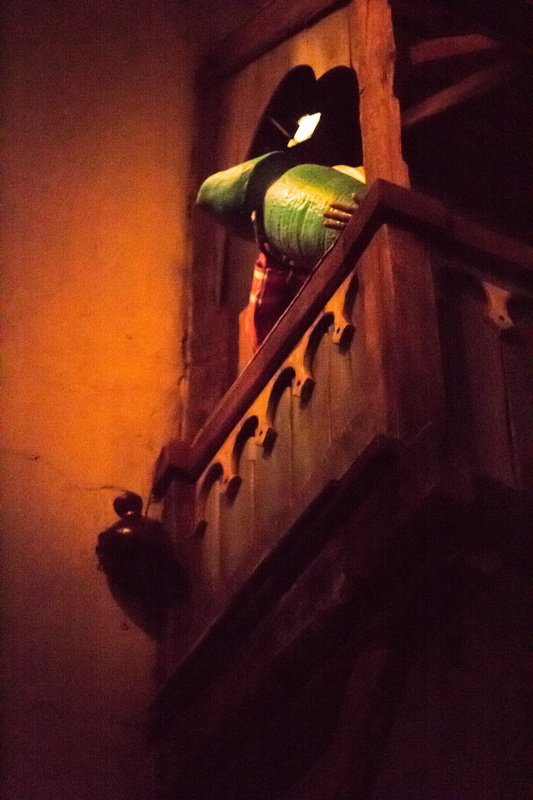 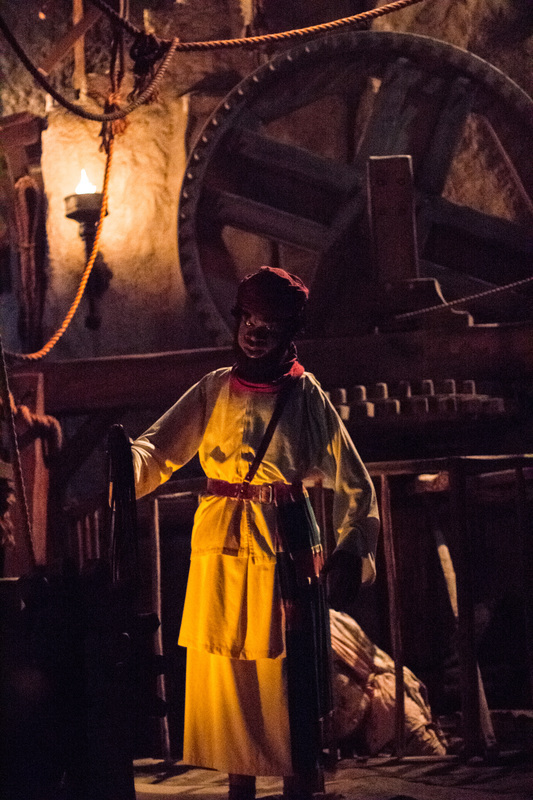 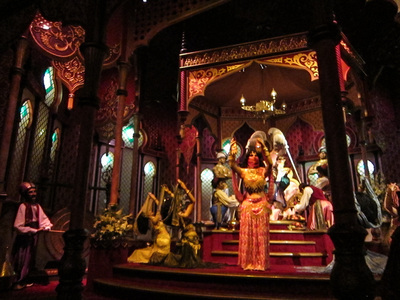 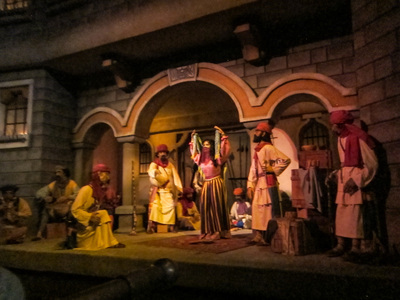 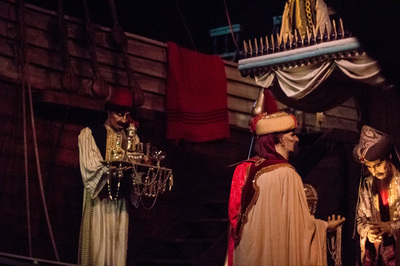 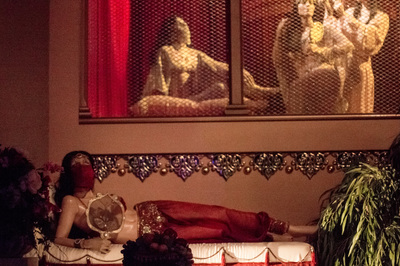 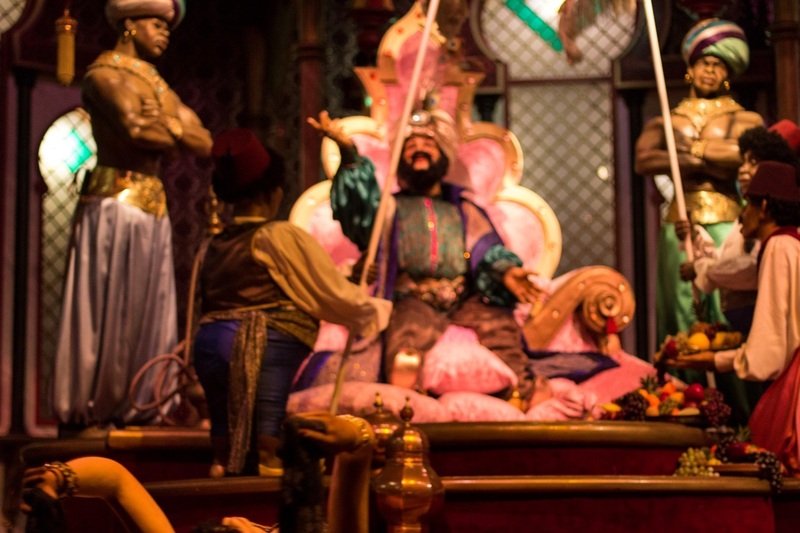 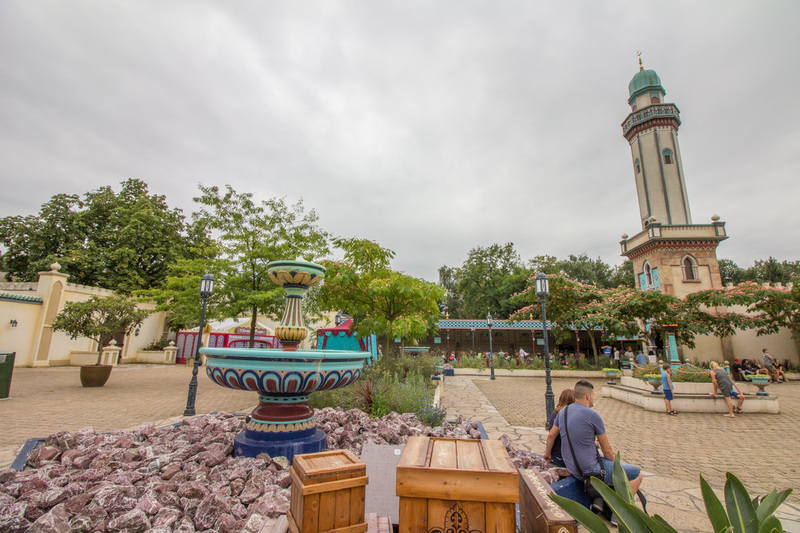 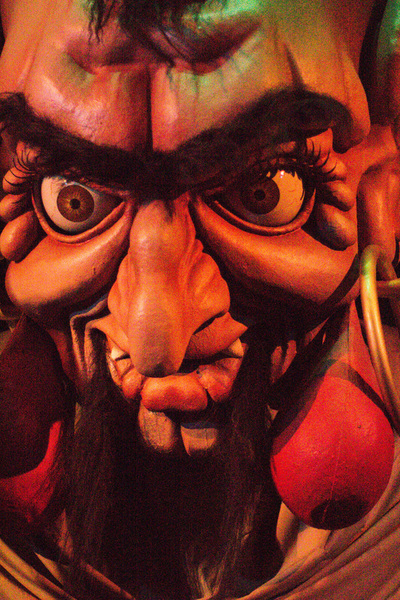 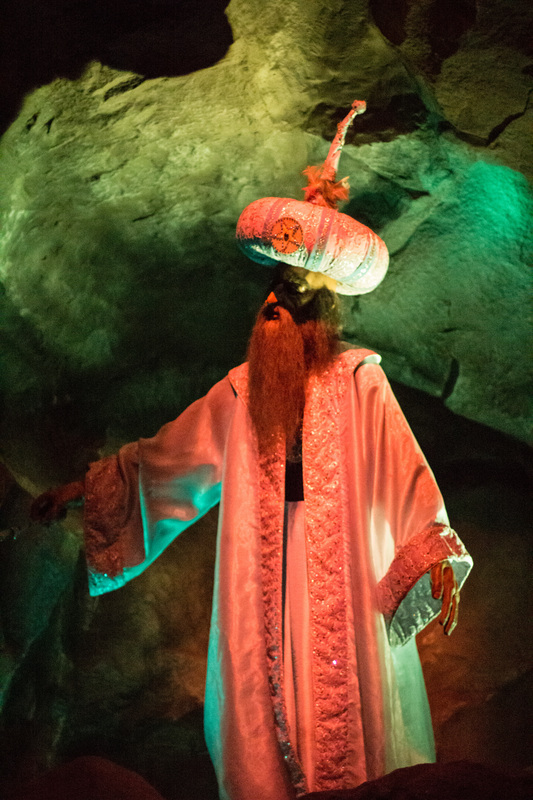 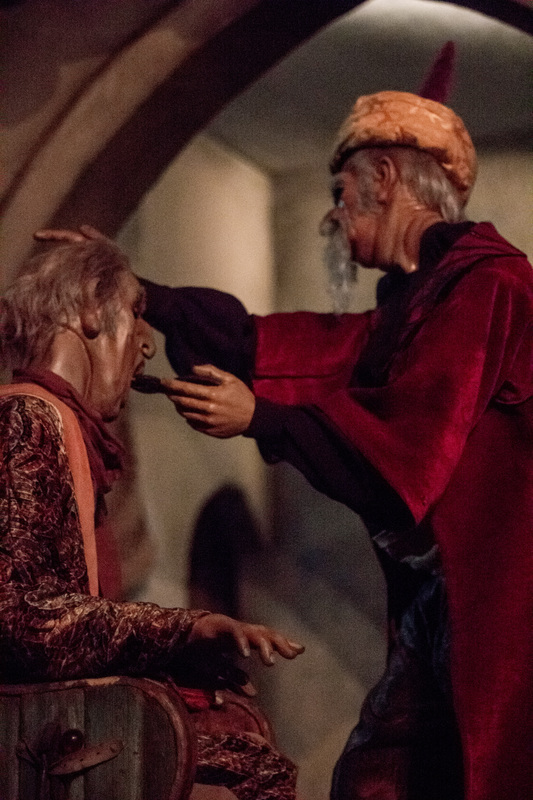 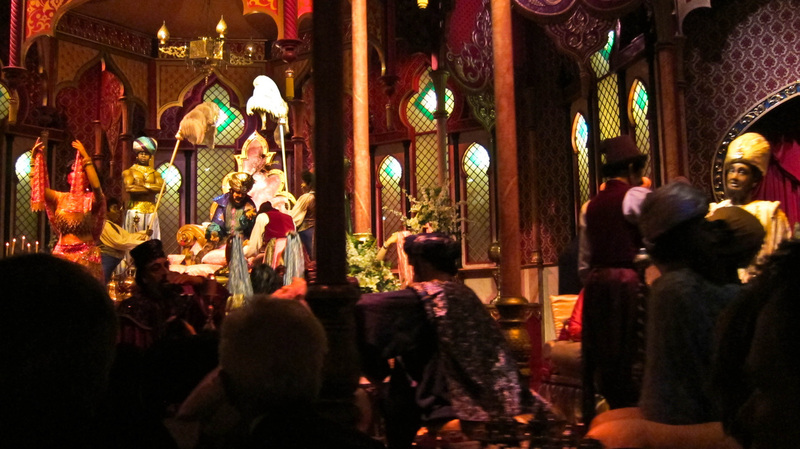 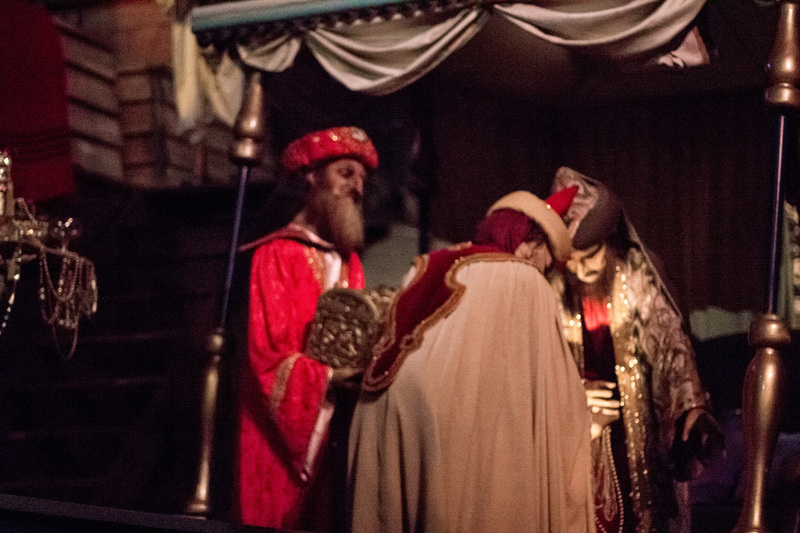 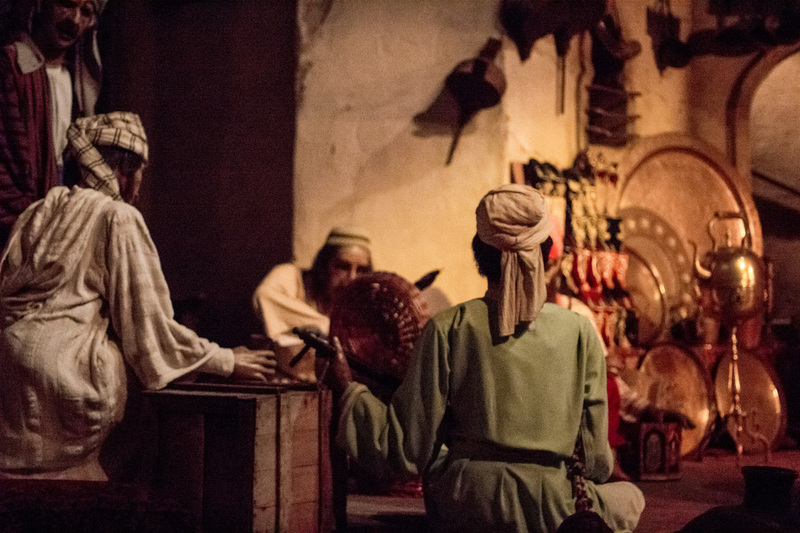 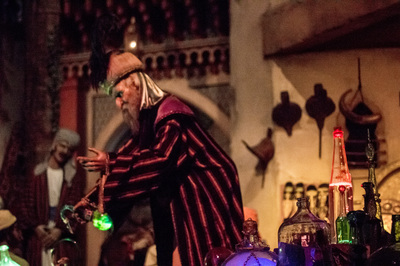 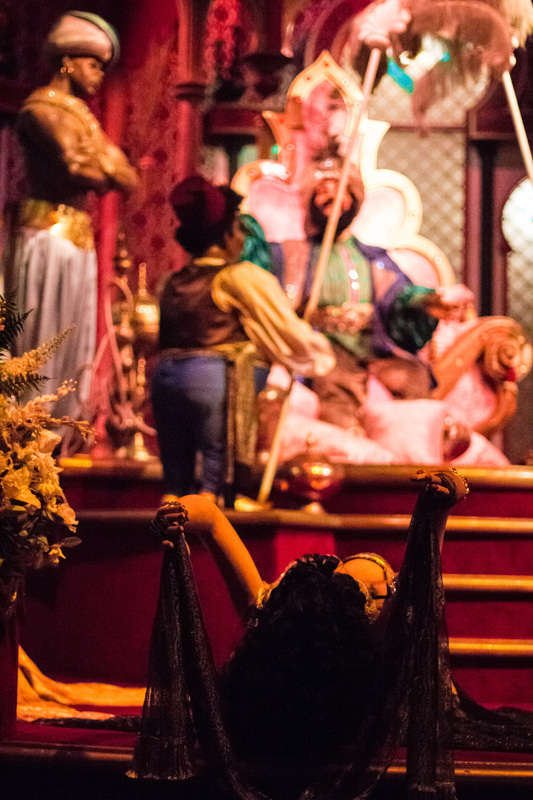 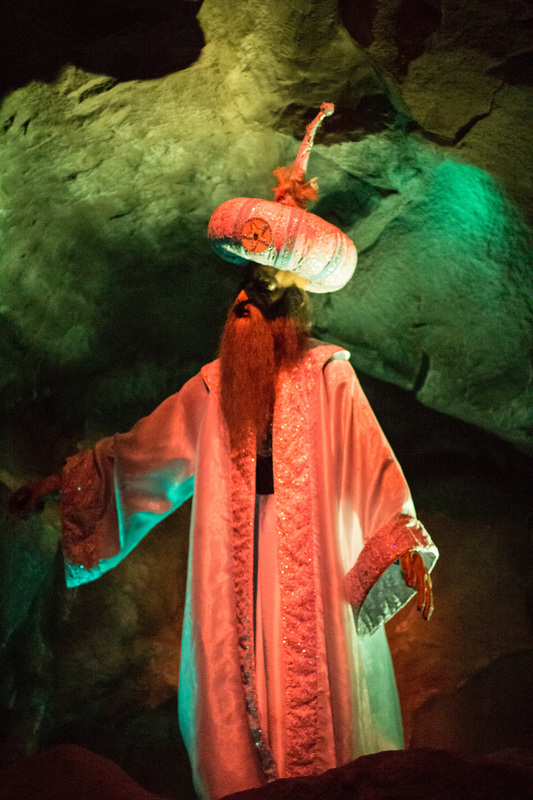 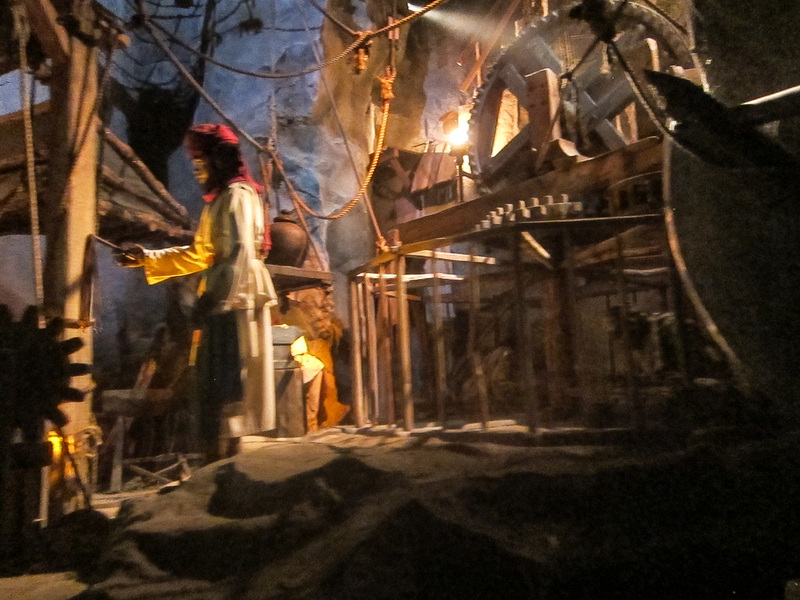 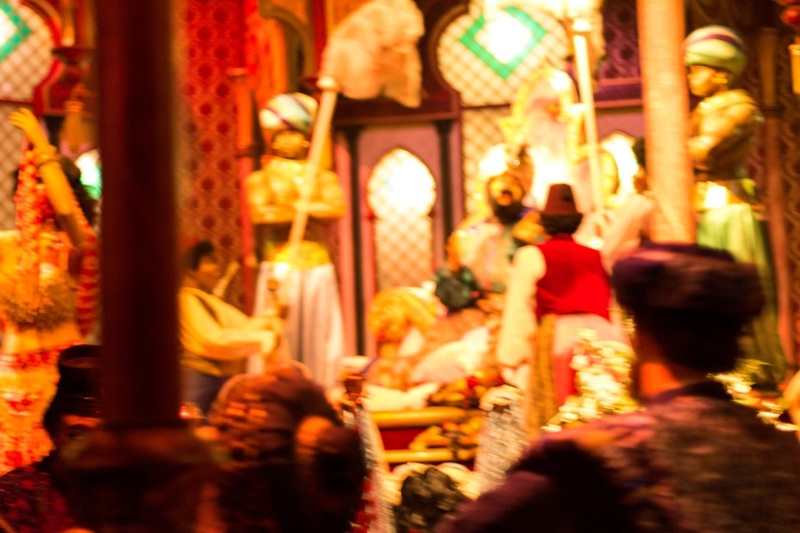 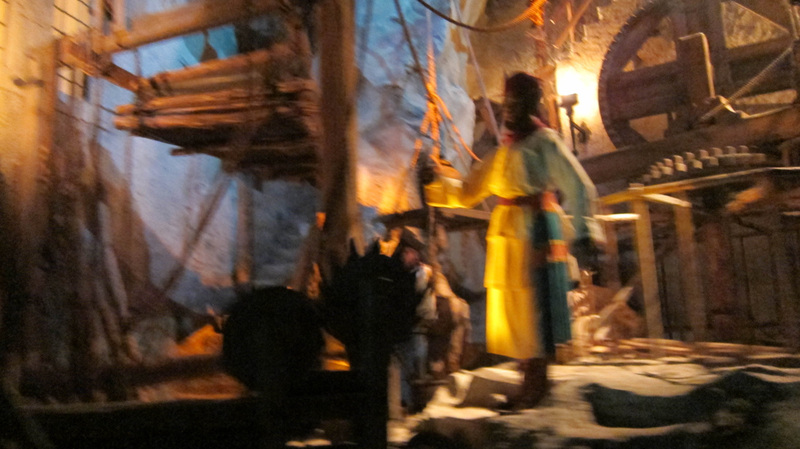 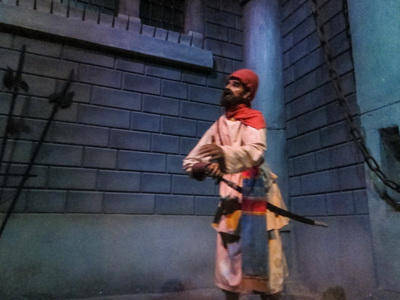 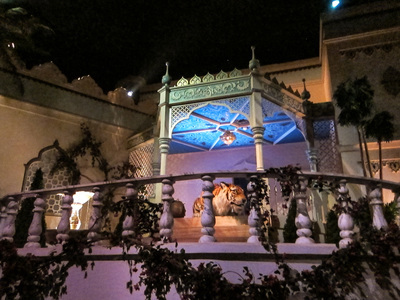 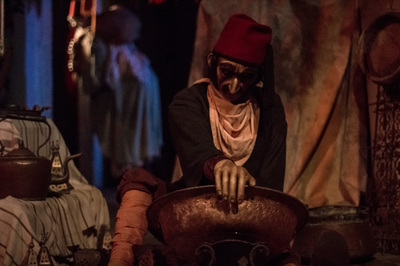 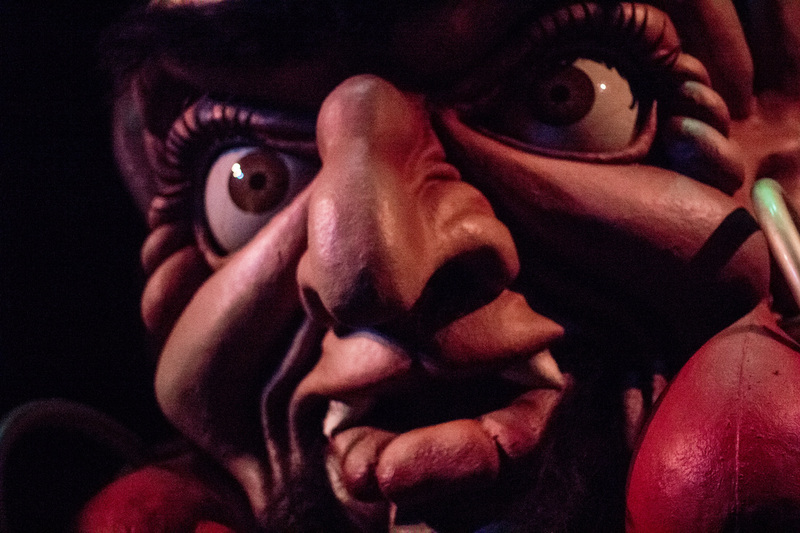 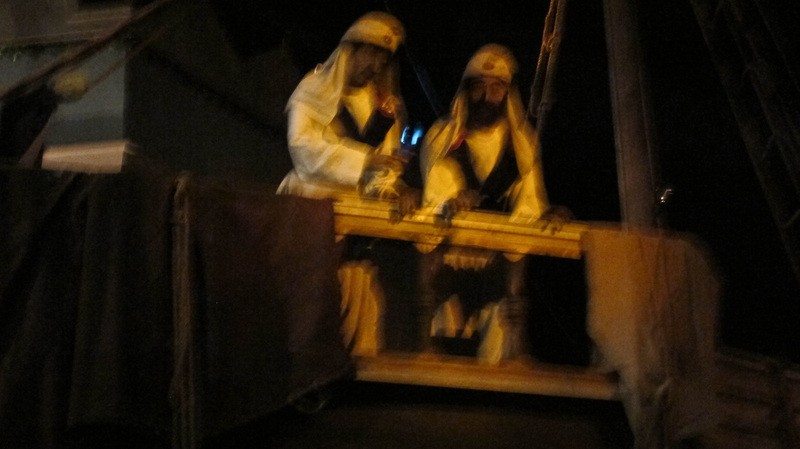 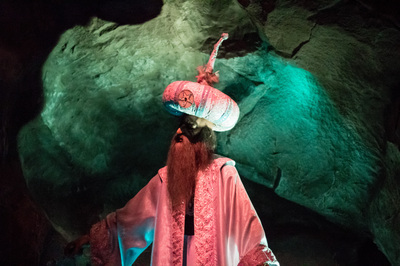 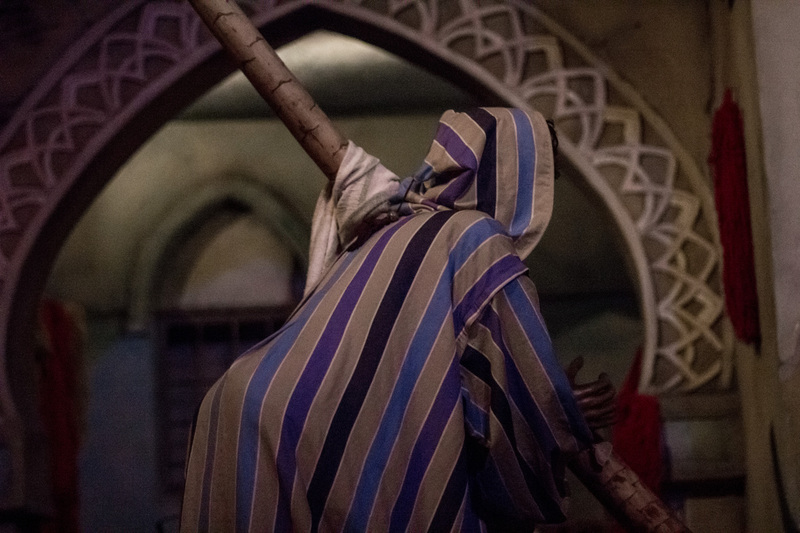 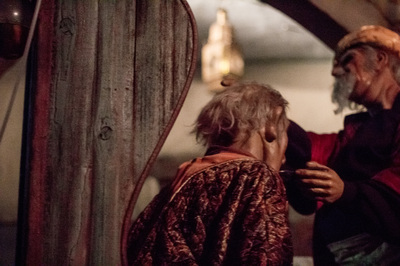 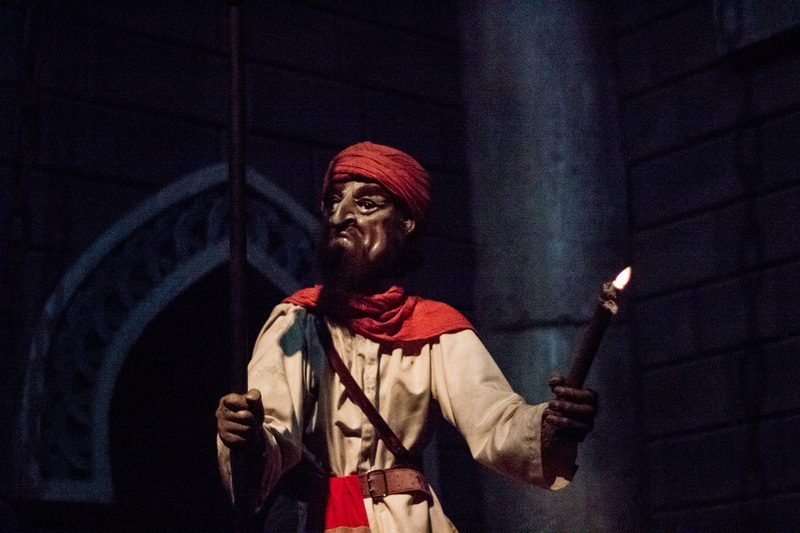 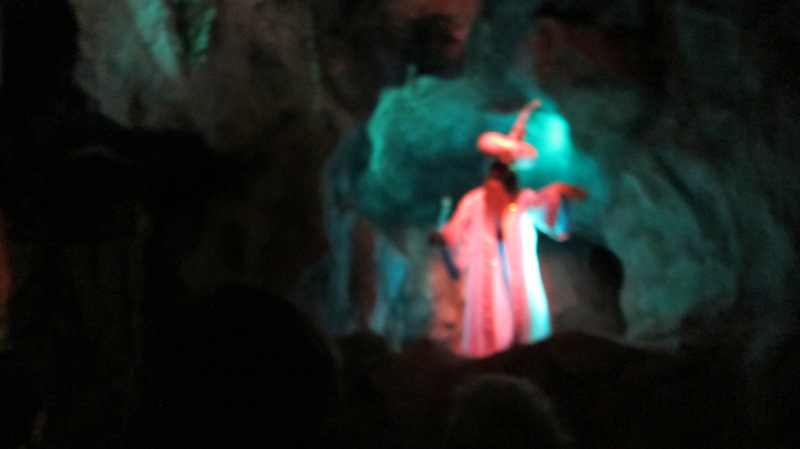 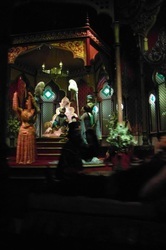 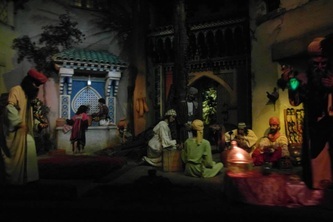 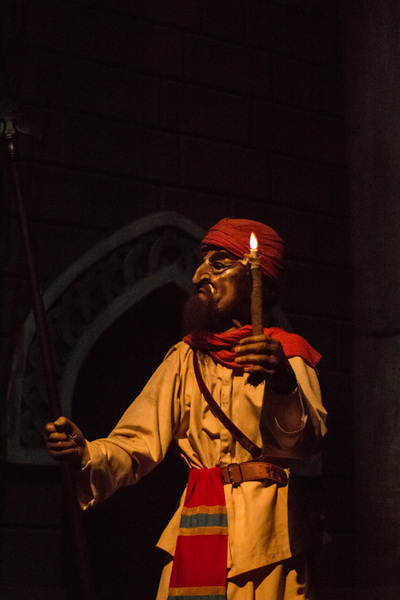 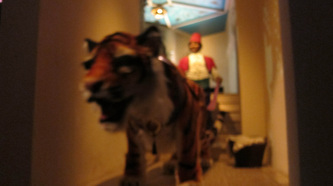 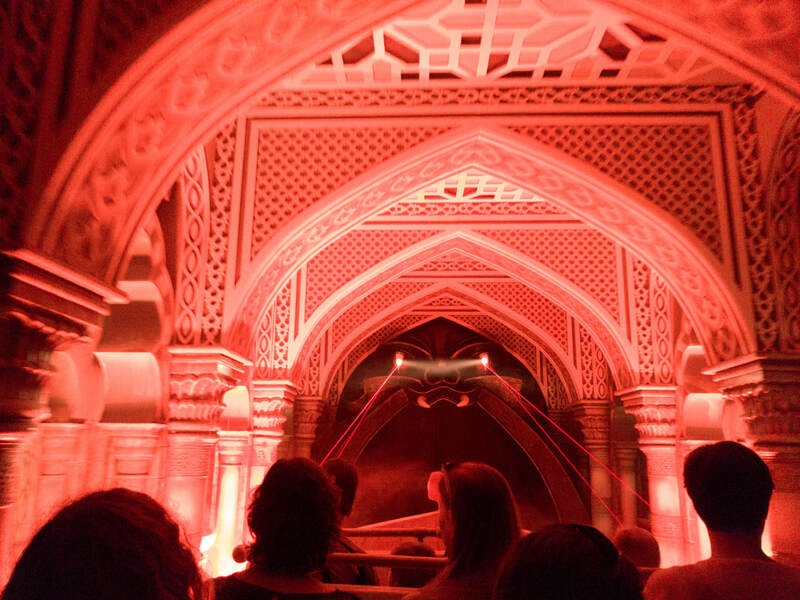 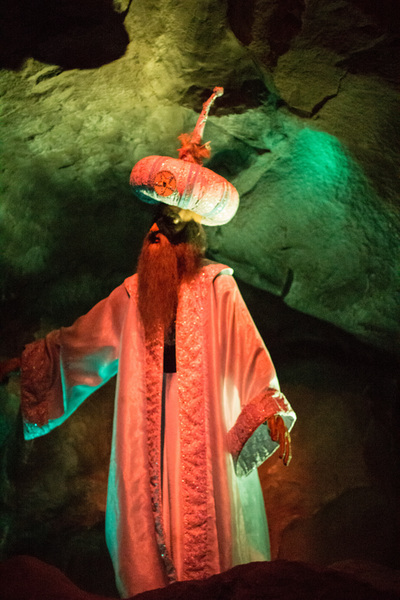 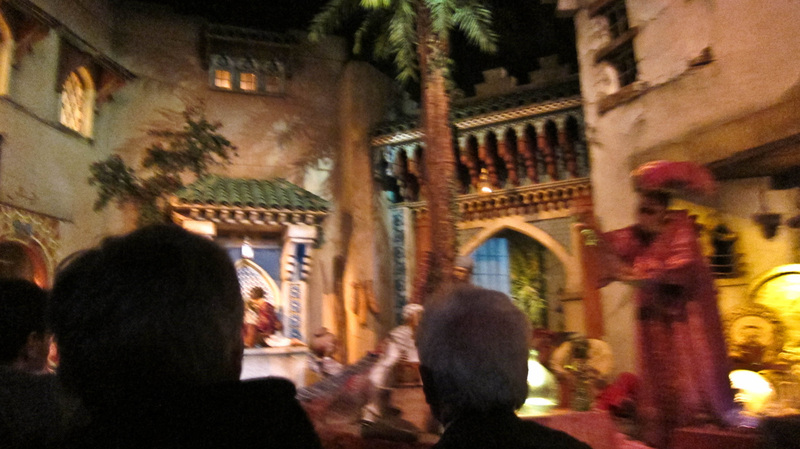 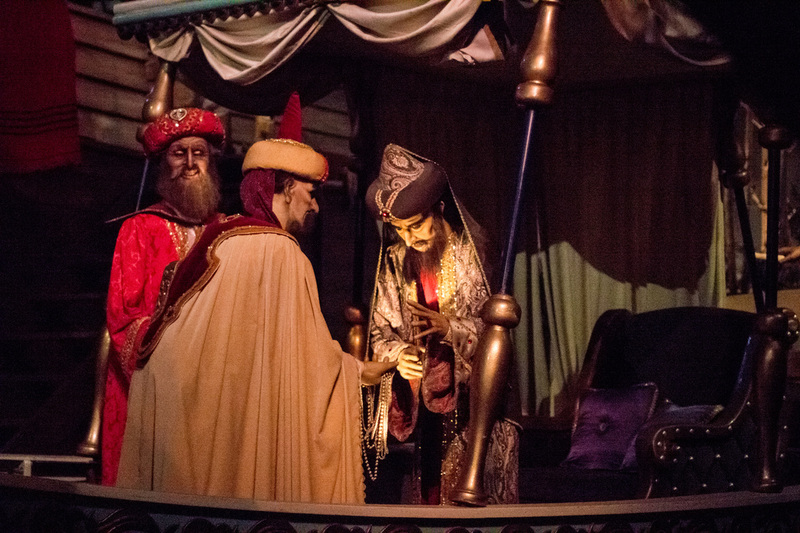 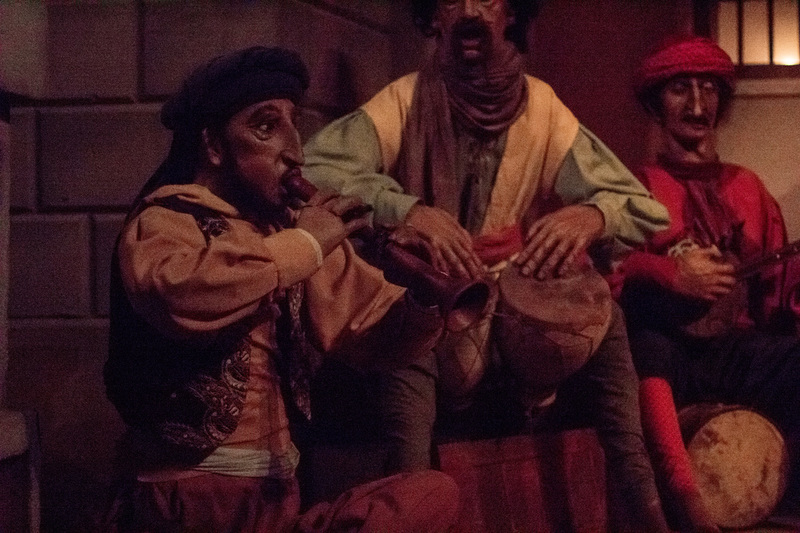 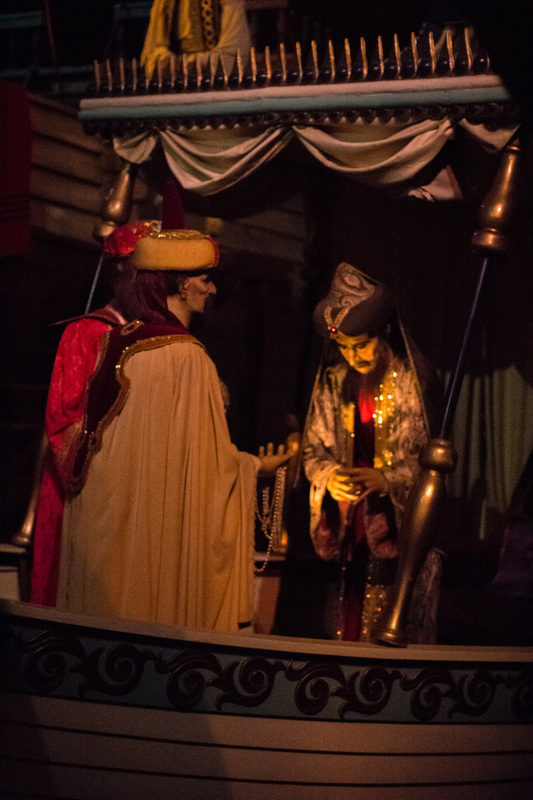 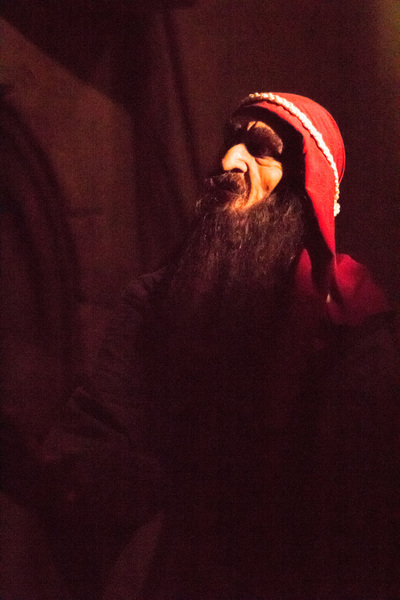 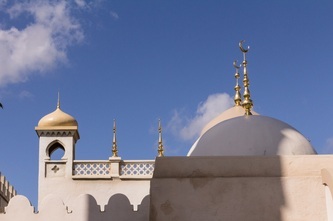 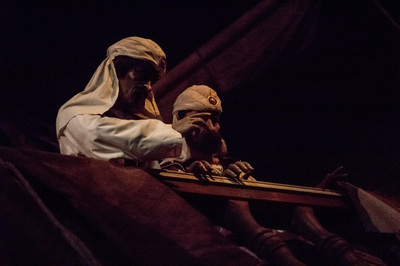 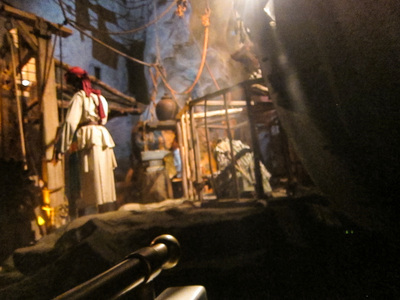 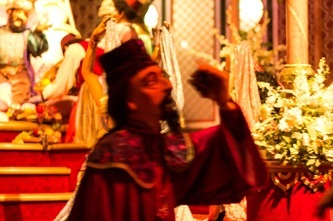 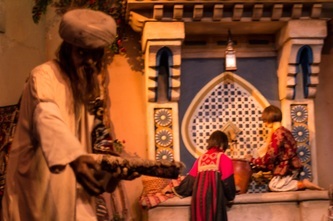 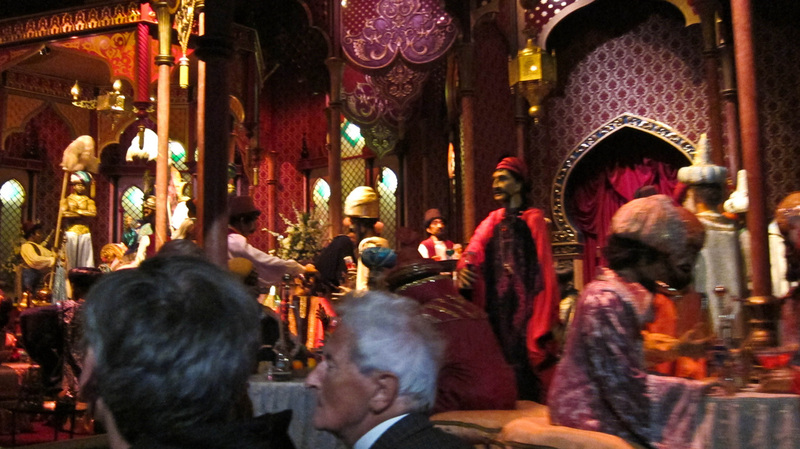 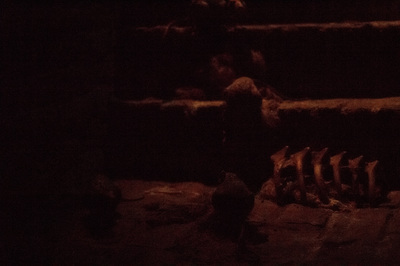 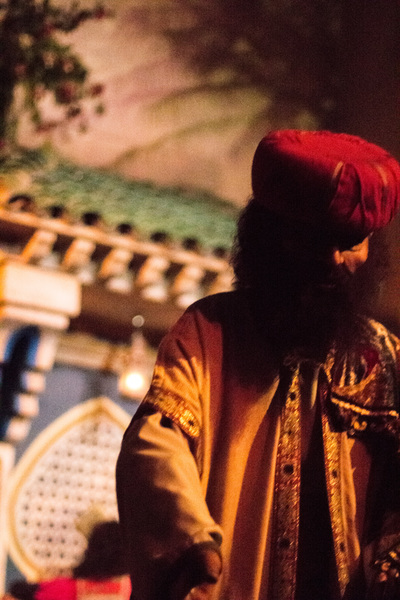 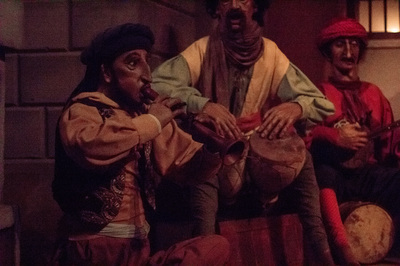 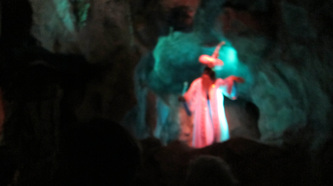 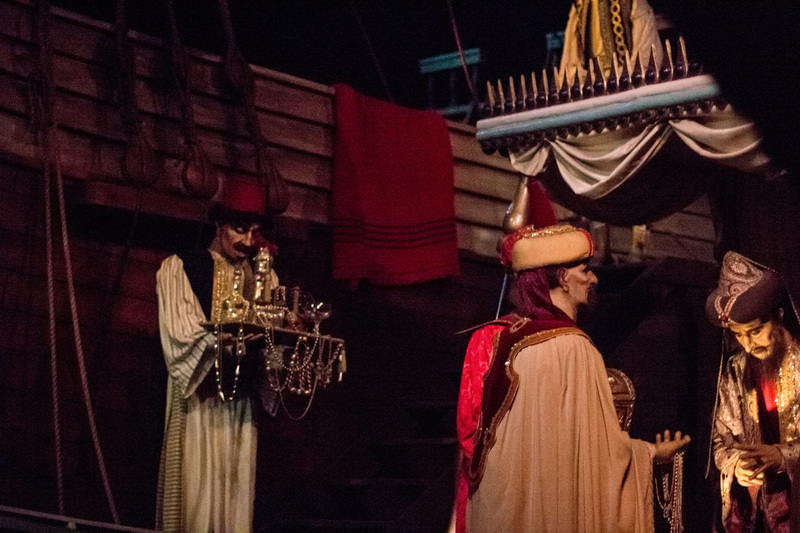 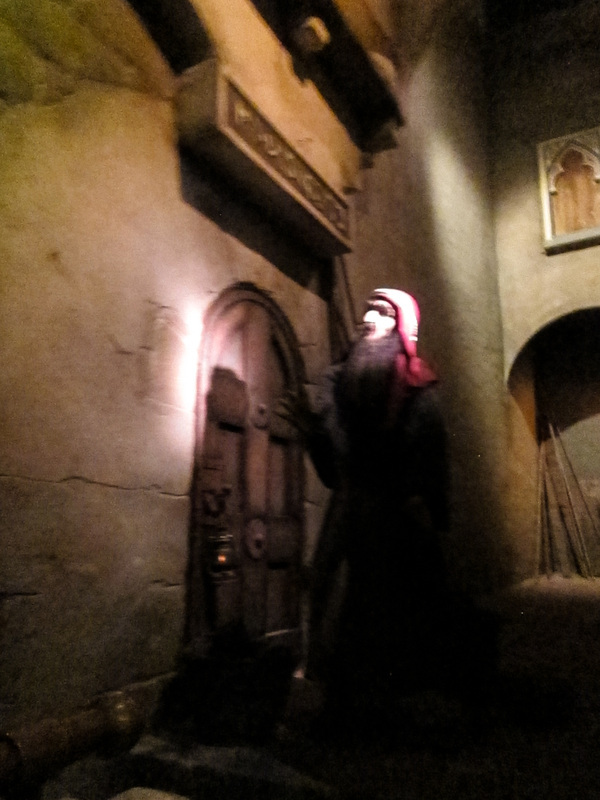 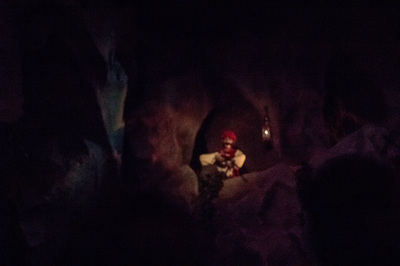 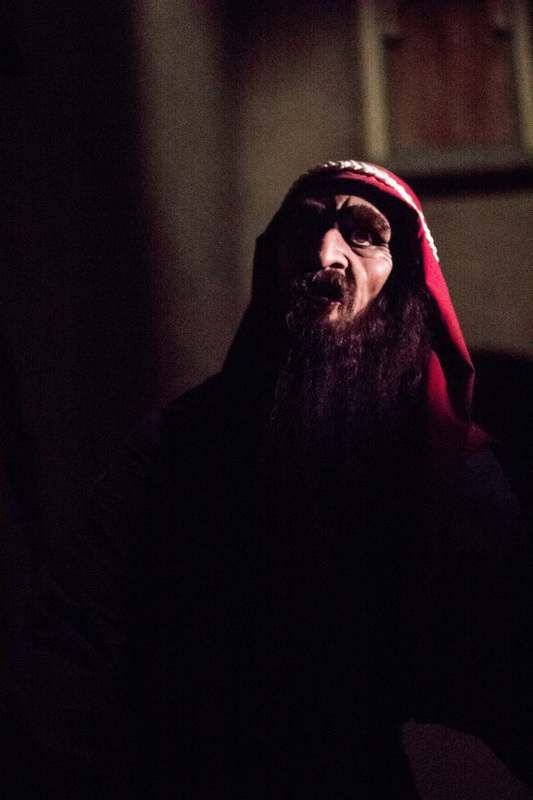 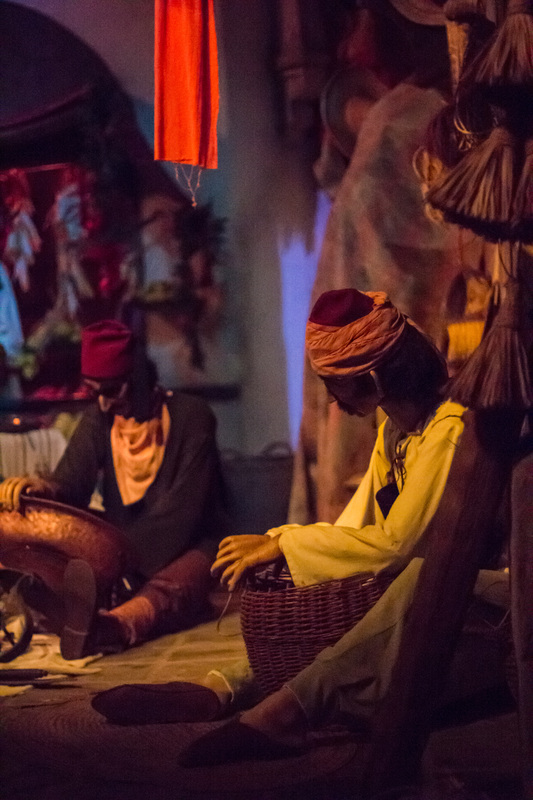 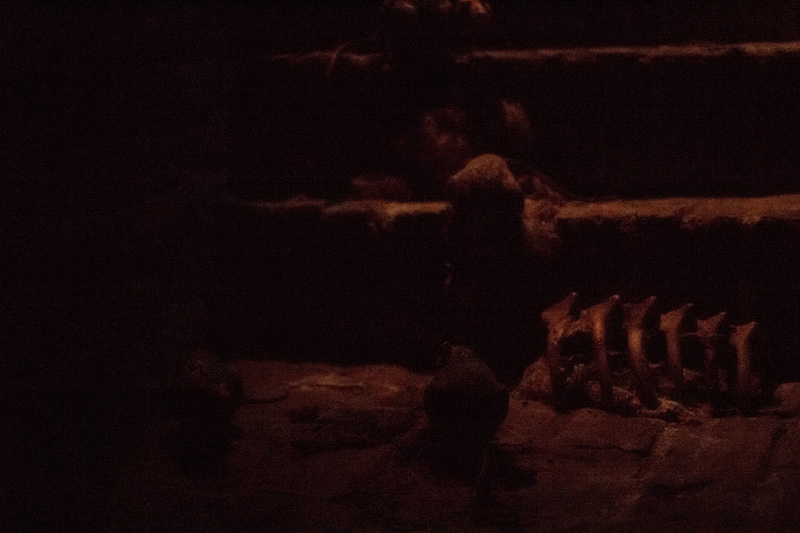 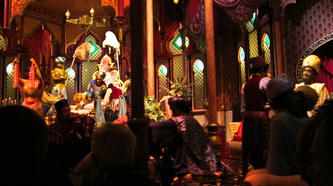 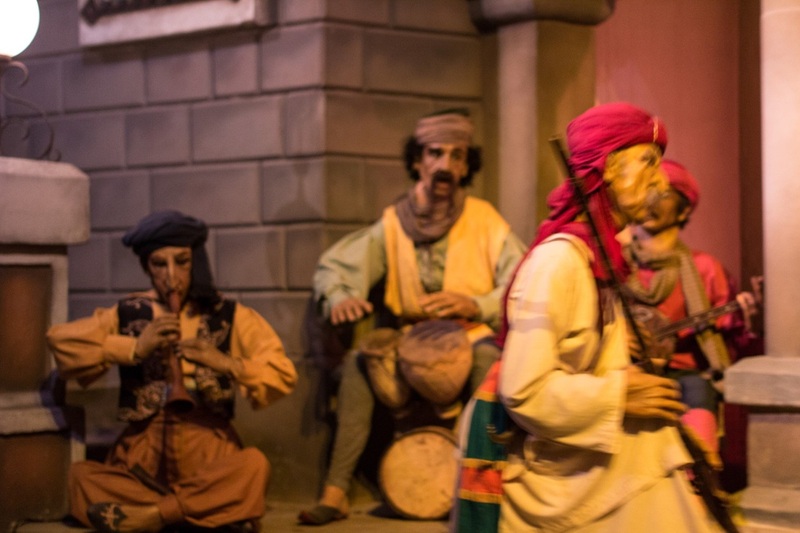 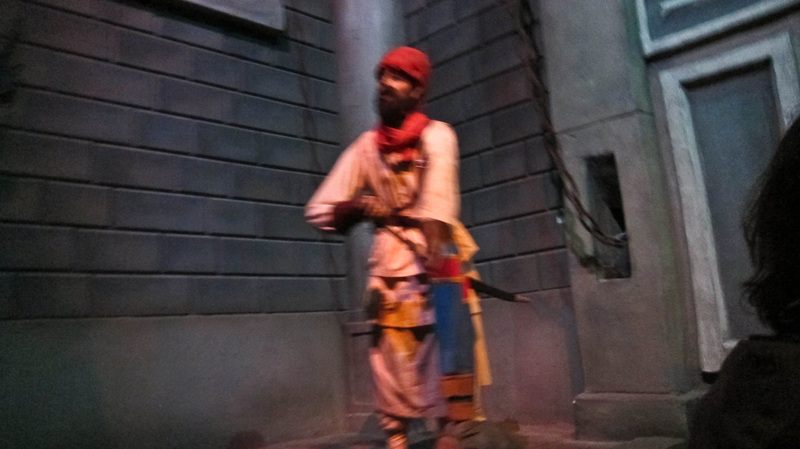 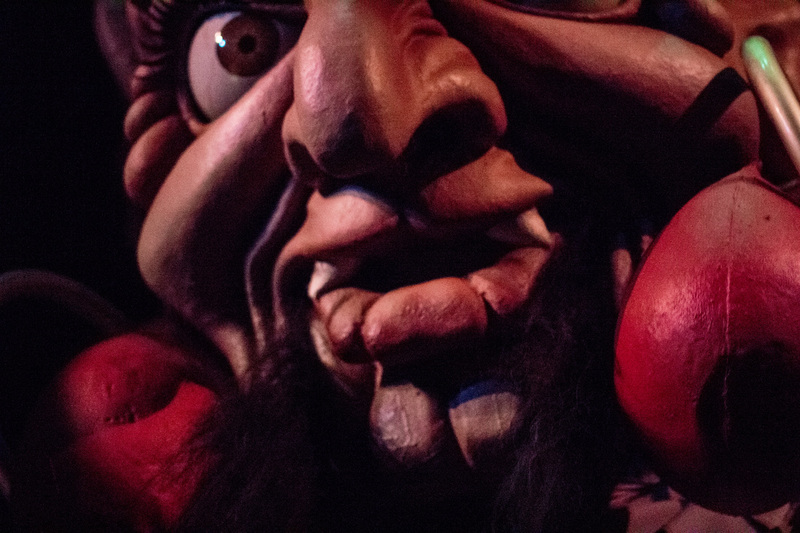 Step into the boat and join us on a journey through the Wonderful World of 1001 nights. 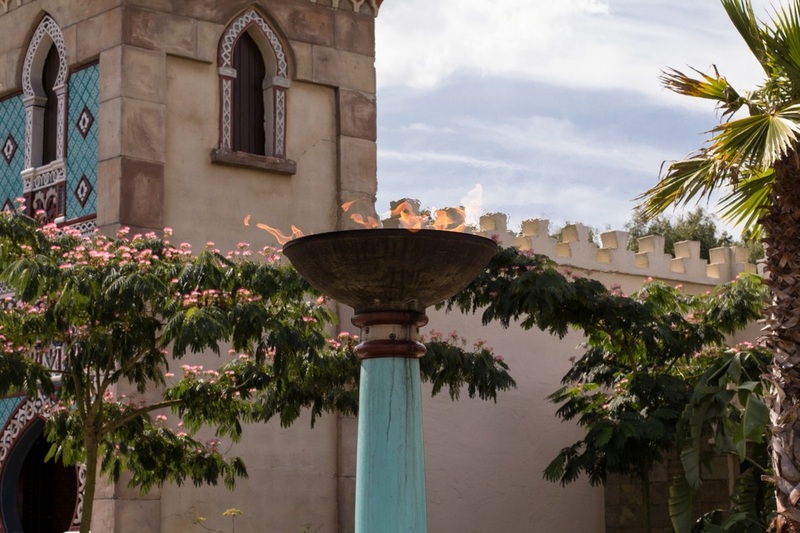 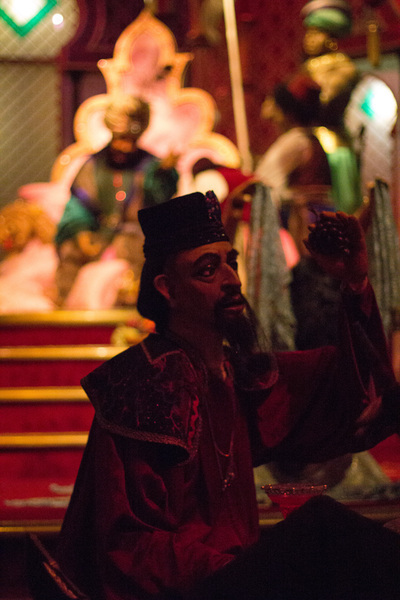 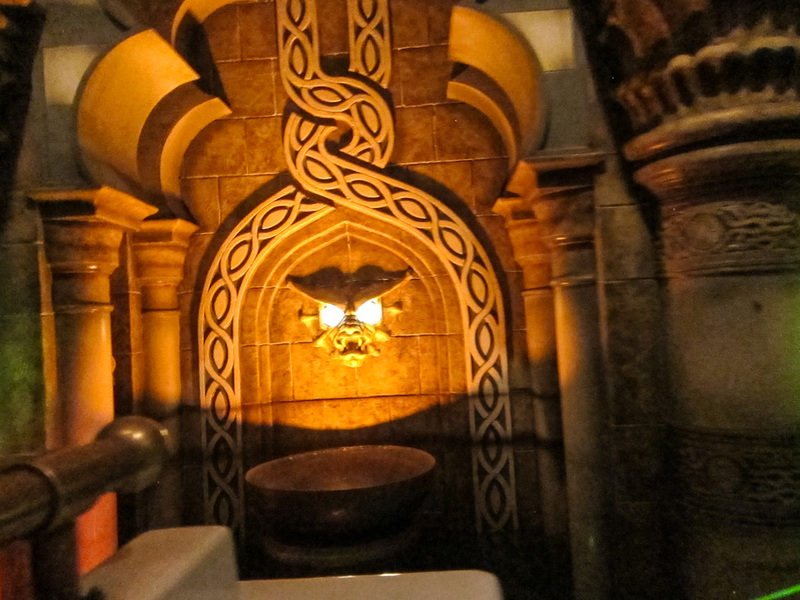 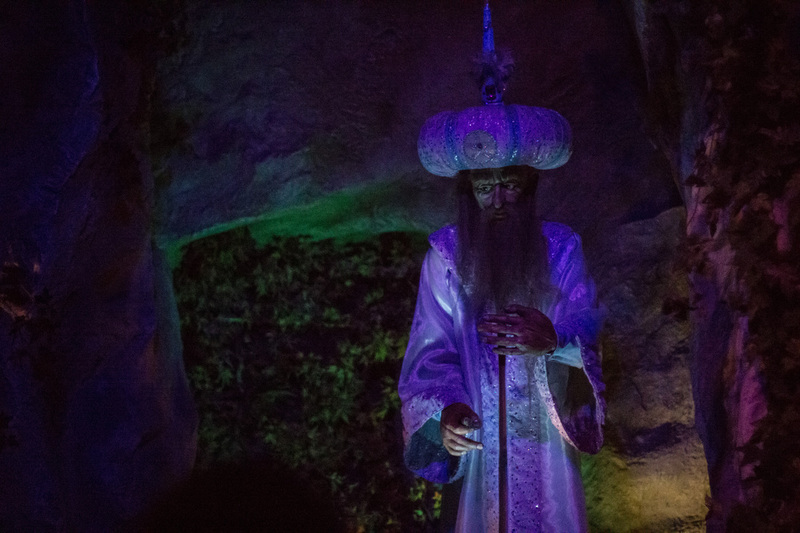 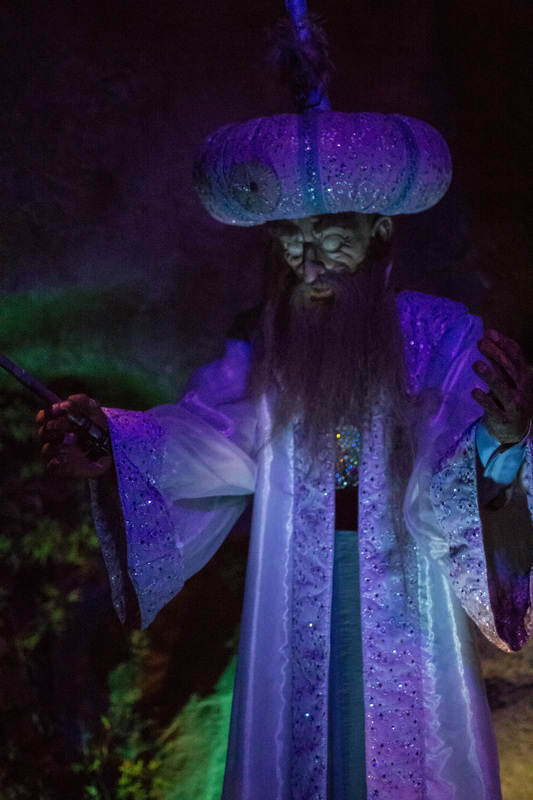 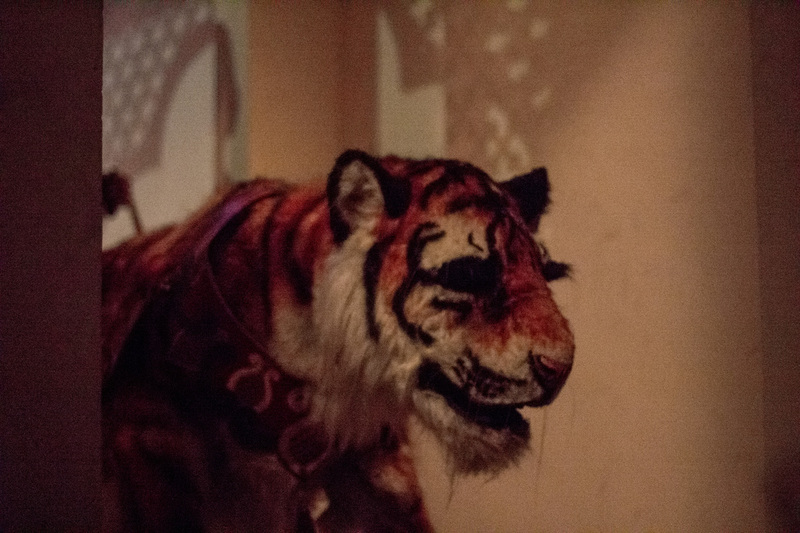 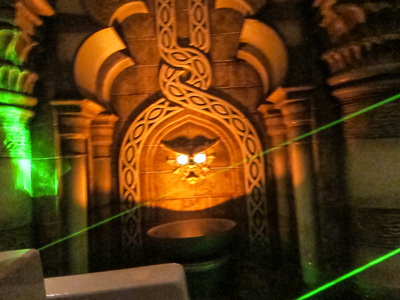 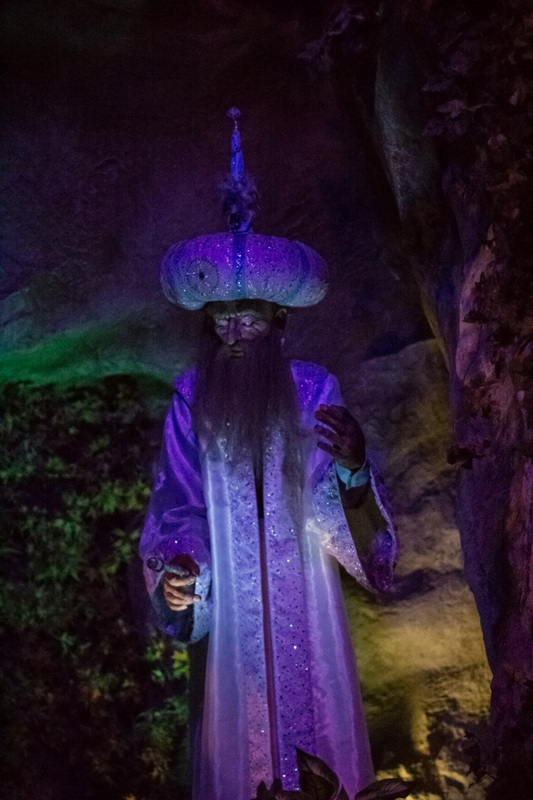 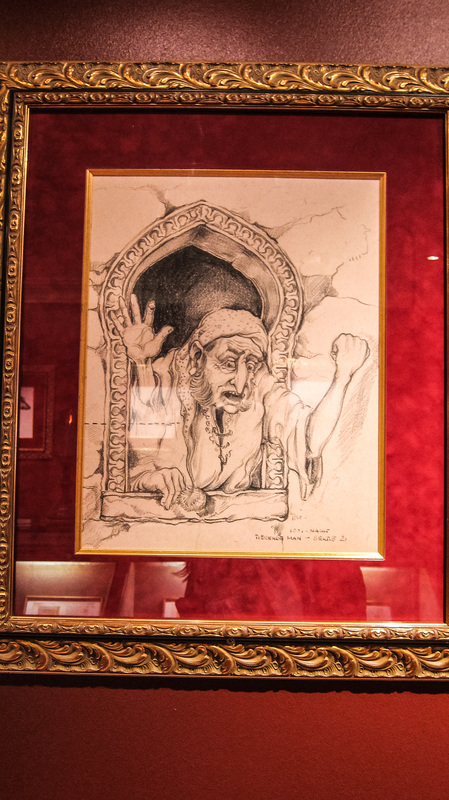 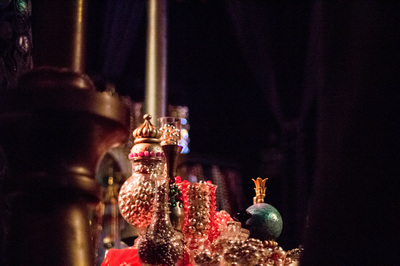 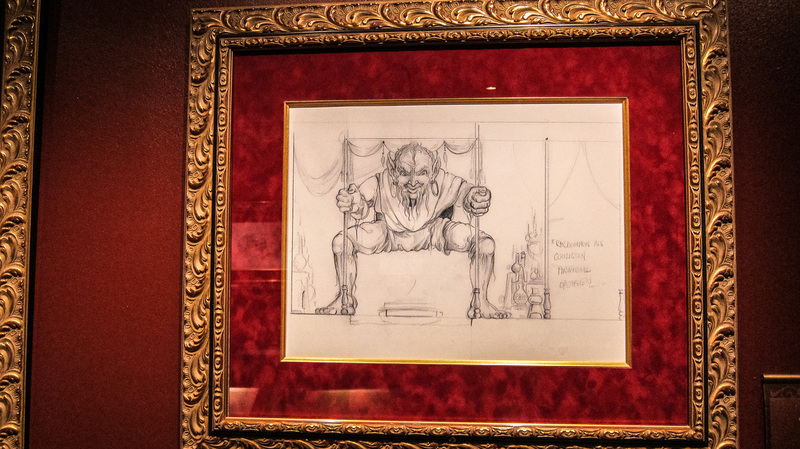 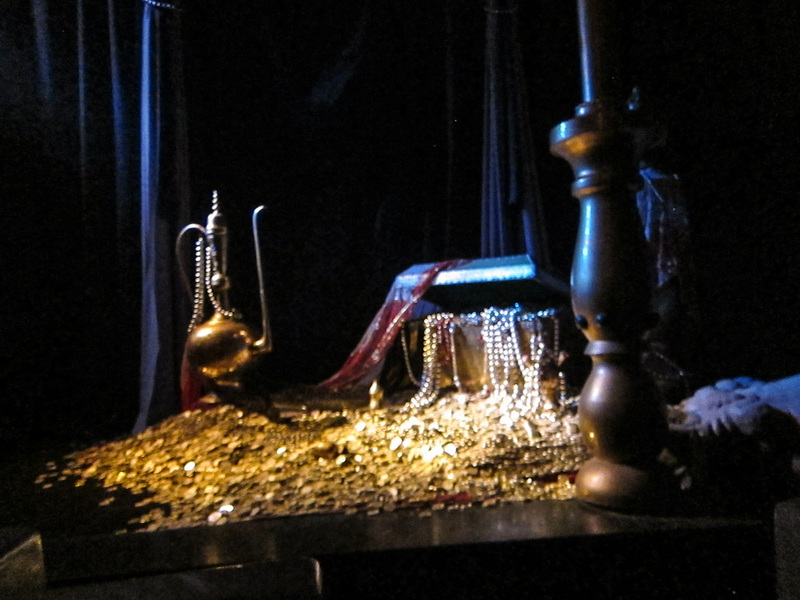 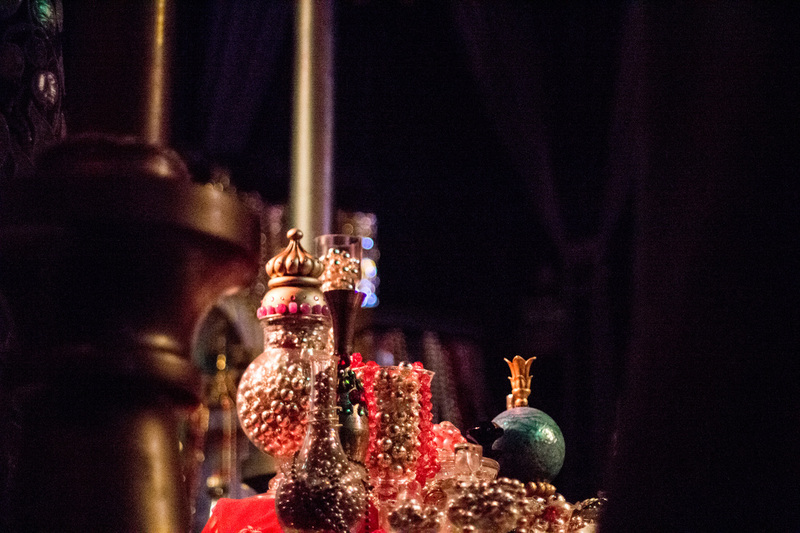 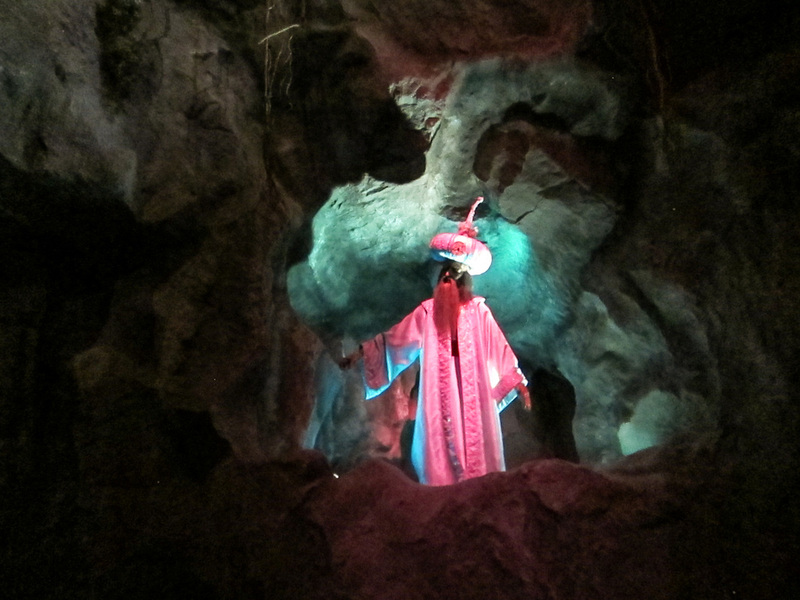 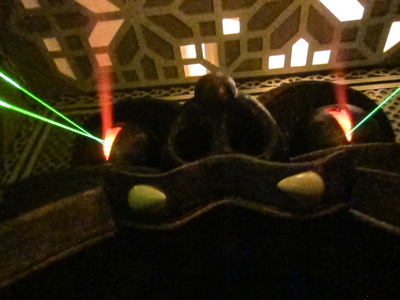 Glistening treasure has been hidden away in the depths of the Oriental Palace, but watch out! 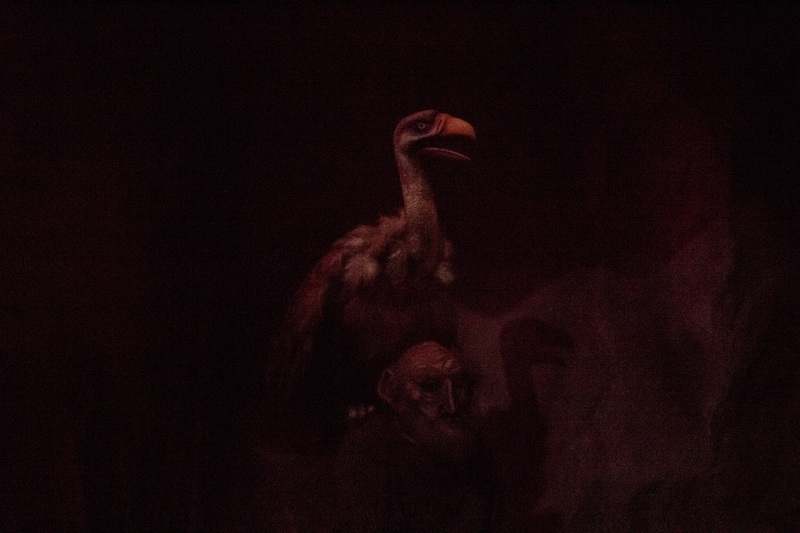 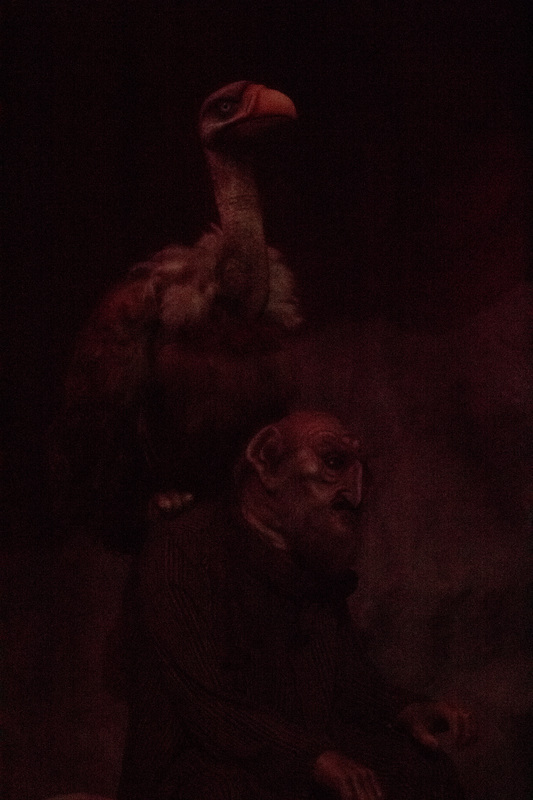 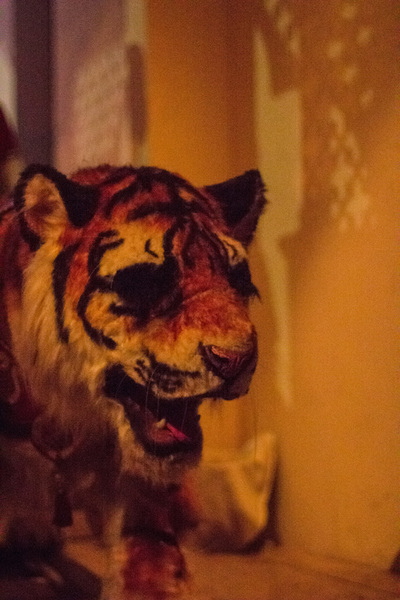 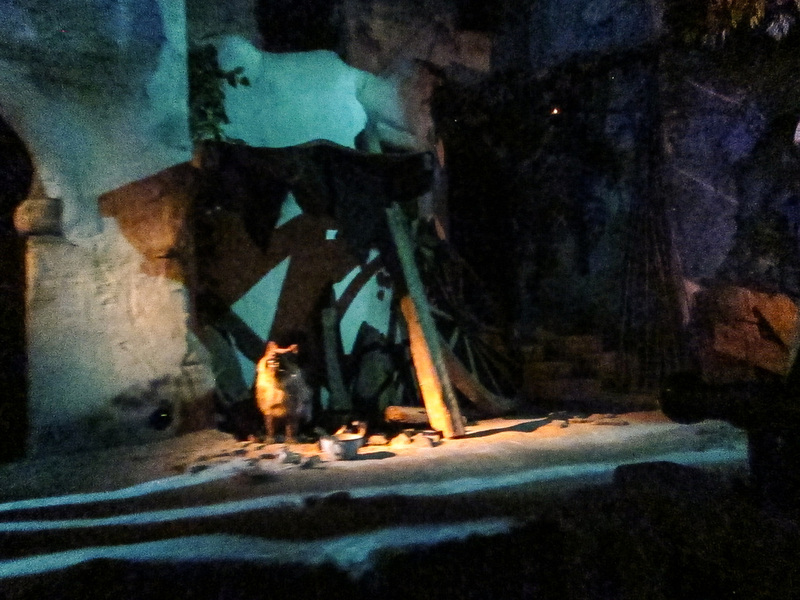 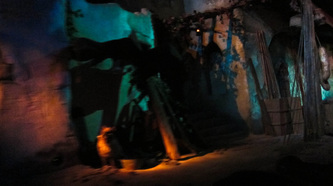 You will have to make your way past some pretty wild animals and some dark and dingy slums first. 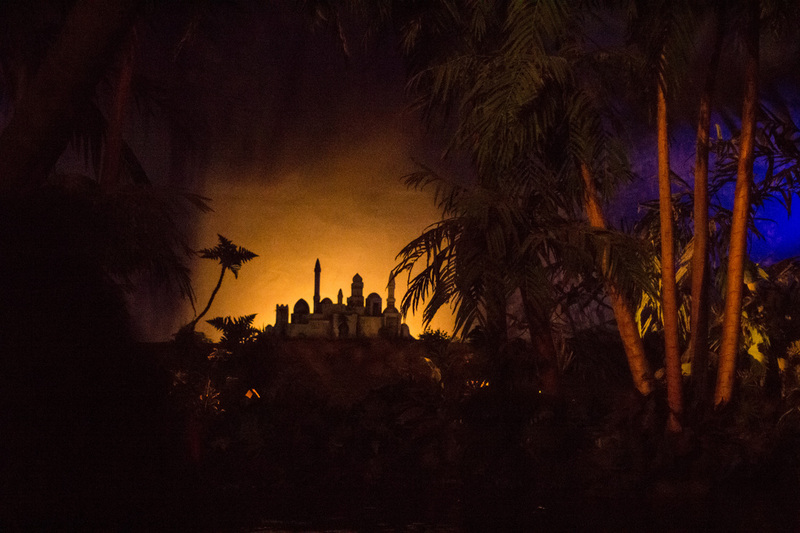 Thank goodness, it’s light again! 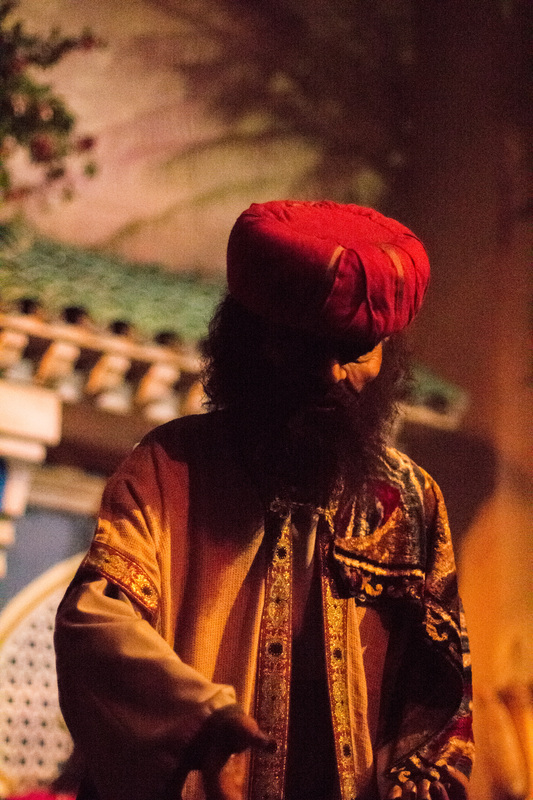 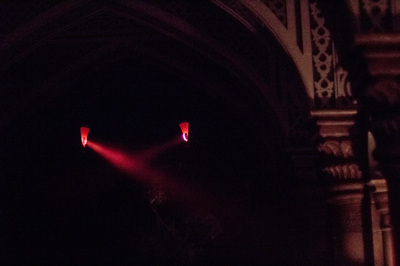 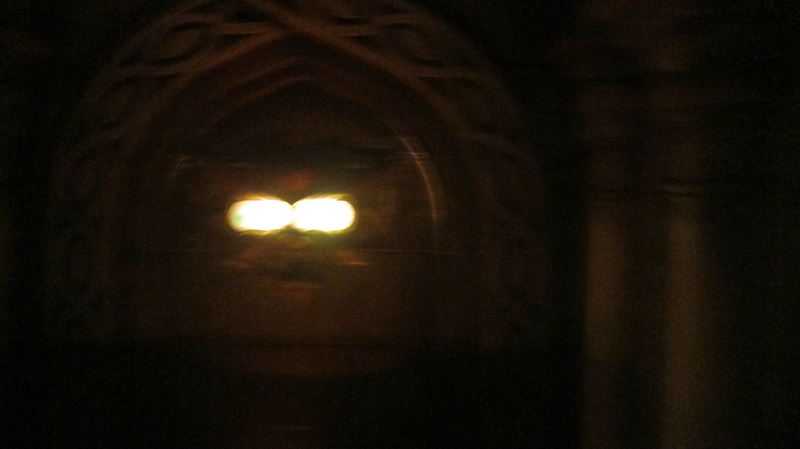 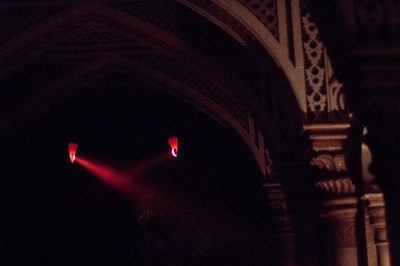 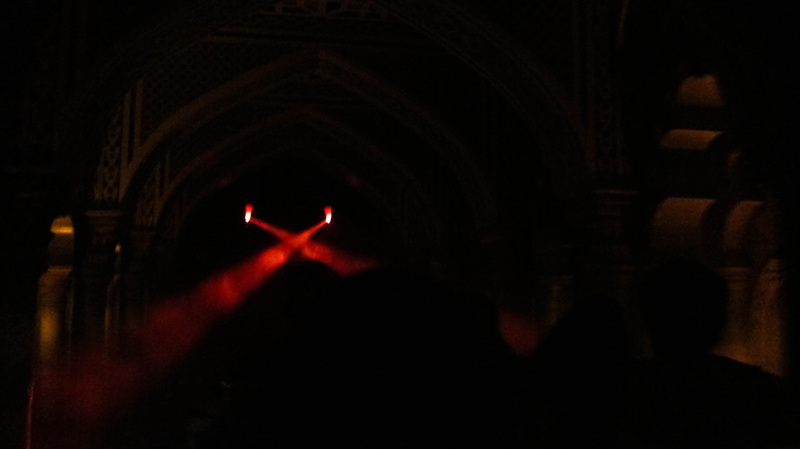 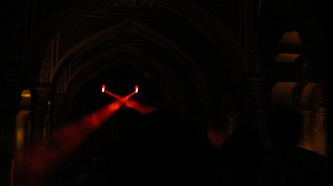 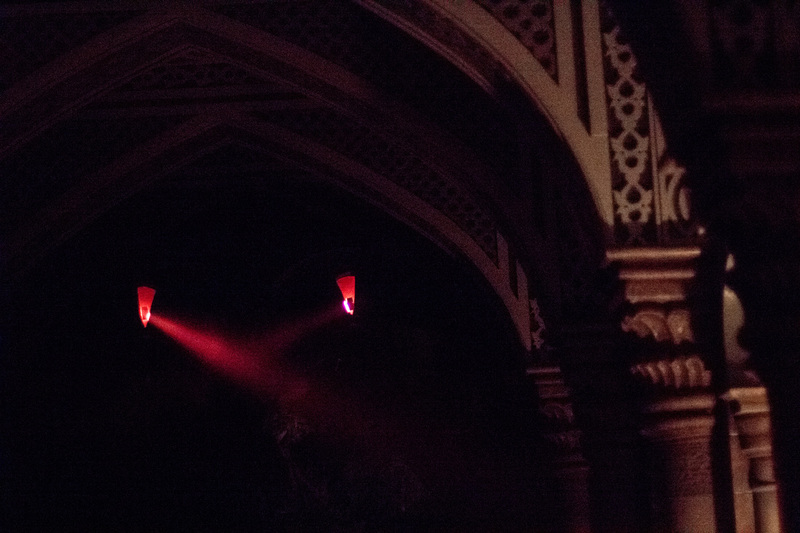 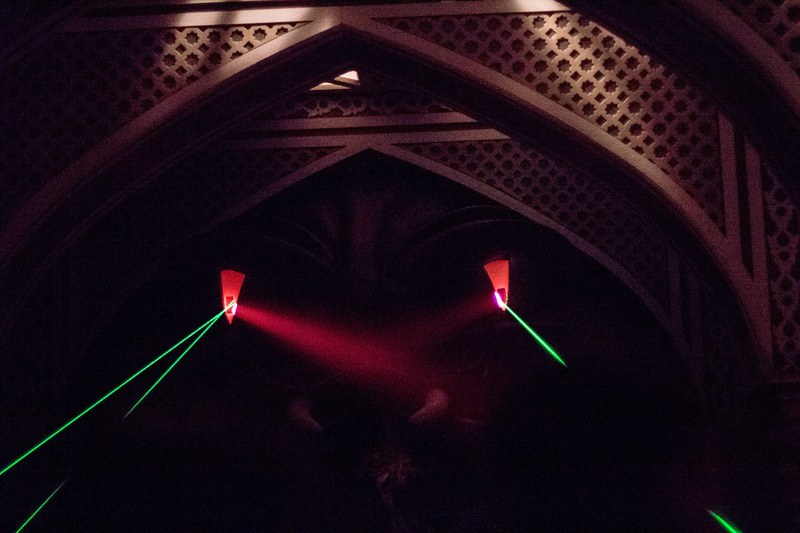 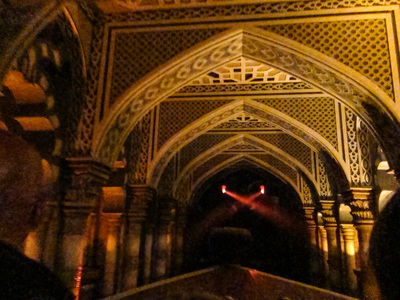 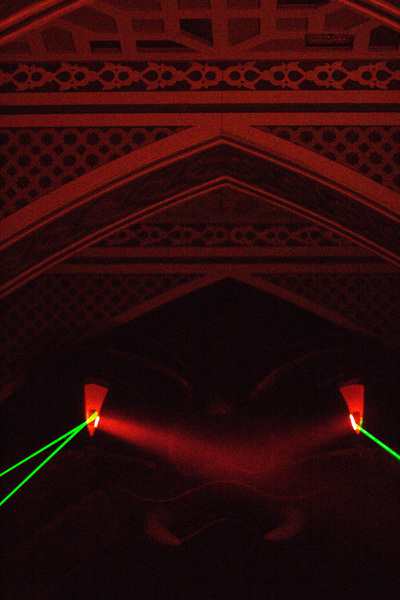 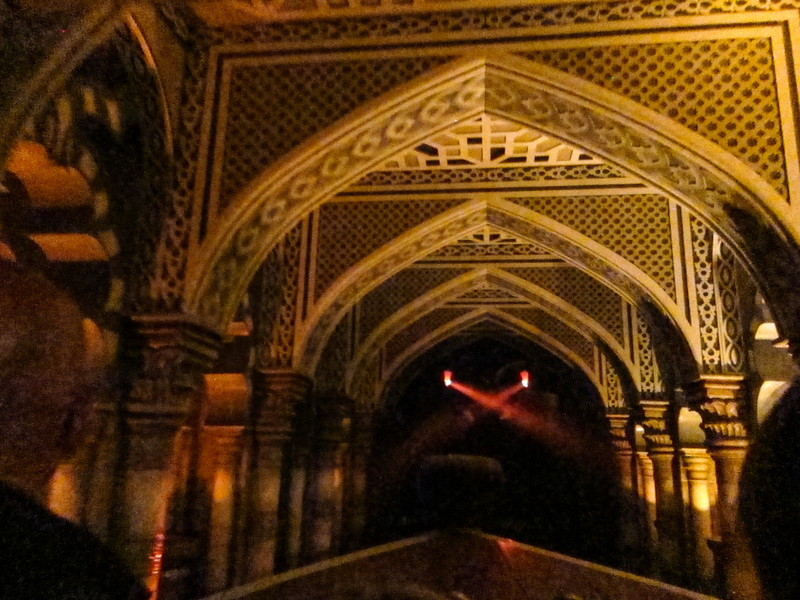 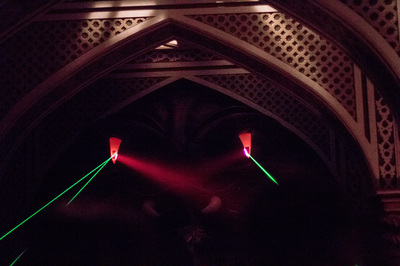 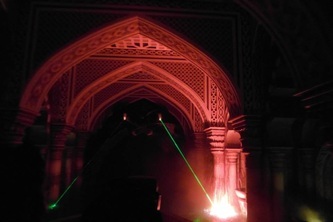 The wailing has faded and the Oriental music is getting louder... we must be in the heart of the palace. 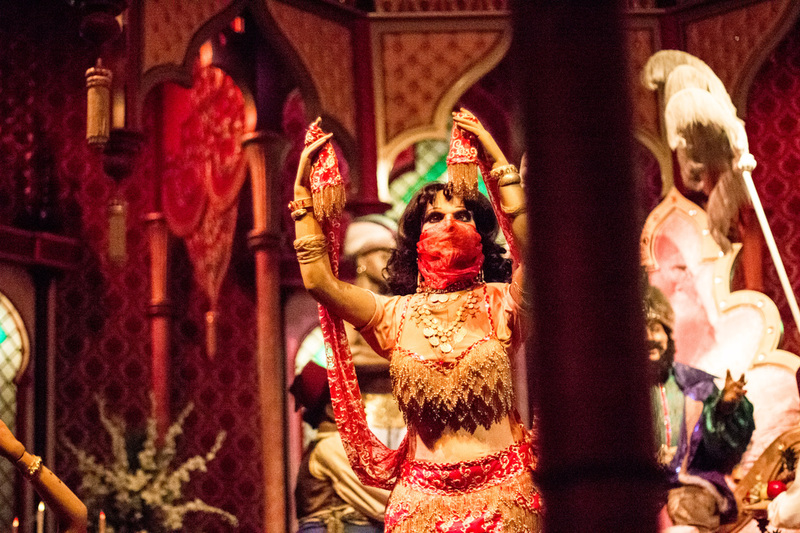 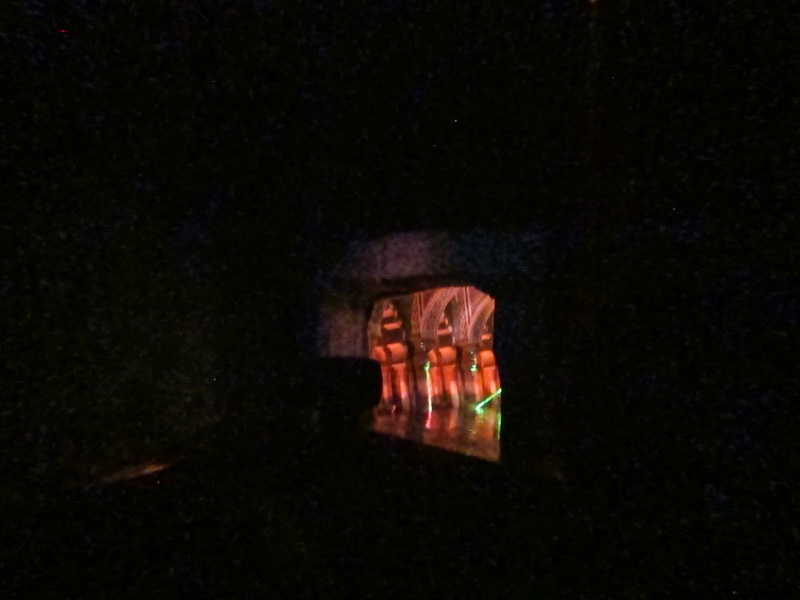 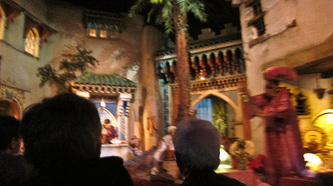 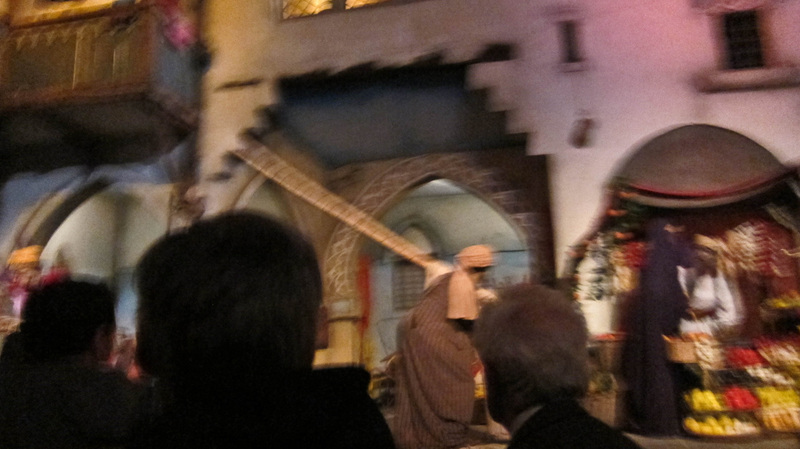 Look over there… belly dancers swinging their hips! 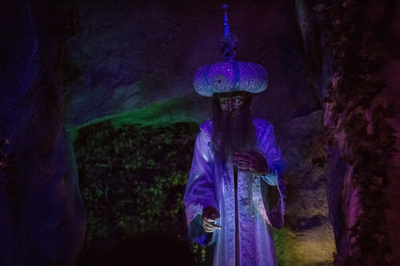 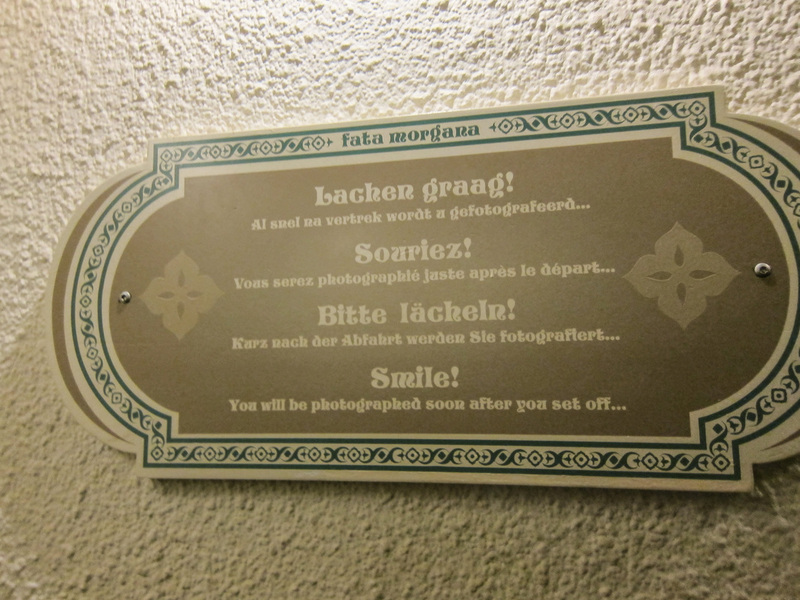 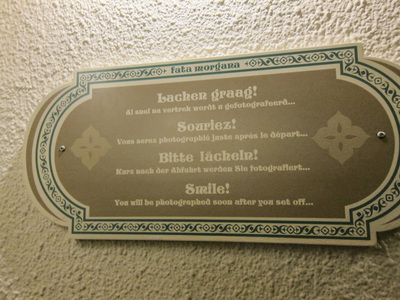 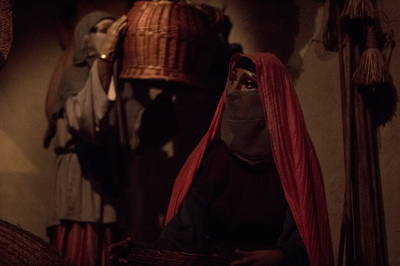 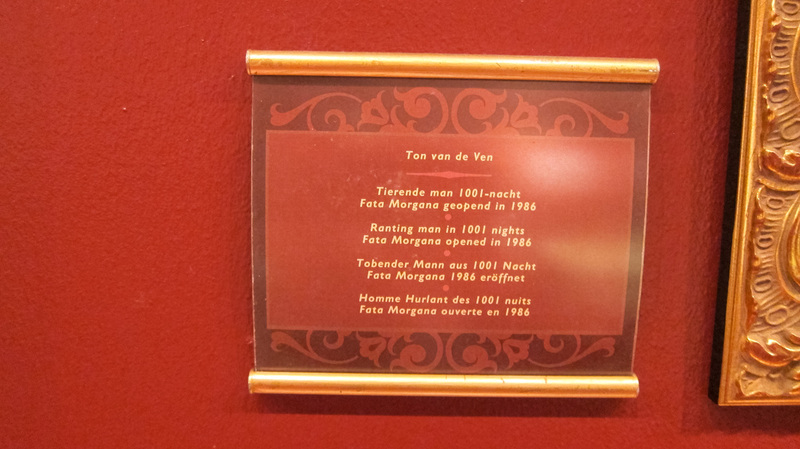 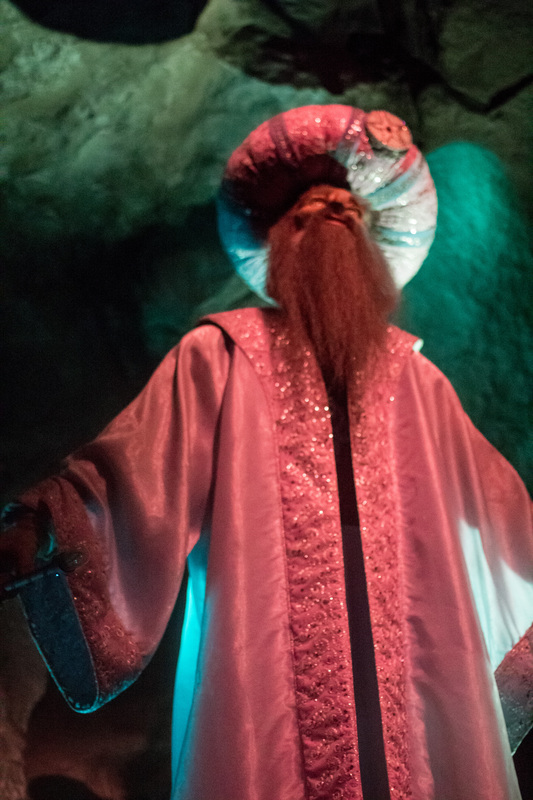 You might find yourself feeling a little like Ali Baba for a moment; and then the doors suddenly close and you’ll ask yourself: was it real or was it a Fata Morgana? 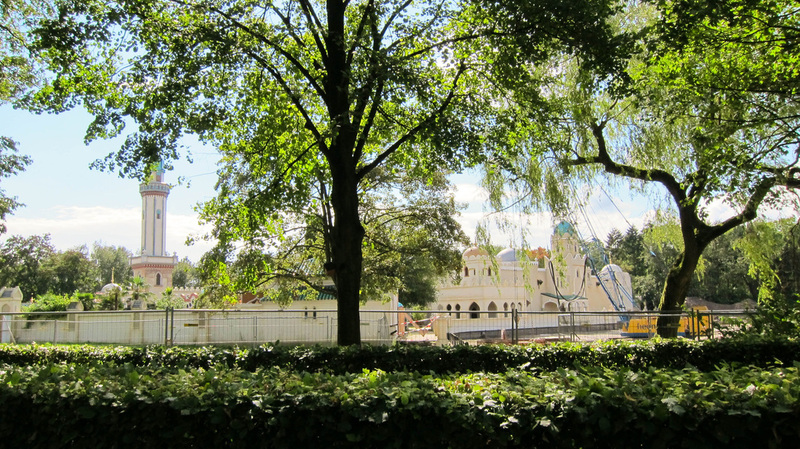 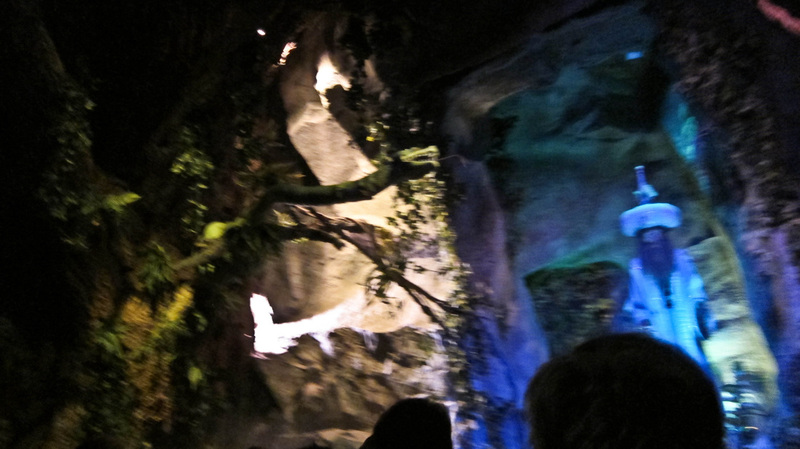 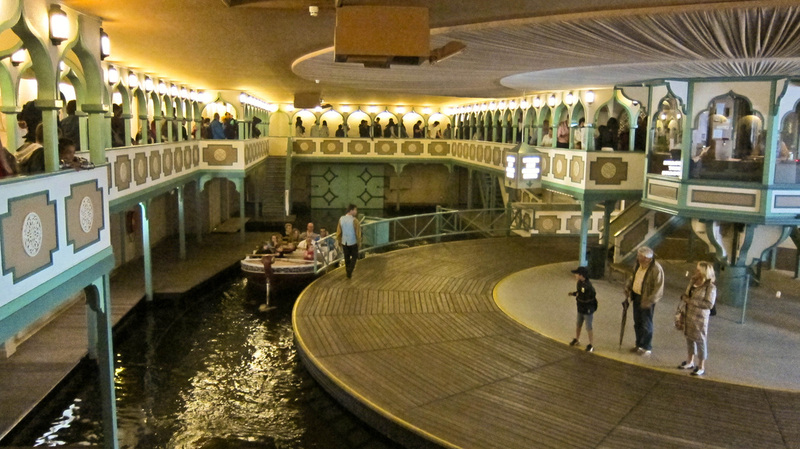 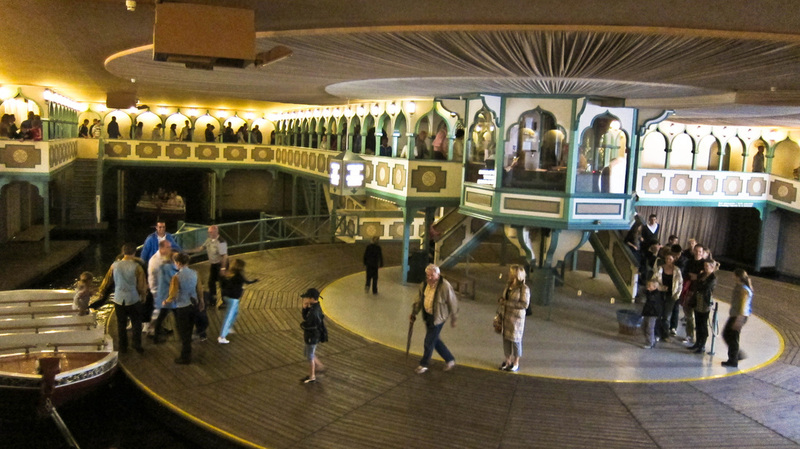 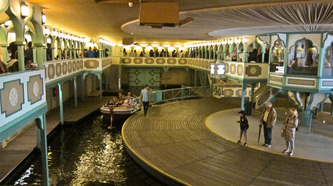 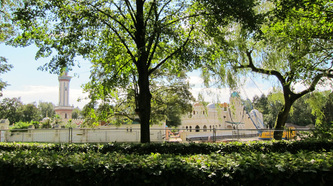 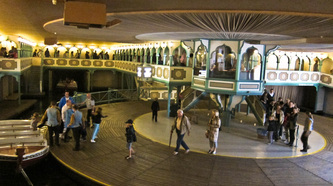 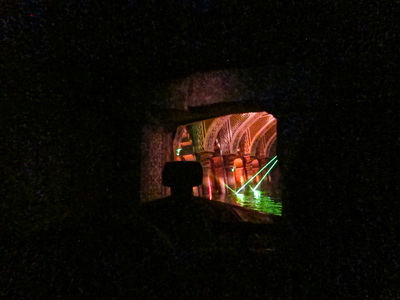 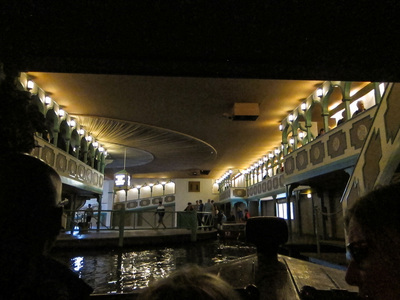 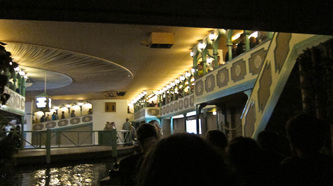 Opened in 1986, this ride has 14 boats that float on a waterway that is 1.2 metres deep. The boats sail past 104 different characters in an Oriental setting, along a 285 metre-long watercourse that takes 8 minutes to complete. 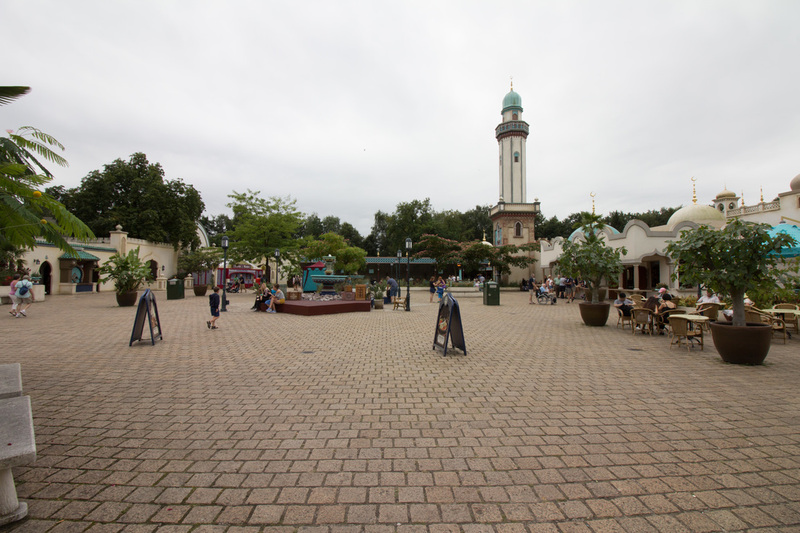 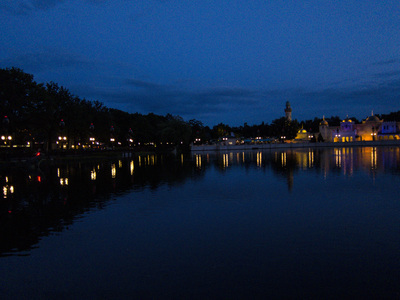 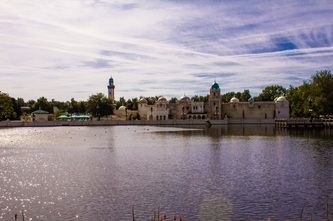 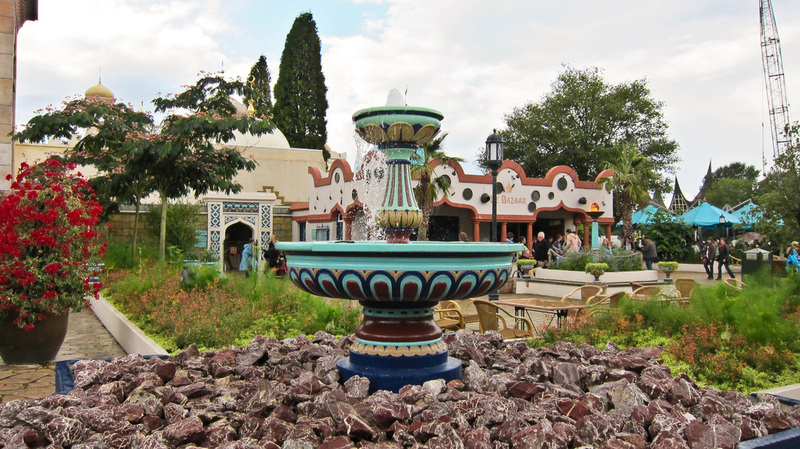 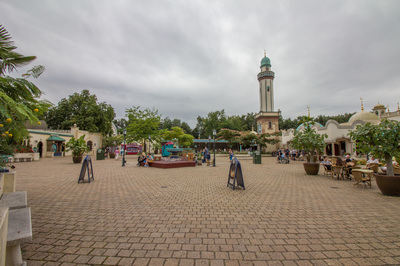 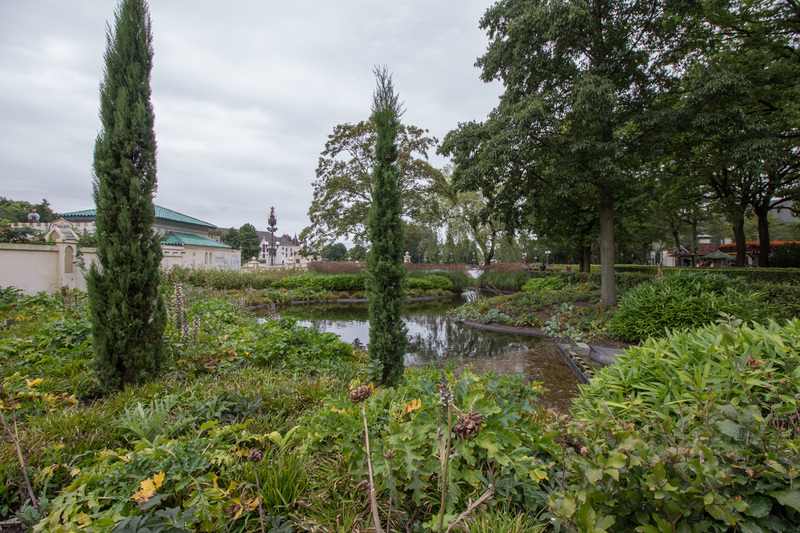 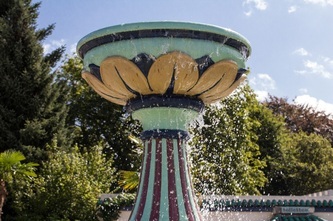 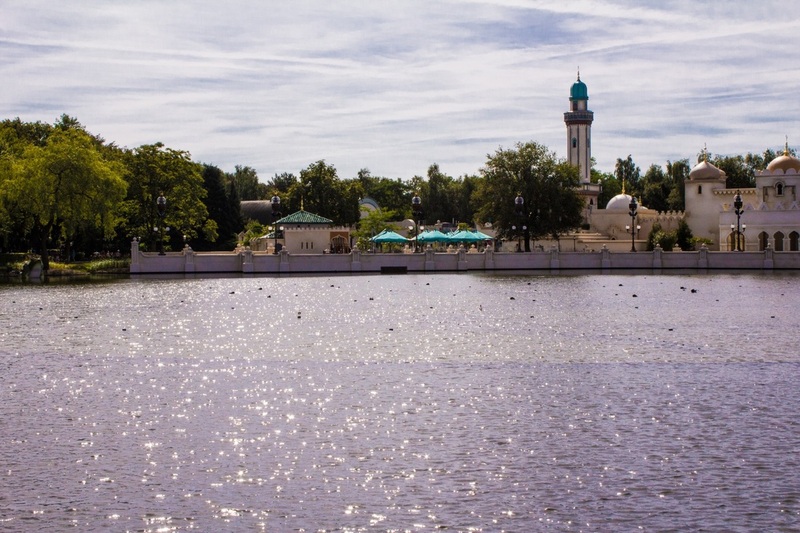 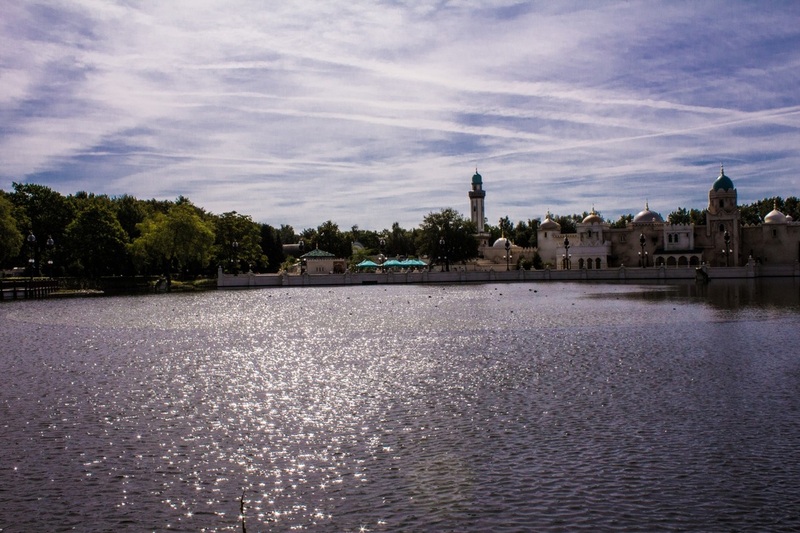 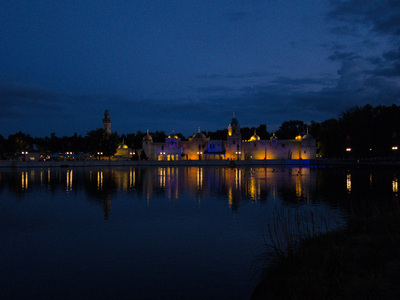 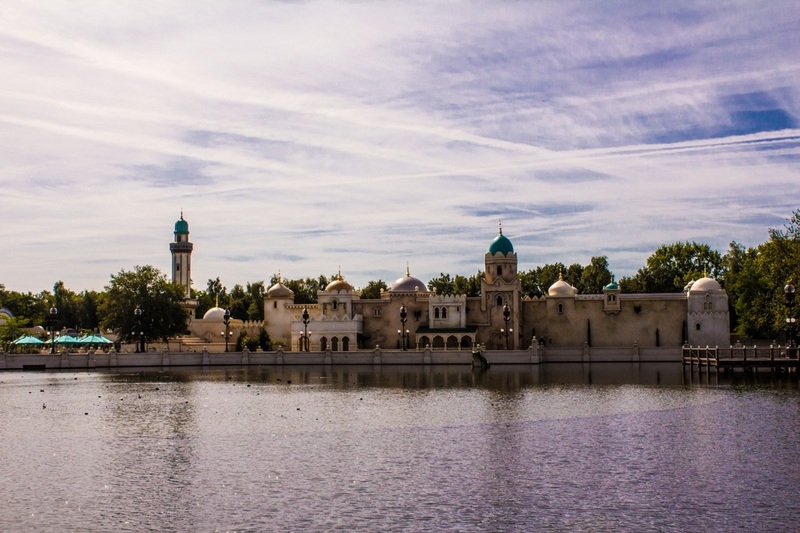 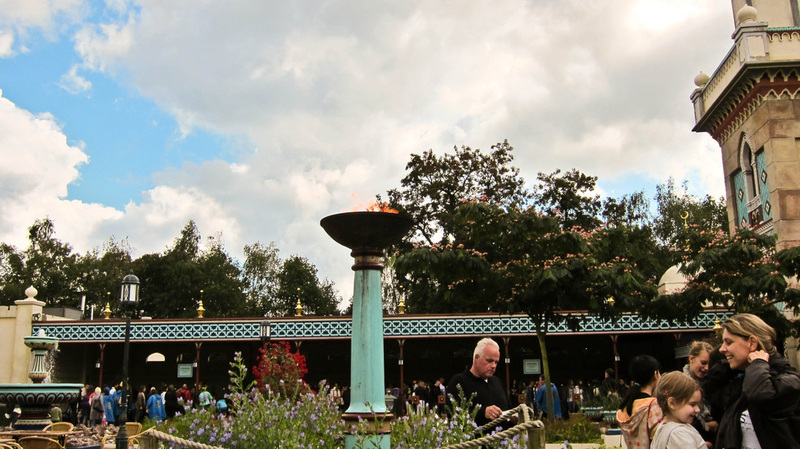 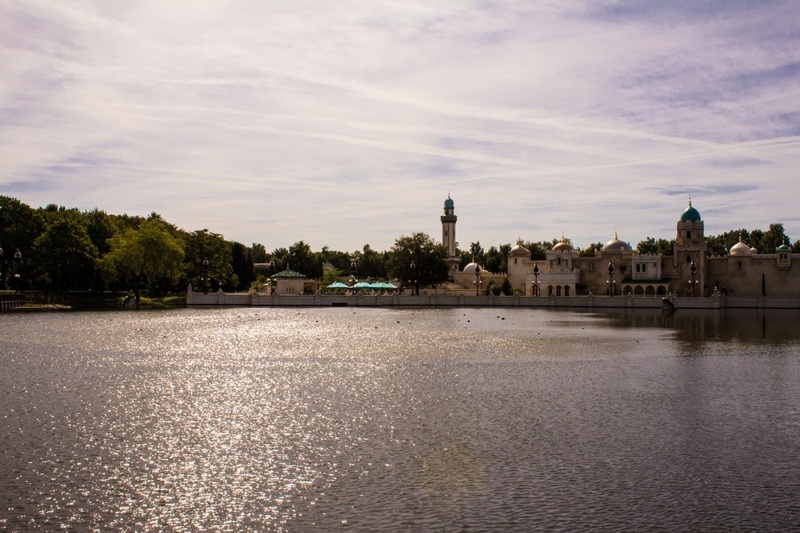 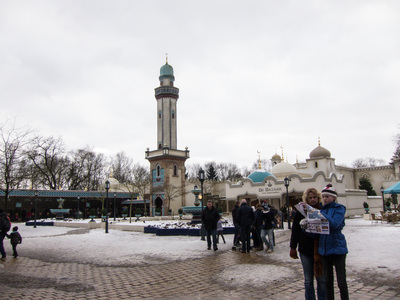 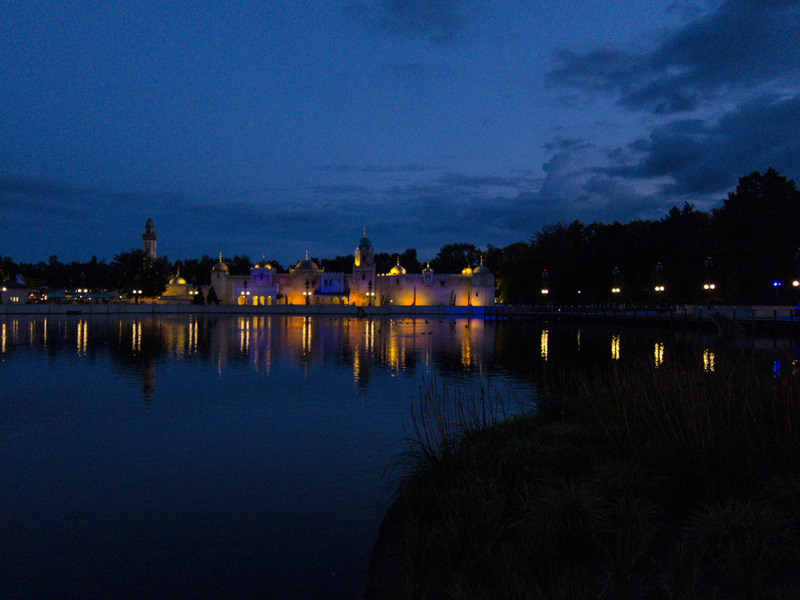 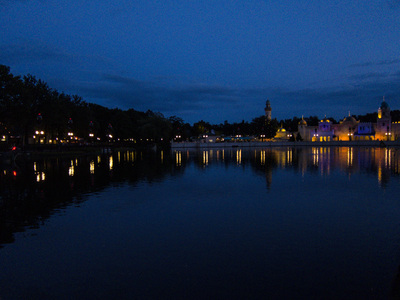 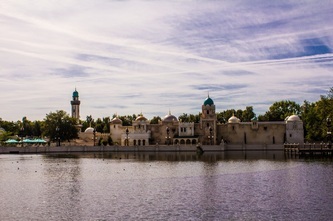 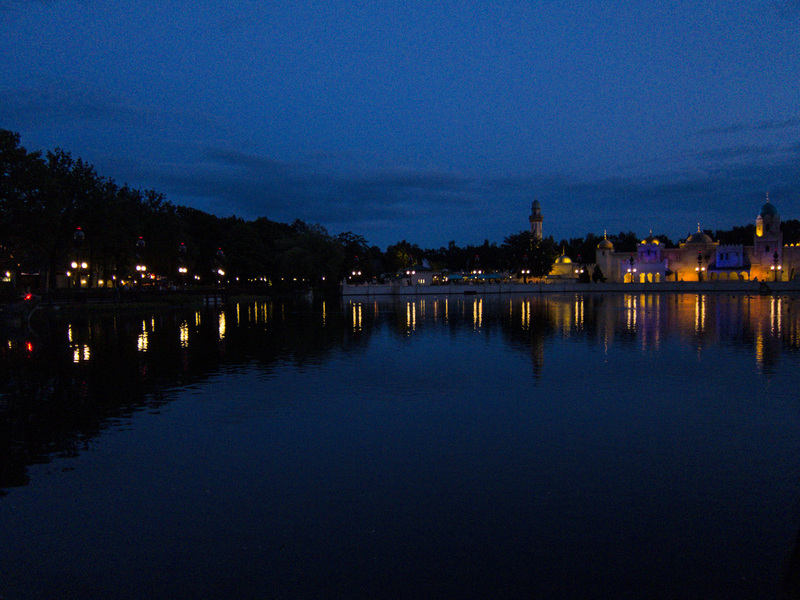 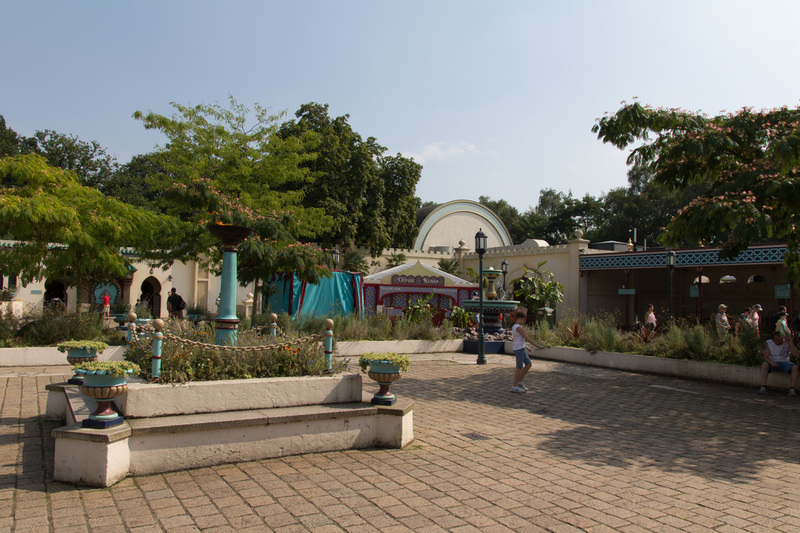 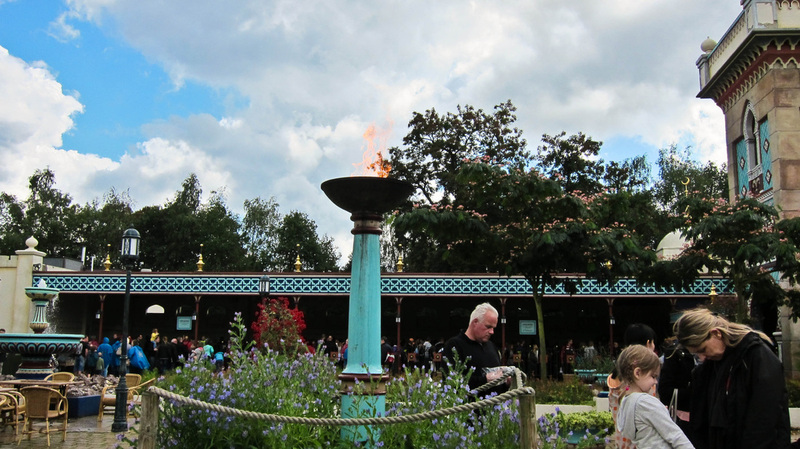 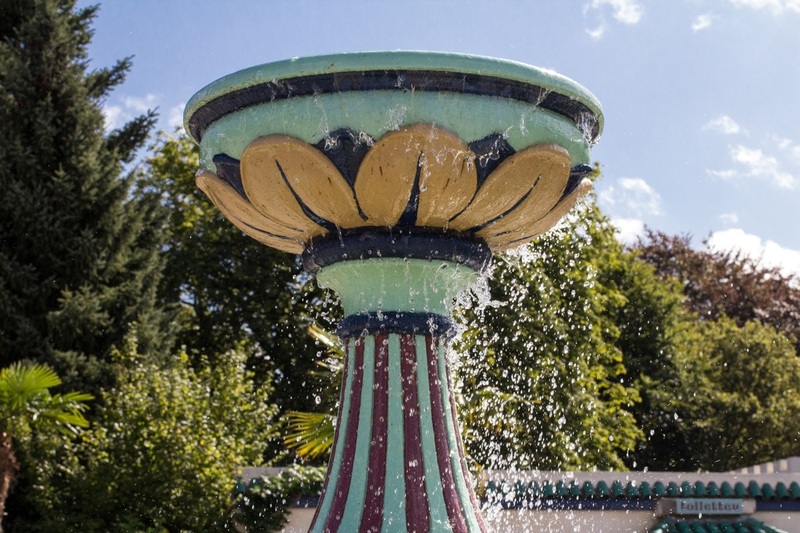 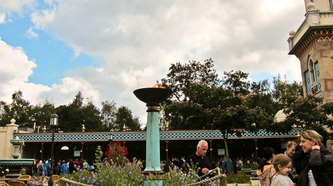 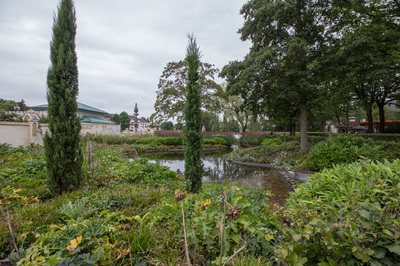 The attraction has a total surface area of 4,000m2 and contains 2,500 m3 of water. 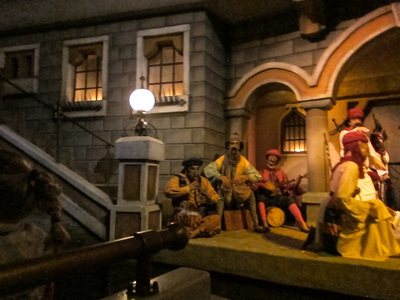 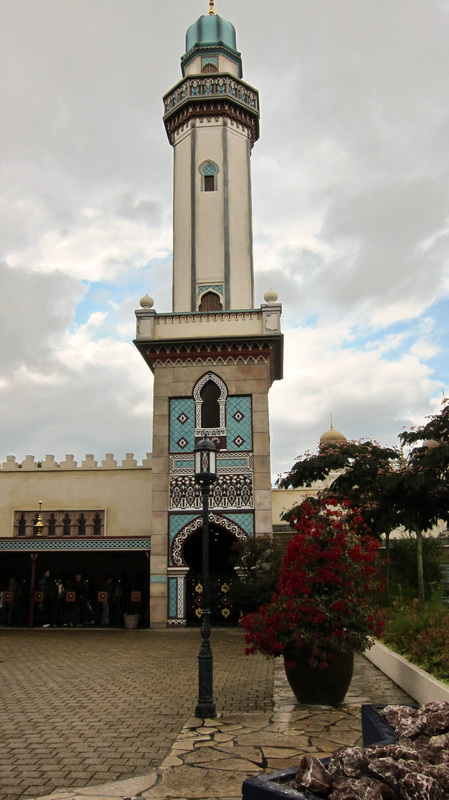 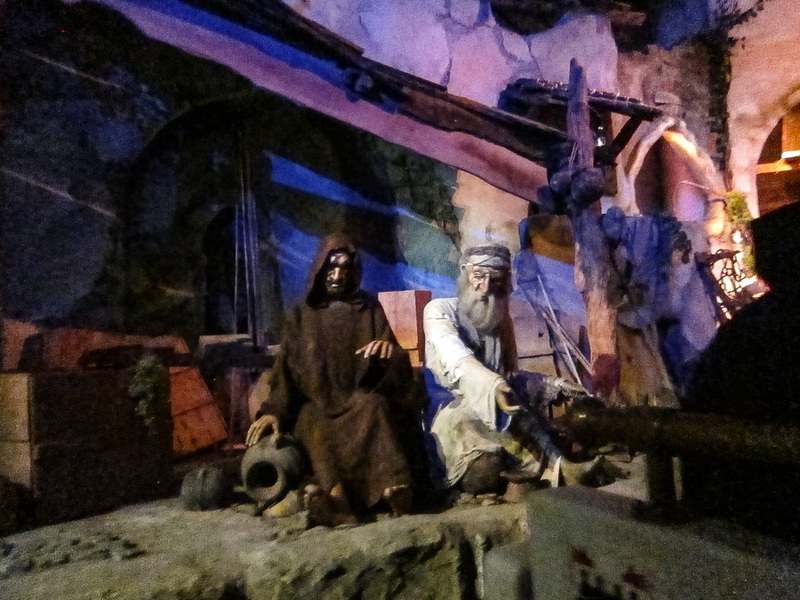 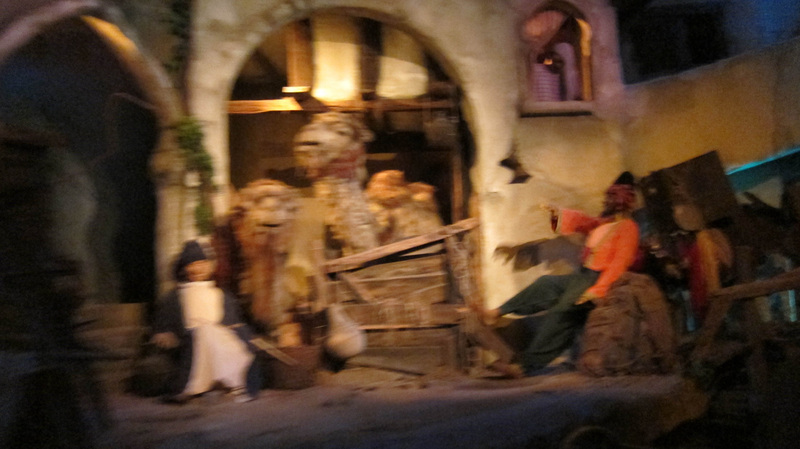 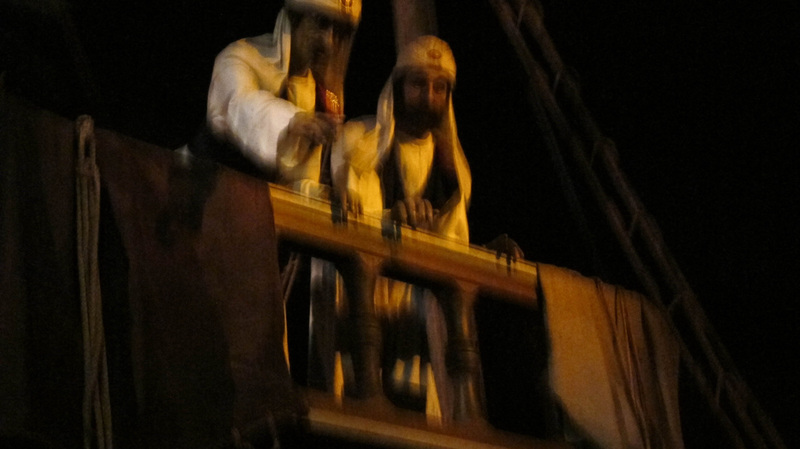 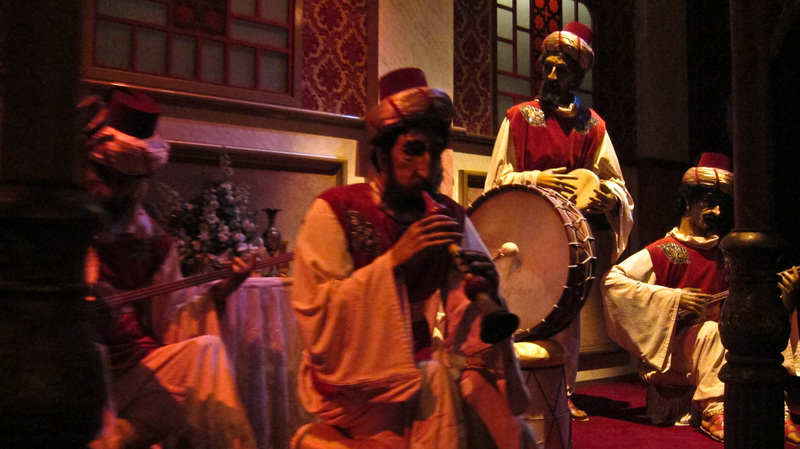 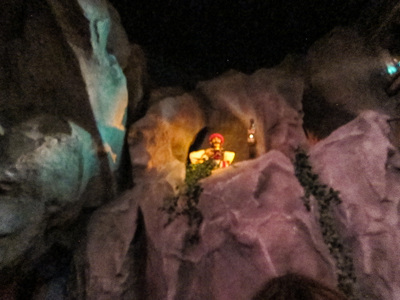 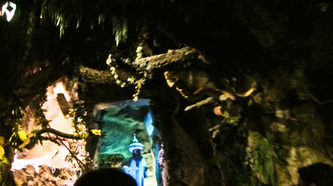 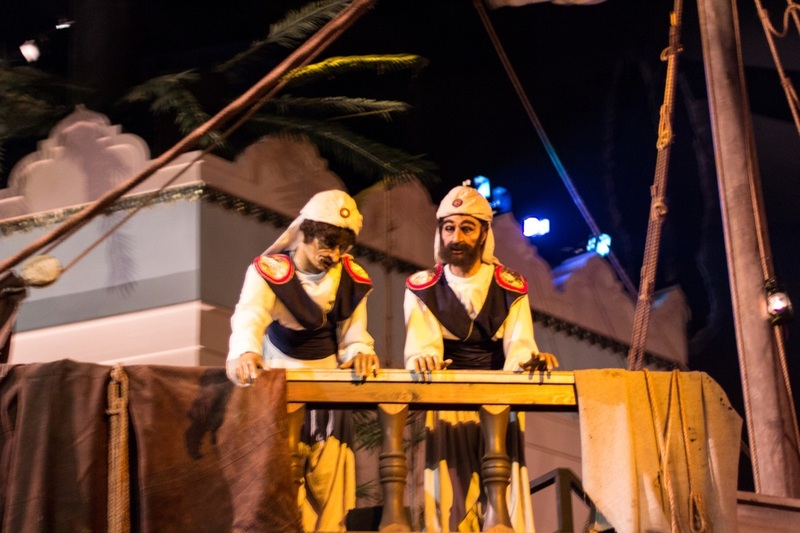 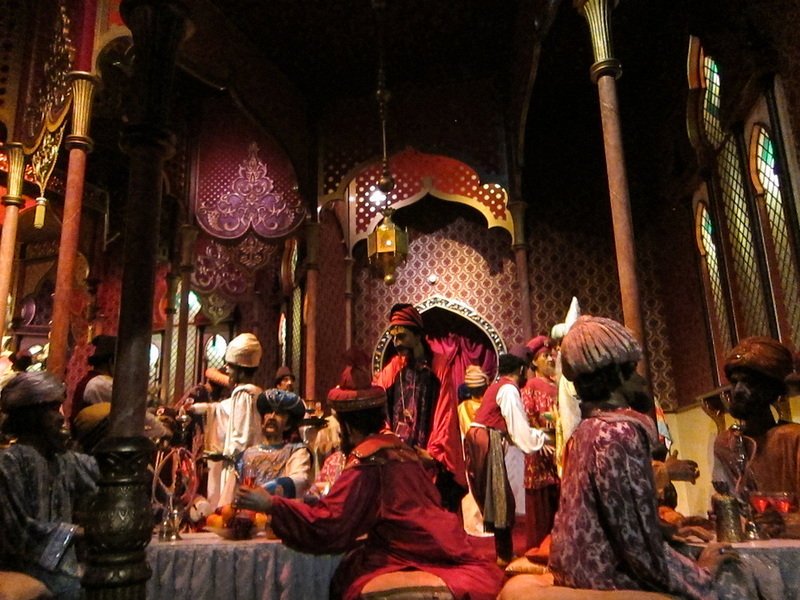 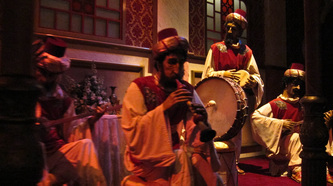 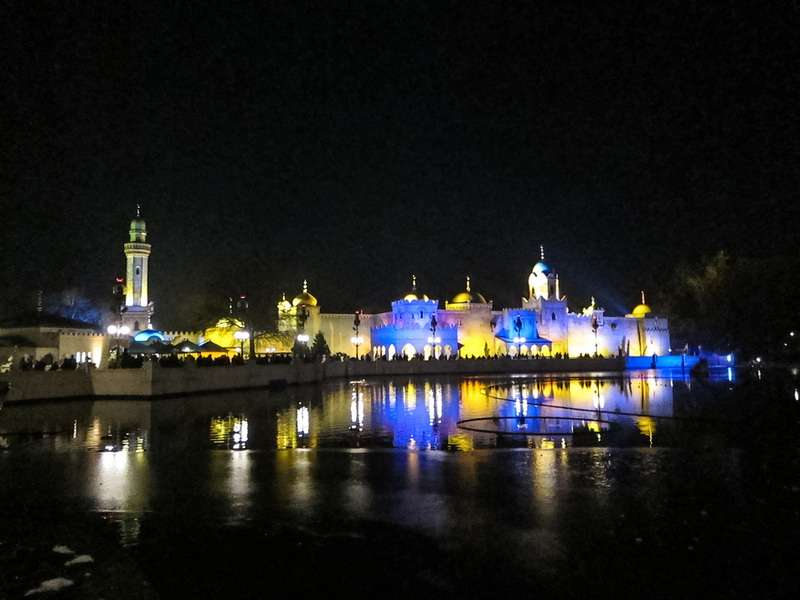 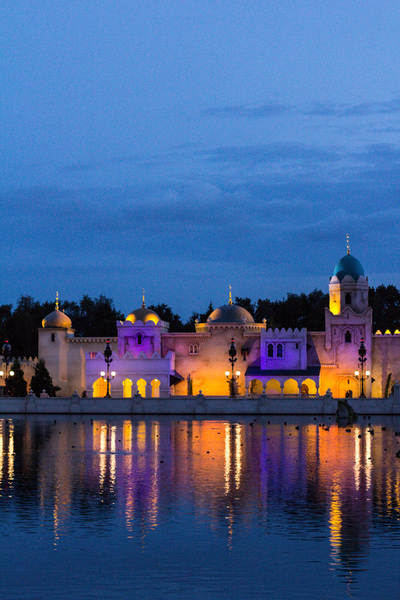 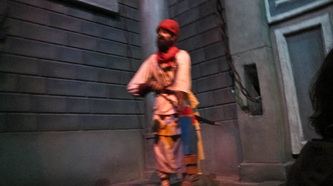 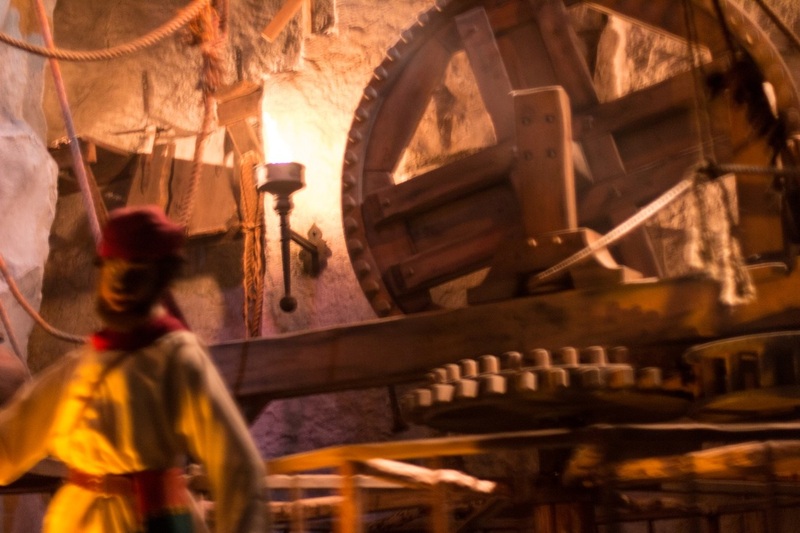 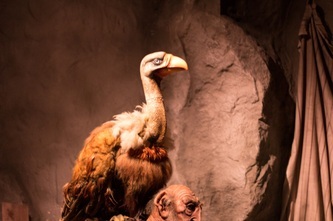 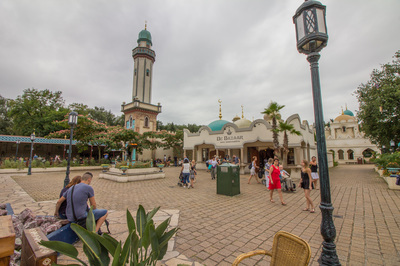 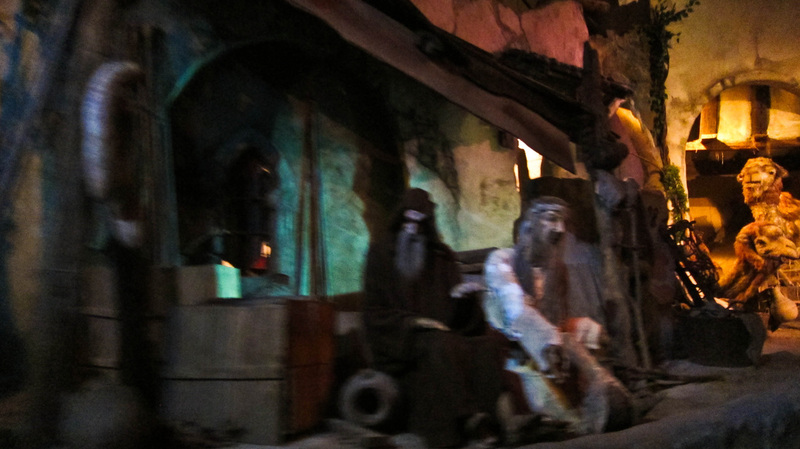 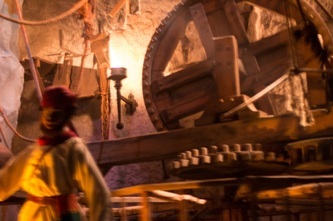 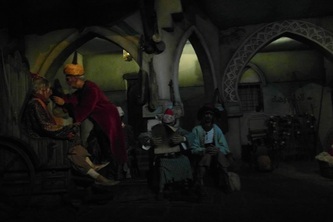 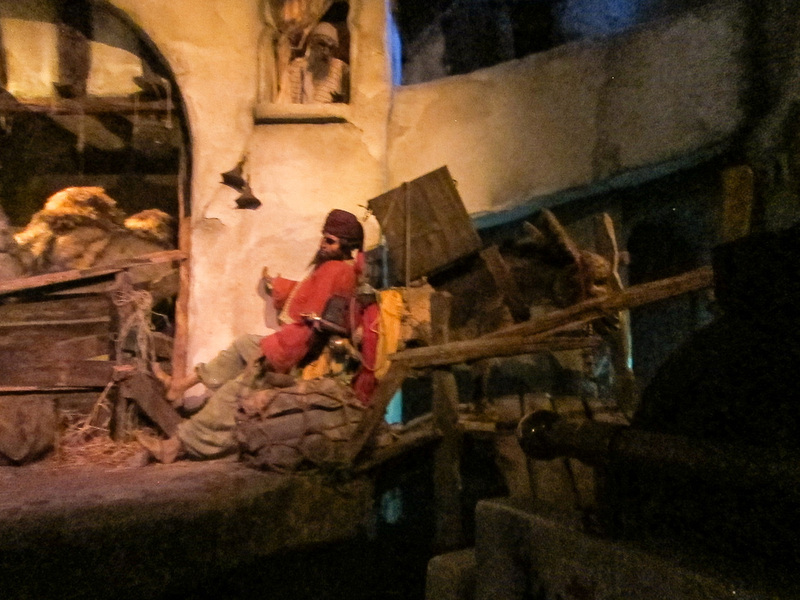 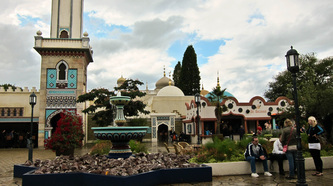 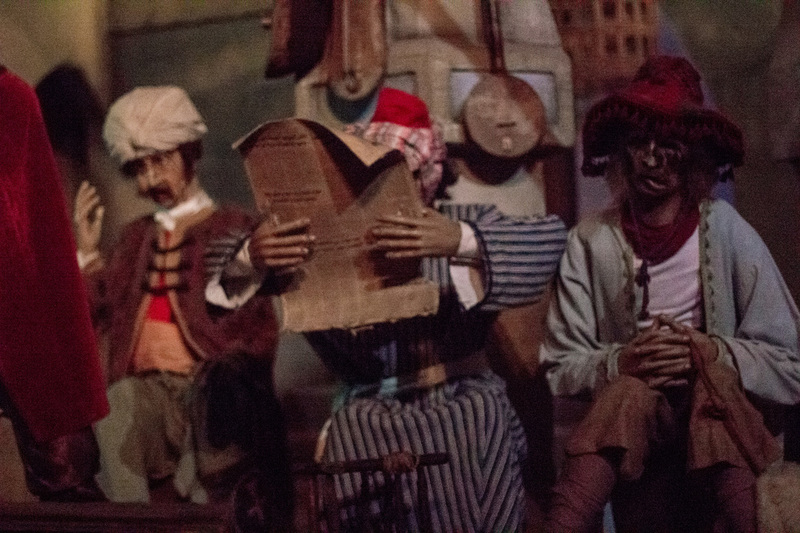 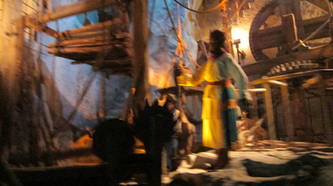 16- passenger boats pass through a fairy-tale style Arabian city that is populated by 140 animatronics. 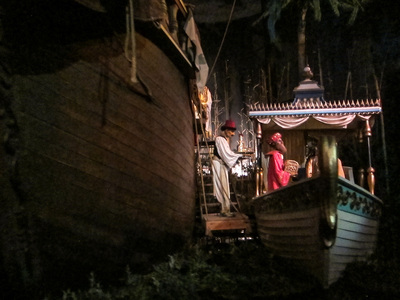 Only one transport boat is present in a scene at the same time. 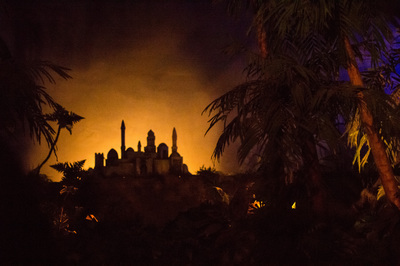 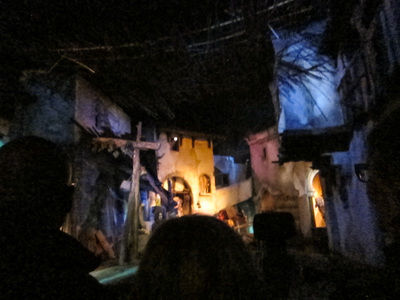 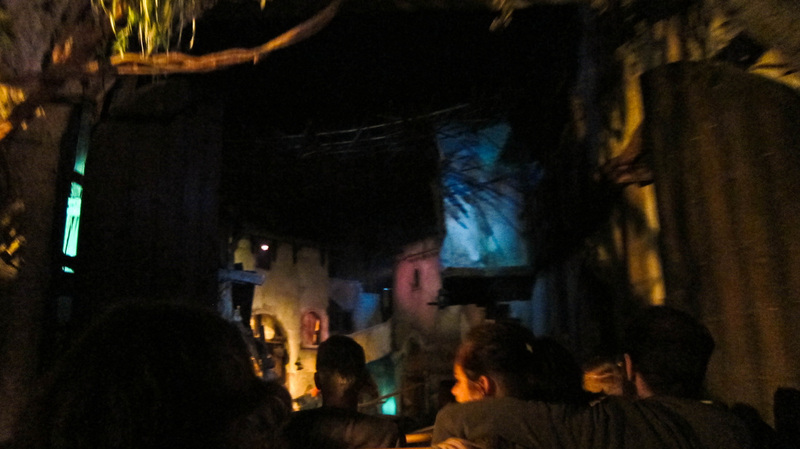 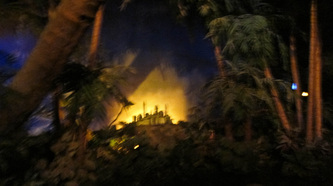 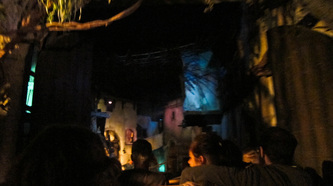 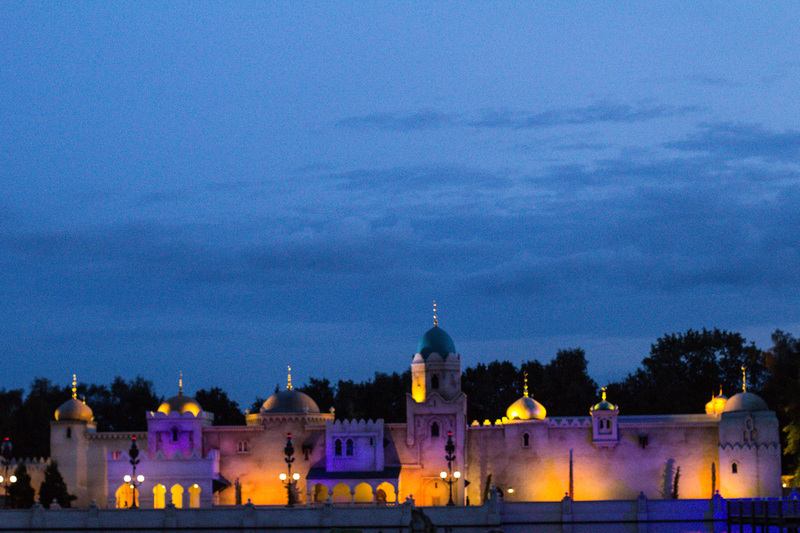 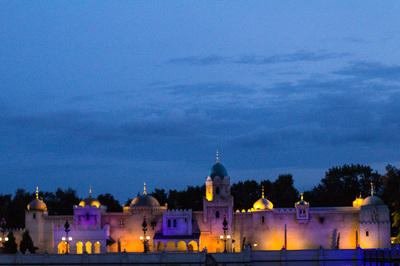 The ride begins in a twilight setting, showing a jungle and the skyline of a distant Arabian city. Upon entering the city, in the poor quarter, beggars and merchants call for attention. 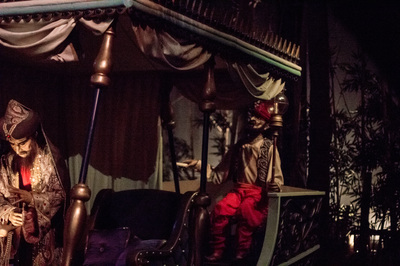 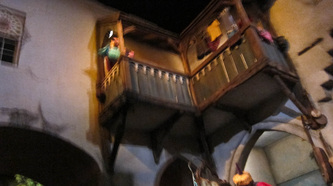 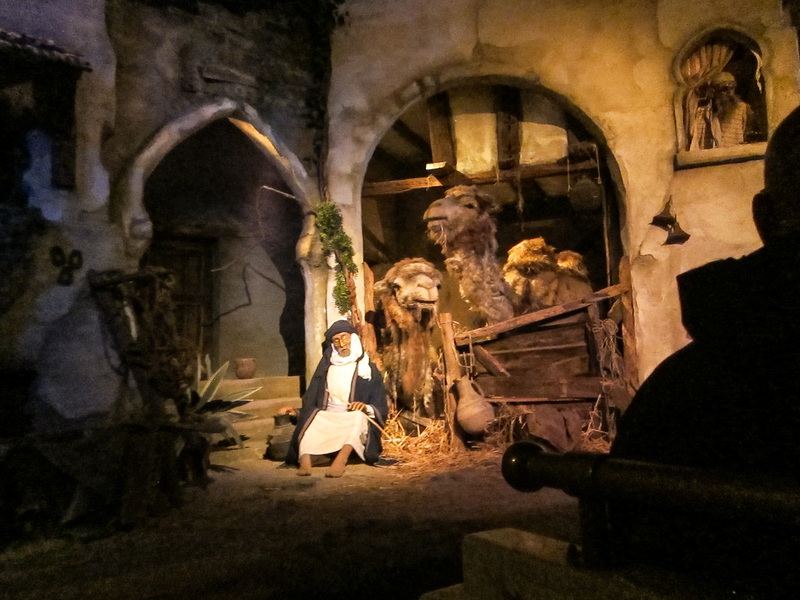 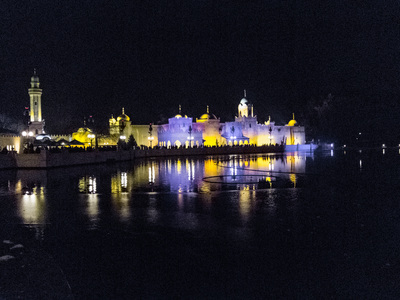 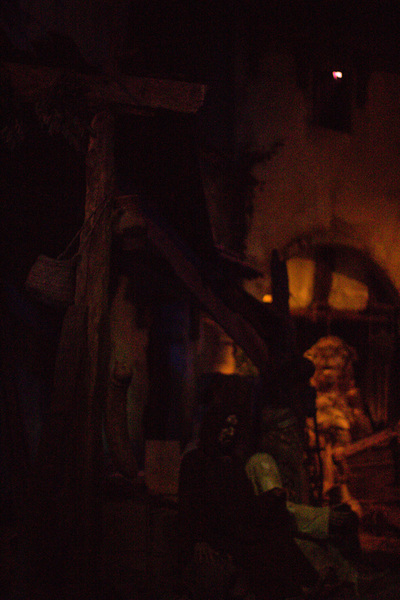 The next scene shows a prison and torture room, followed by a palace and a harbor with ships . 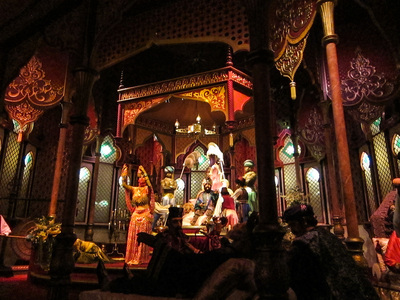 Passing by a harem the real ride ends in the throne room of the pasha. 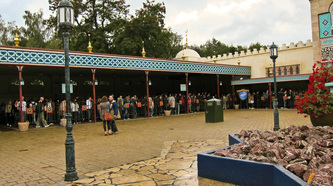 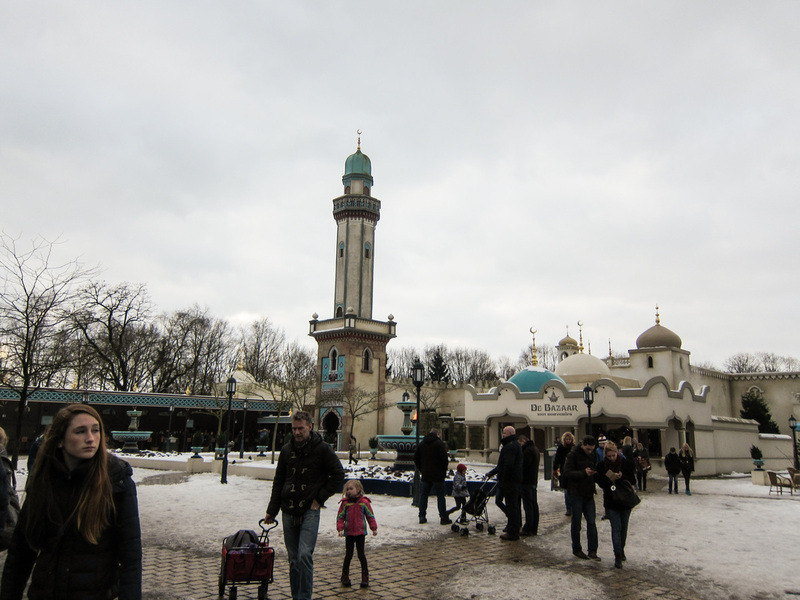 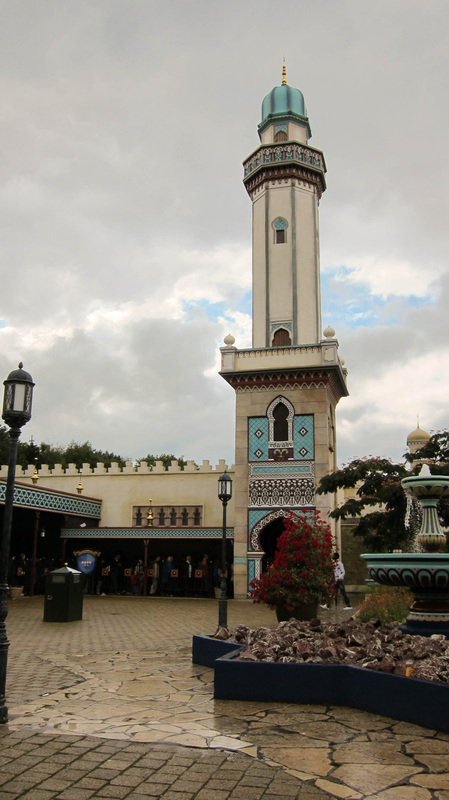 Total ride time is 8 minutes, capacity of 1800 persons/ hour. 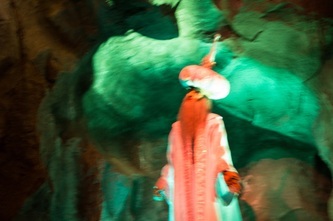 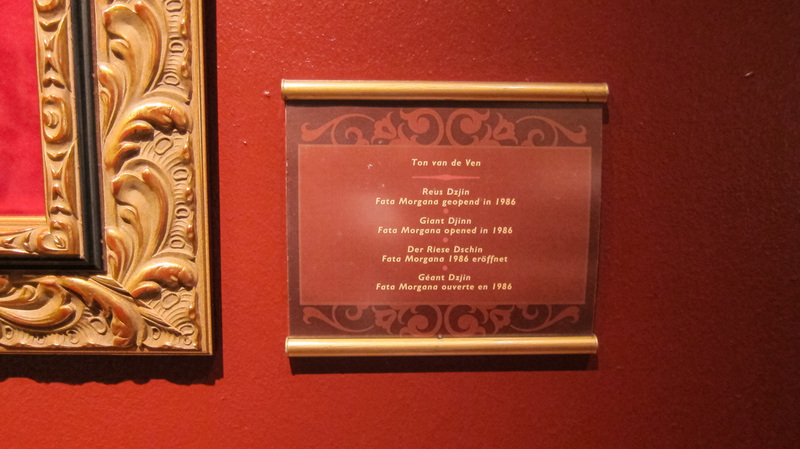 Very very far away lays an eastern city called Fata Morgana. The Sultan is ruler of the city and possess anything he ever wanted. 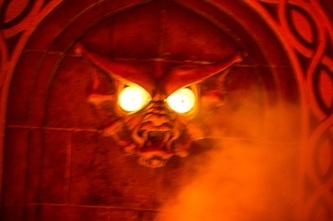 He preys on money and holds huge parties for rich people. These however are only allowed to come if they bring money. 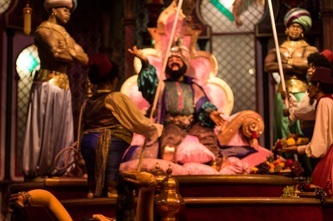 About ruling the city however he wants no part off, he just lets that run its course. The market is soiled by dodgy market people who will try and sell you anything . Thieves and other scum roam the streets. It’s absolutely not safe for rich people. In the prison it’s even worse. Prisoners in the treadmills keep the fire hot. 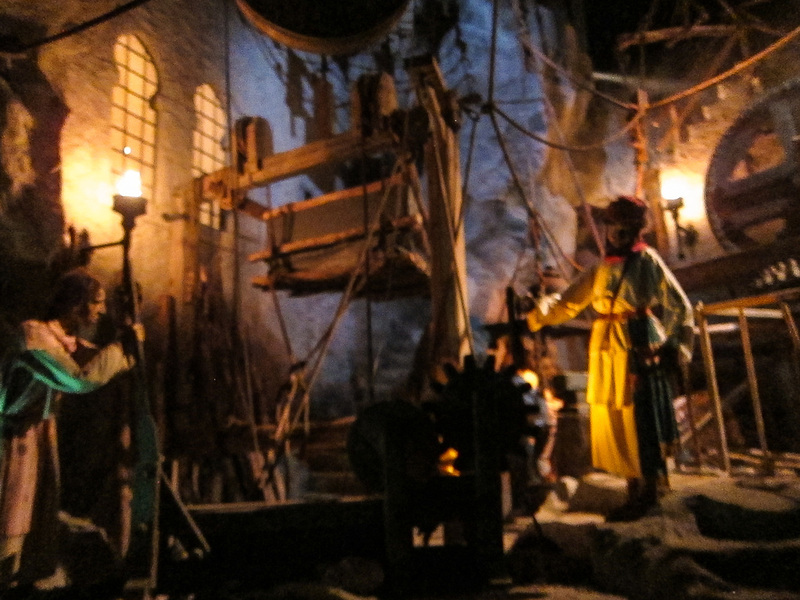 It’s hard and heavy work. 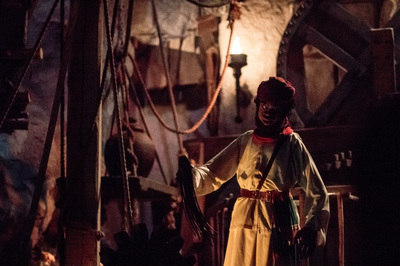 The supervisors whip the people when they don’t work hard enough. Whenever someone collapses he is thrown in the prison cells. 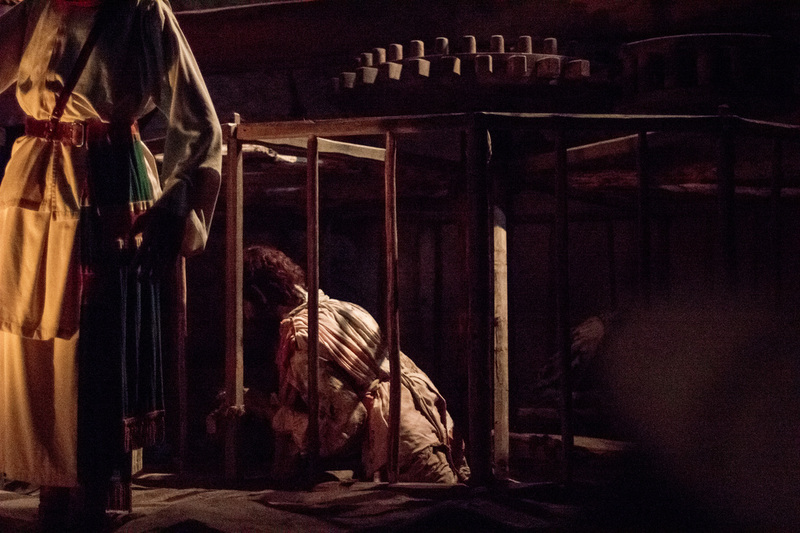 Many different prisoners are wasting away and justice is nowhere to be found. 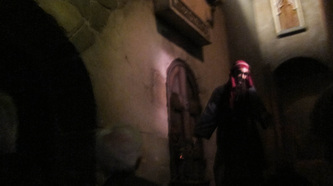 The soothsayer left and fourty months went by. 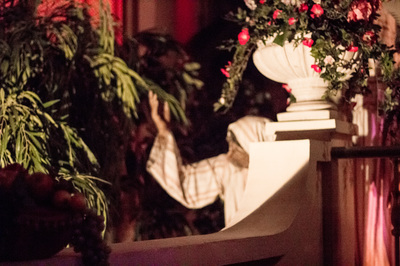 On the first day of the forty first month the sultan stepped outside for a bit of fresh air on his balcony. 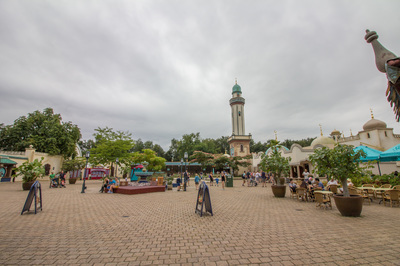 Dark clouds rolled in around the city. 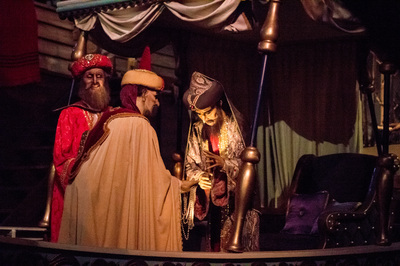 “ Oh” thought the sultan, “Its probably just another monsoon, I had better go back inside.” He had just closed the doors behind him when heavy weather broke loose. 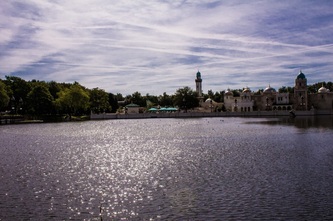 It rained for a very long time, the streets were empty and the water just kept rising until the whole city was completely flooded. 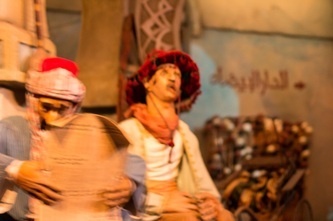 Buildings crumbled under the pressure and everyone drowned! 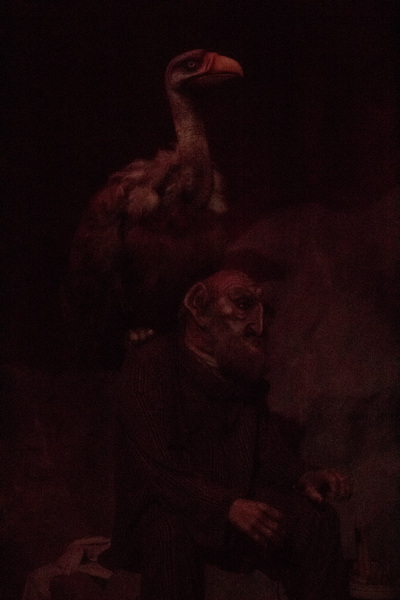 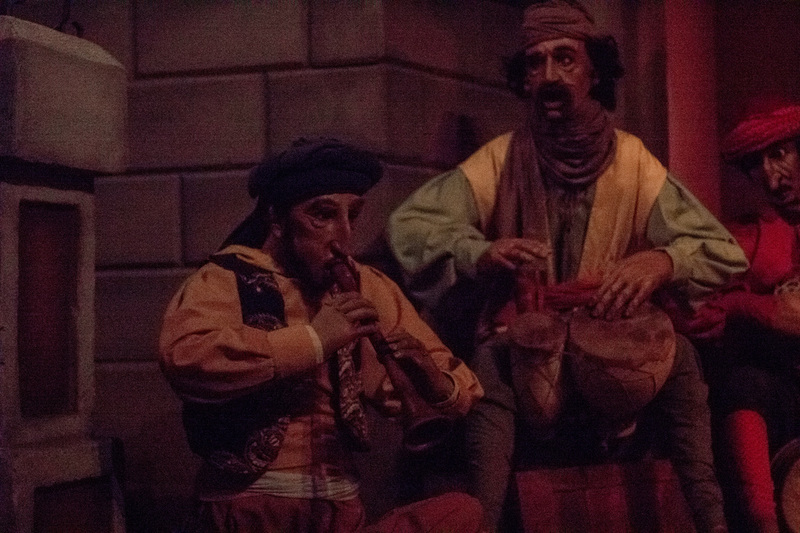 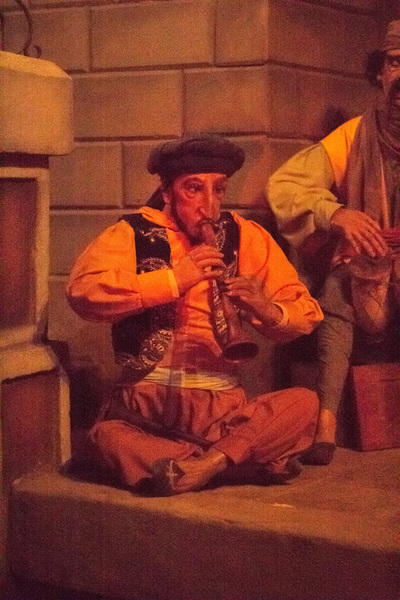 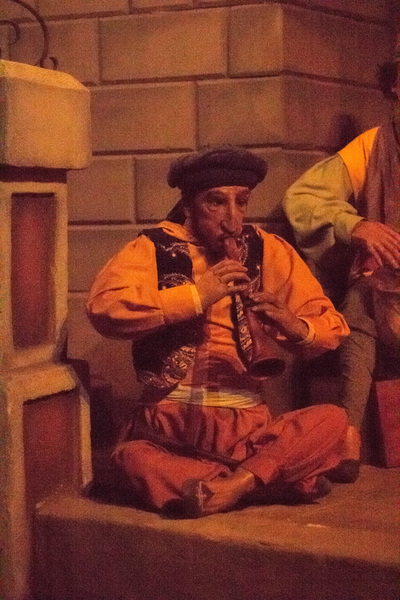 Almost everyone, two servants of the sultan has stolen the magic flute after the soothsayer left. 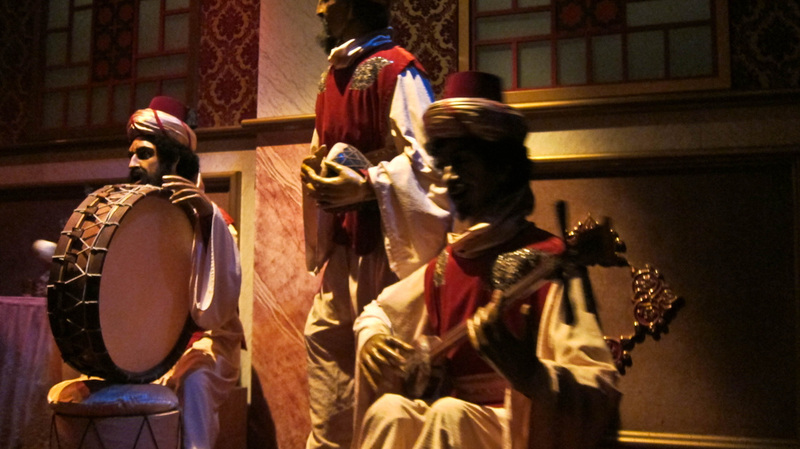 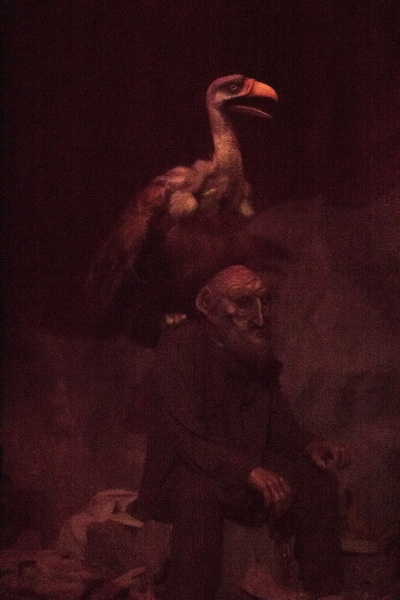 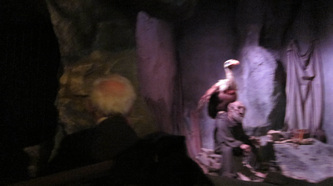 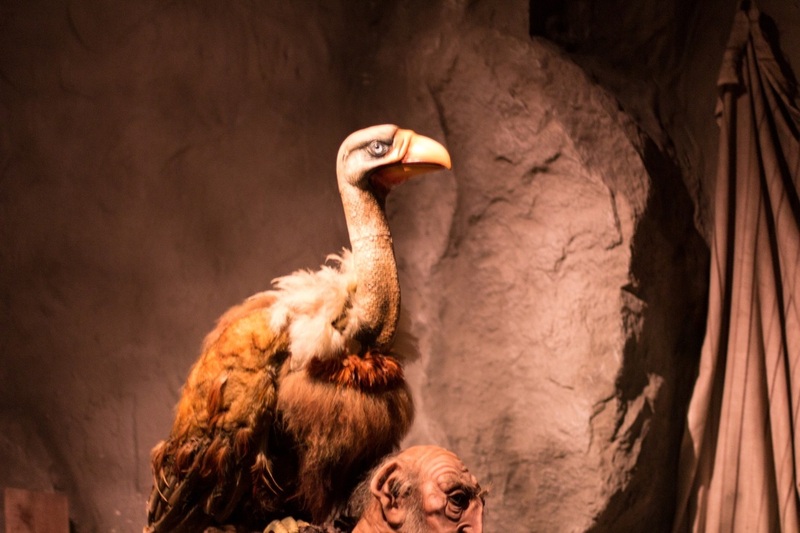 They had been practicing the songs of the birds. 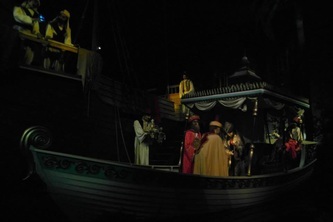 When the storms started a pack of birds came to take the two servants away. 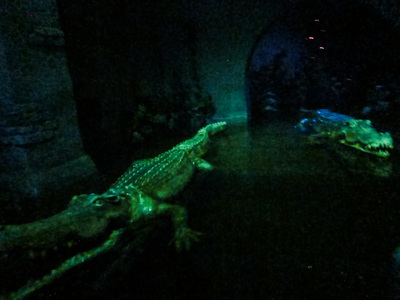 In this way only they escaped death. 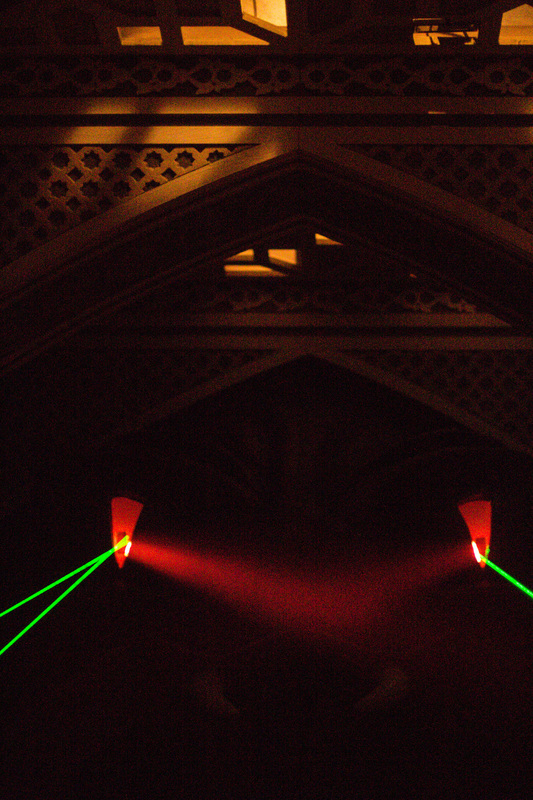 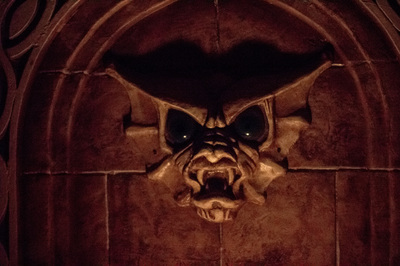 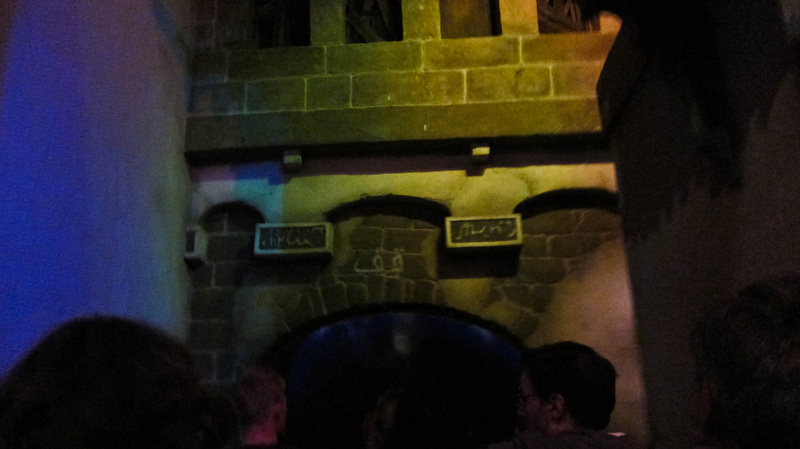 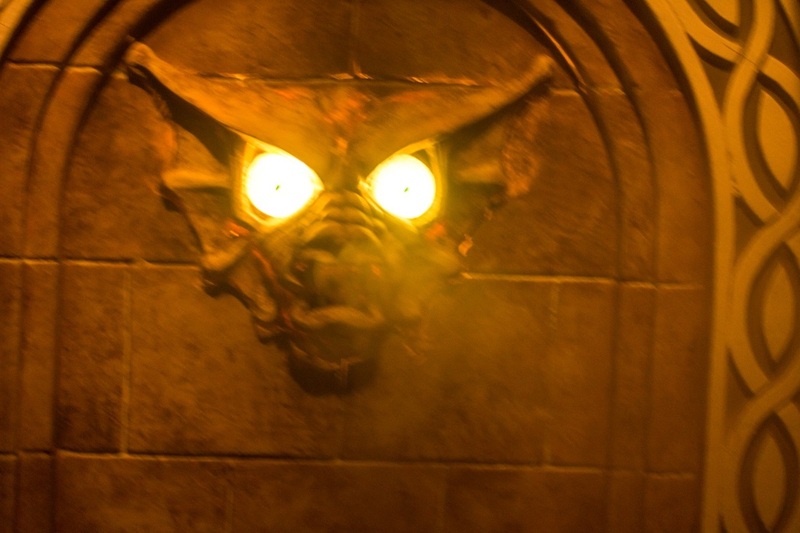 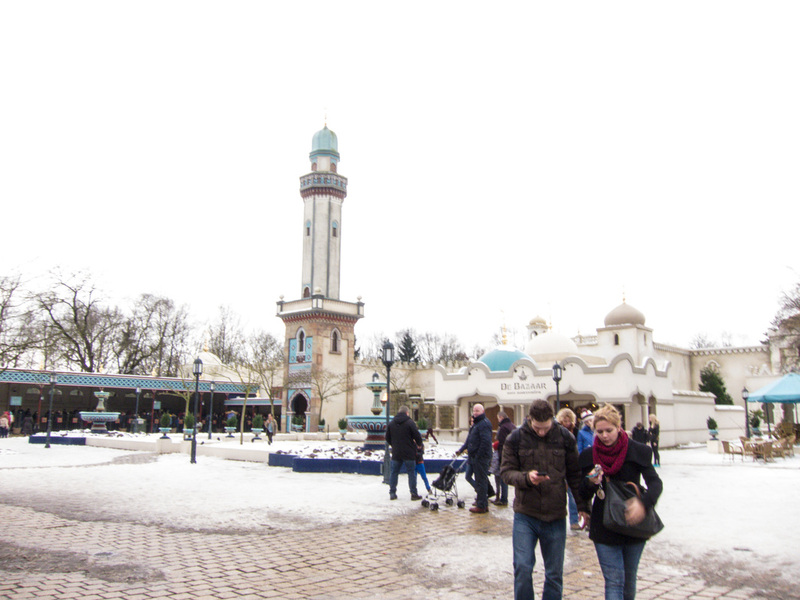 Enter via the wheelchair entrance, to the right of the attraction entrance.